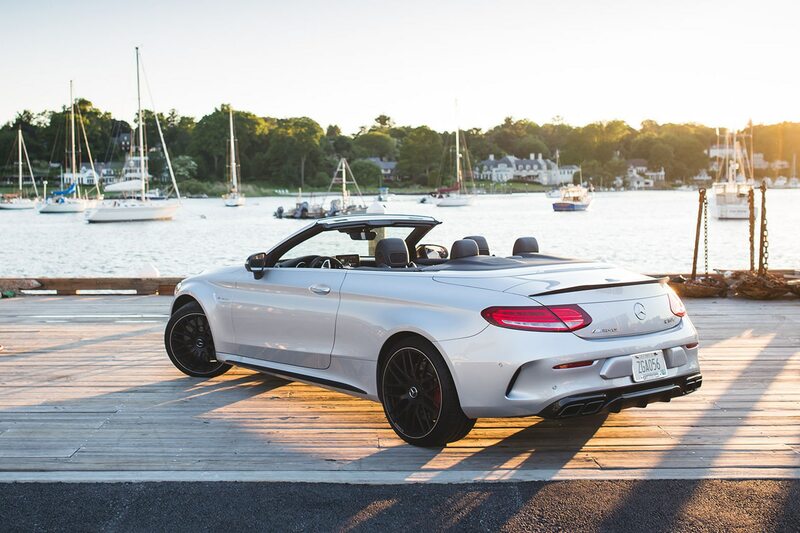 GREENWICH, Connecticut — With a trip up the northeast corridor of I-95 to cover the 2017 Greenwich Concours d’Elegance on my schedule, I had to make sure I at least fit in. 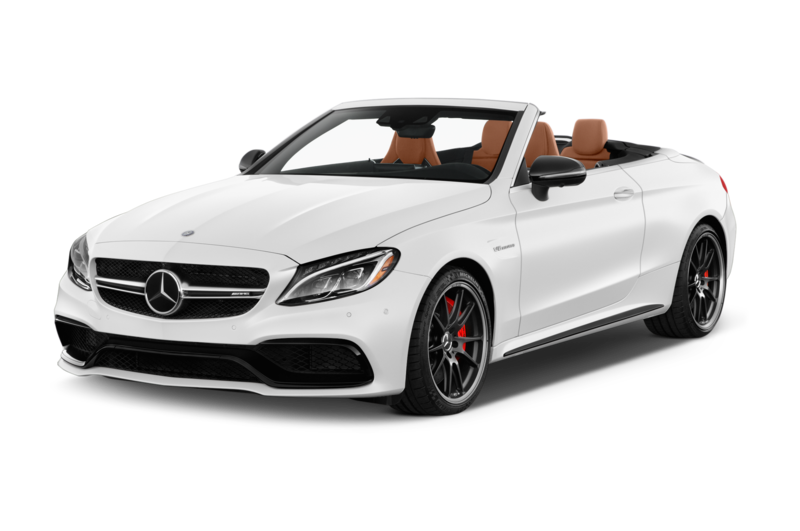 Arriving in a weathered six-cylinder Honda Accord to one of the country’s most opulent car shows would probably have resulted in at least a few people staring with disapproval, so you should’ve seen the grin on my face when Mercedes lent this 2017 Mercedes-AMG C63 S Cabriolet to be my chariot. 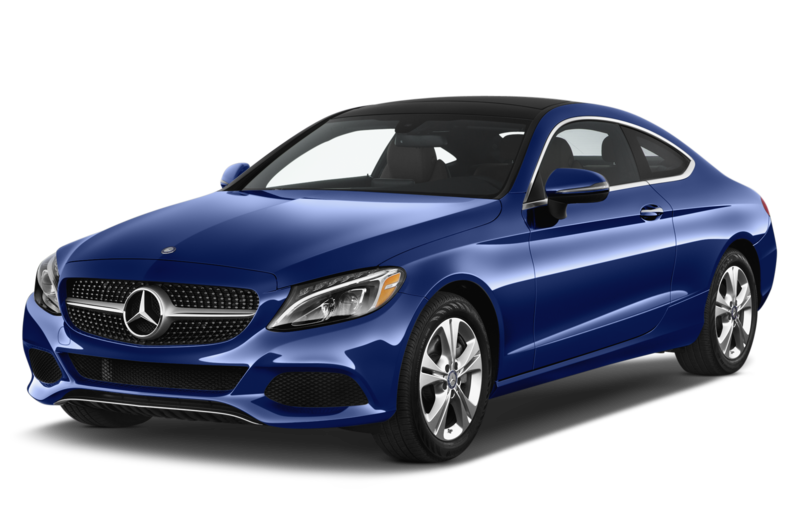 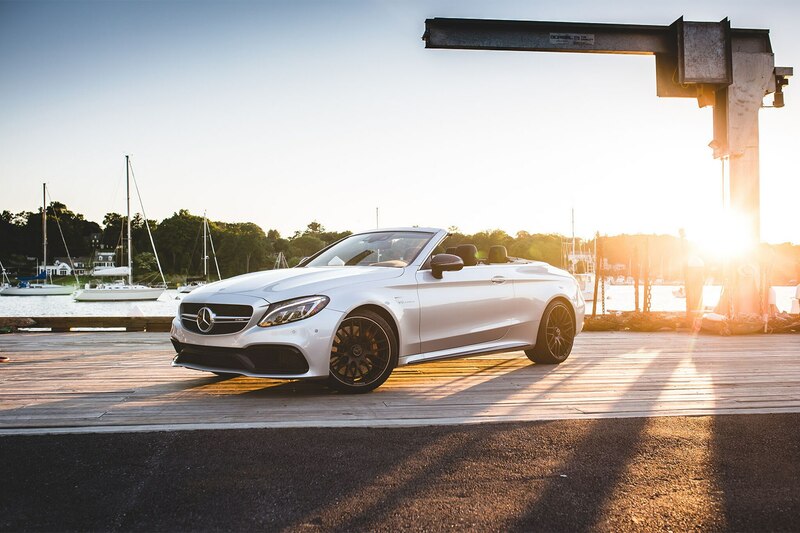 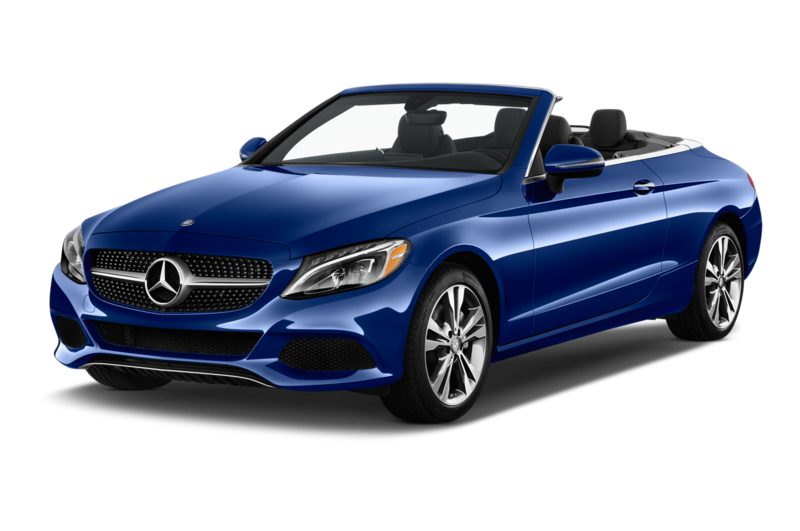 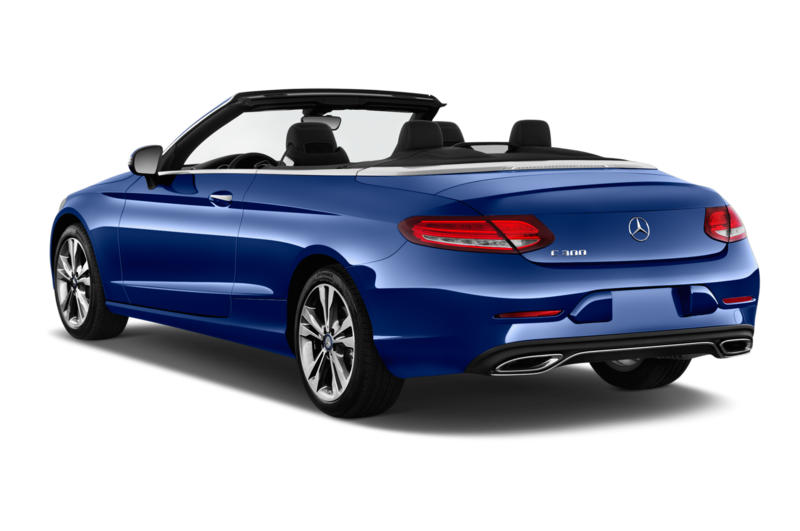 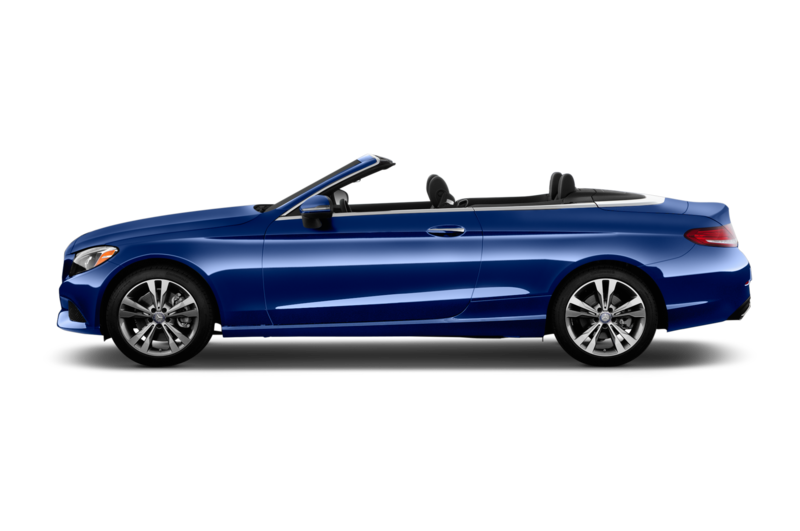 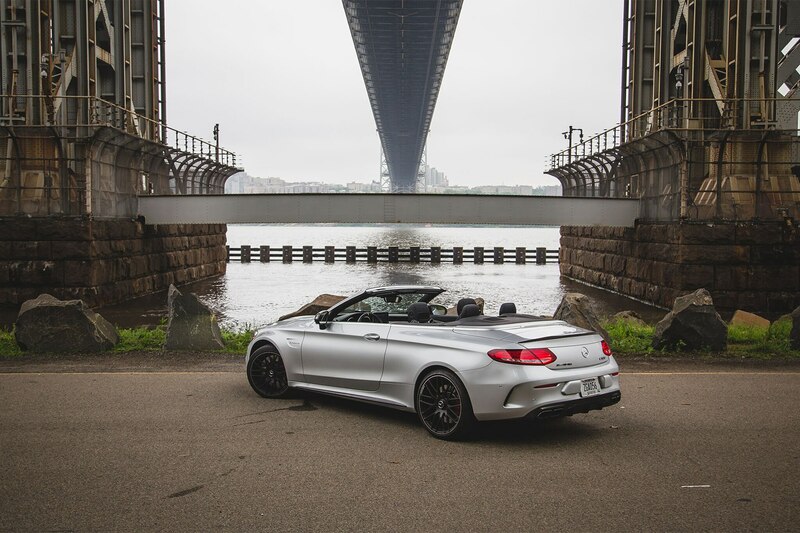 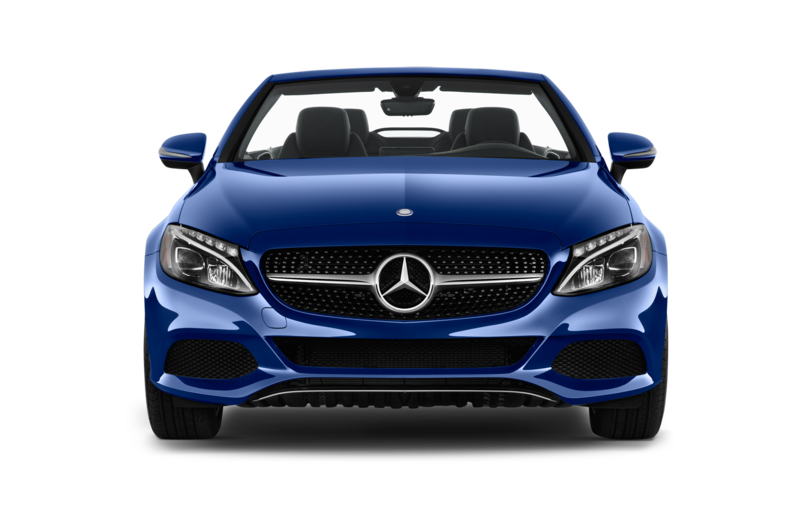 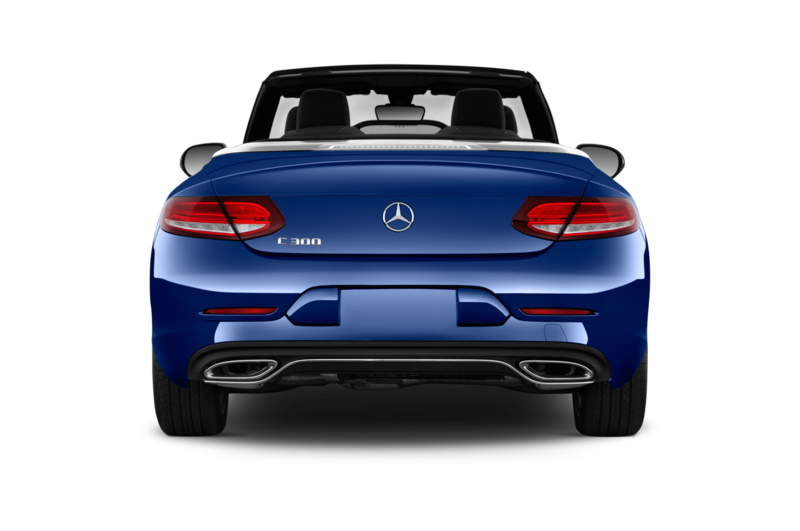 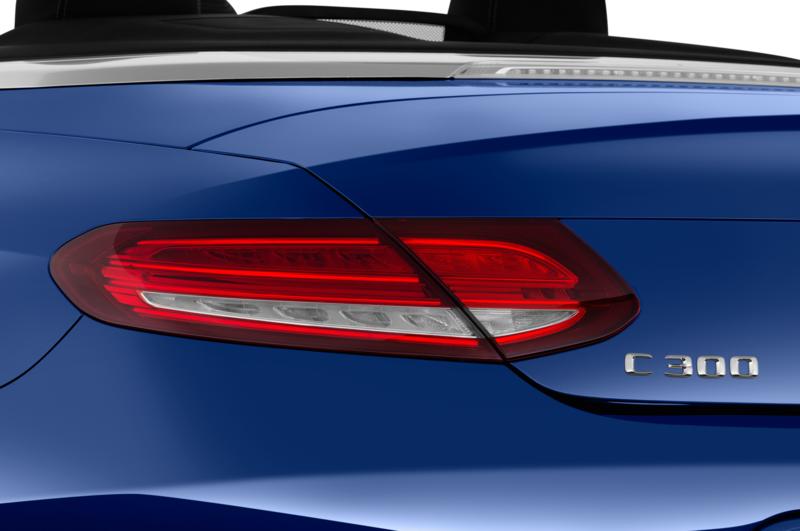 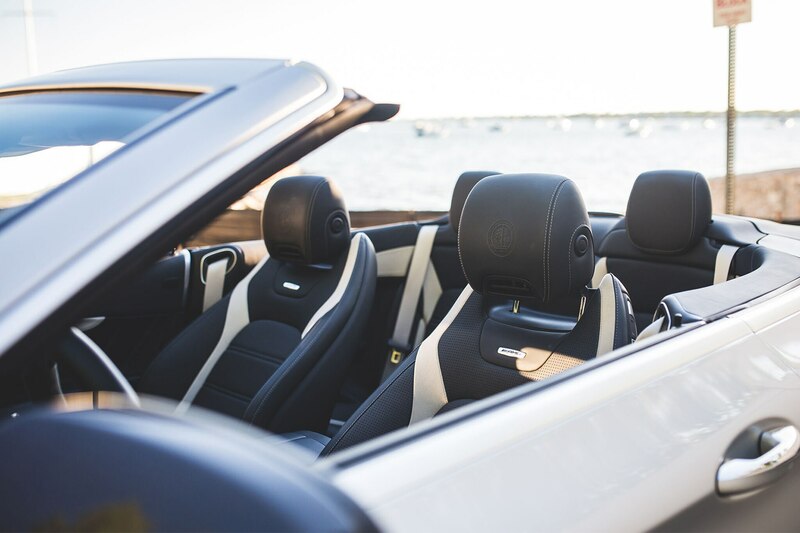 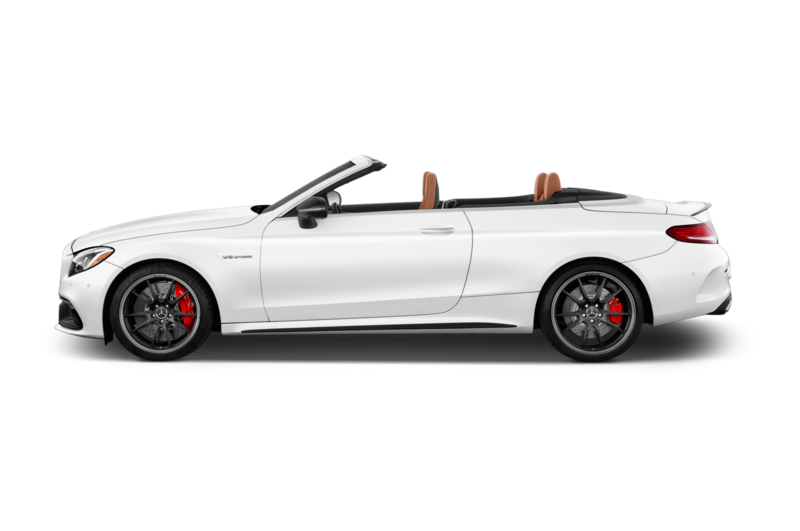 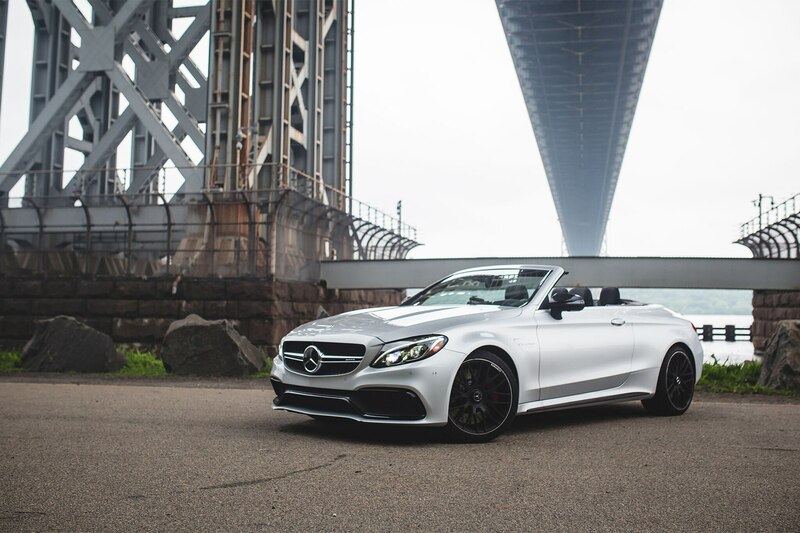 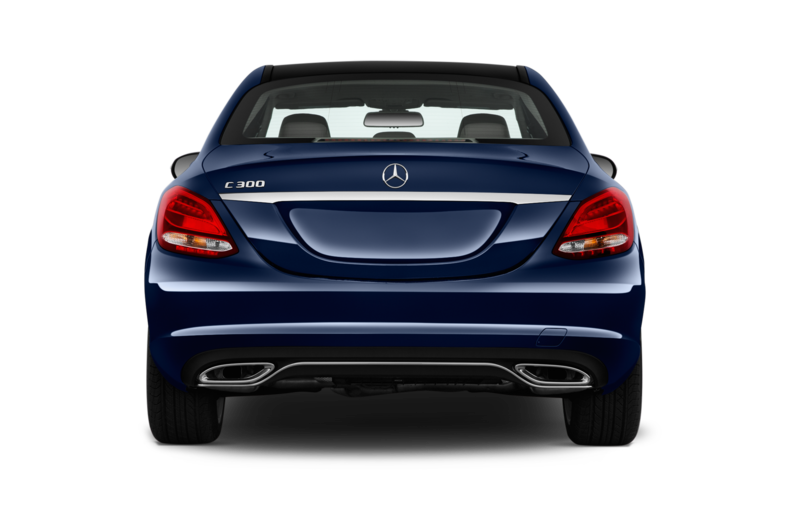 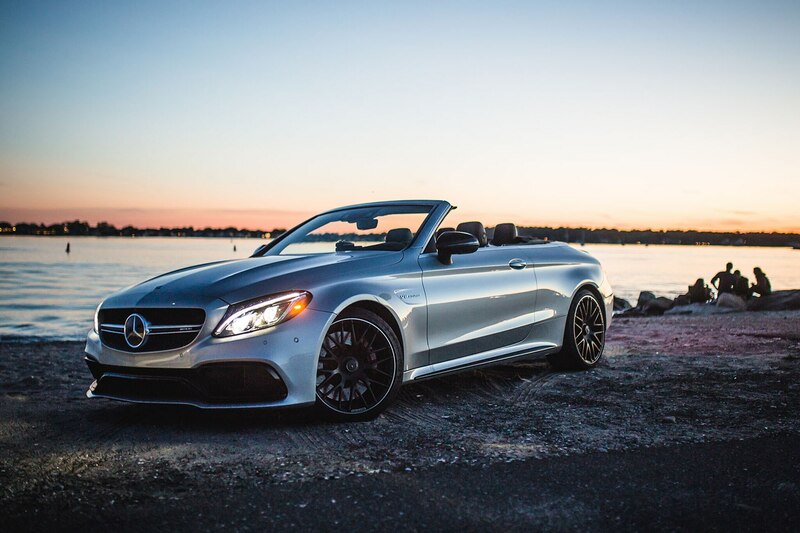 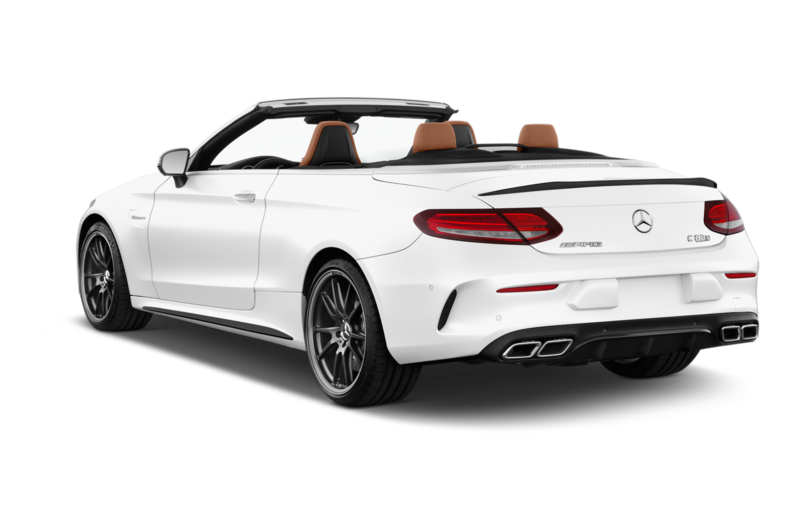 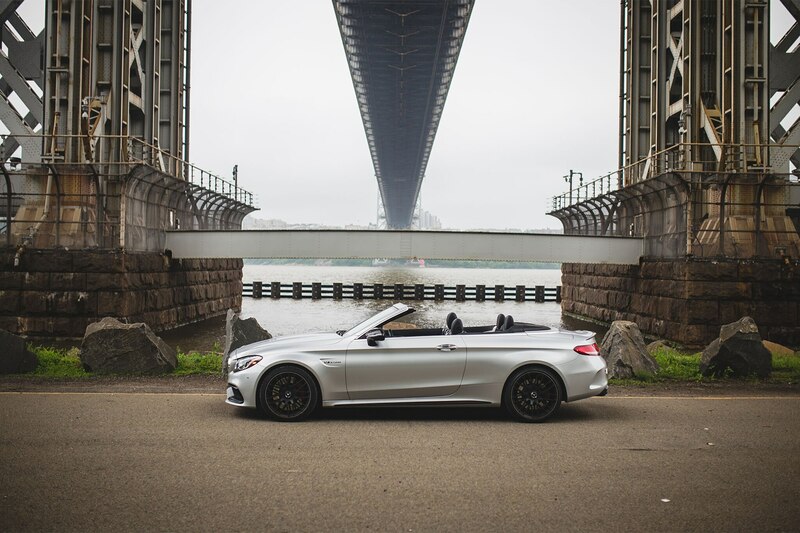 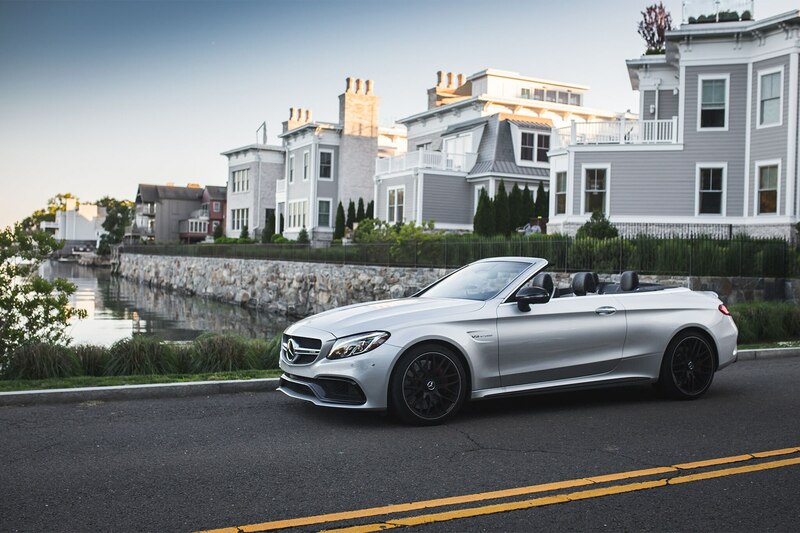 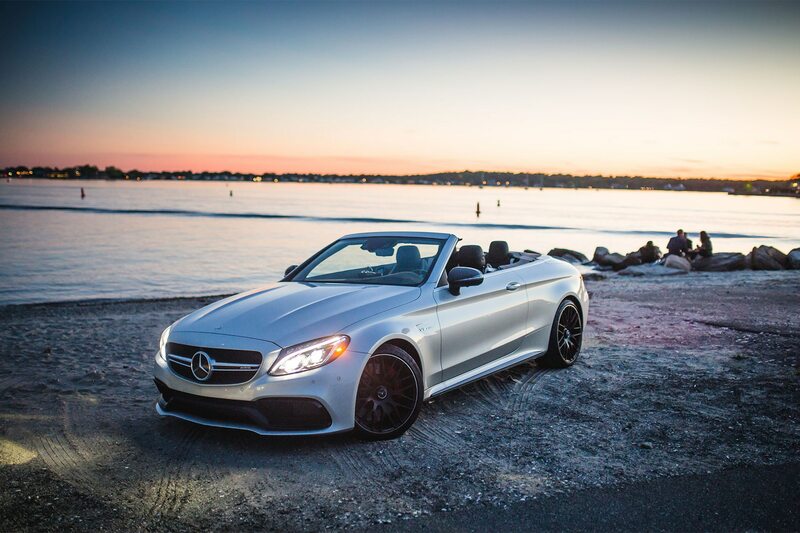 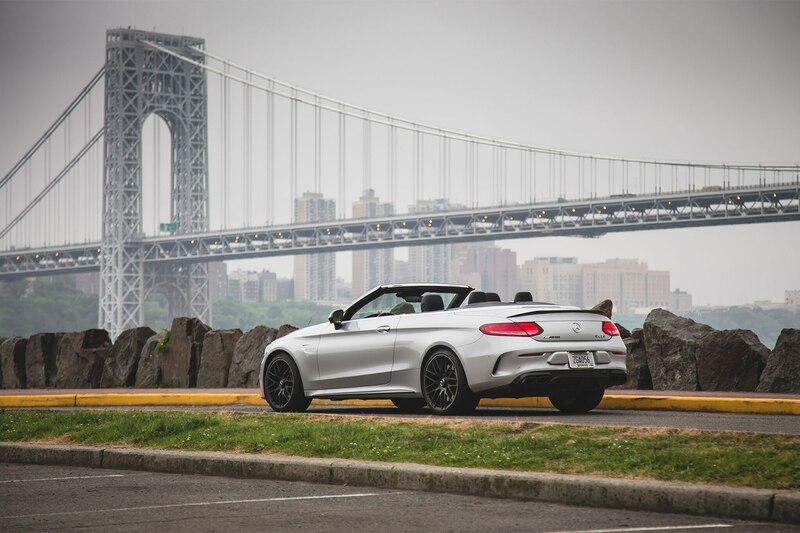 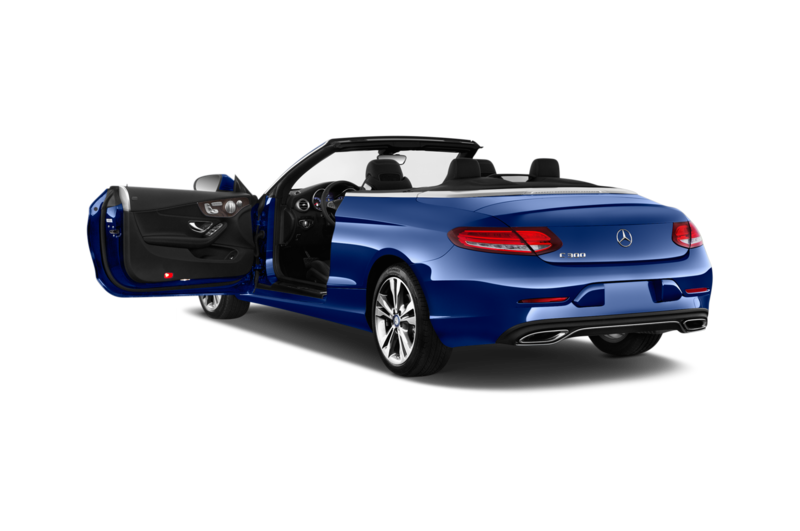 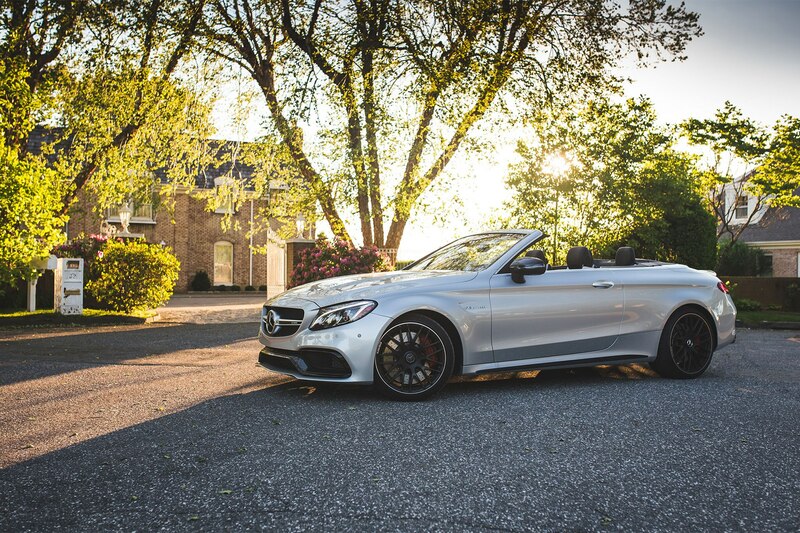 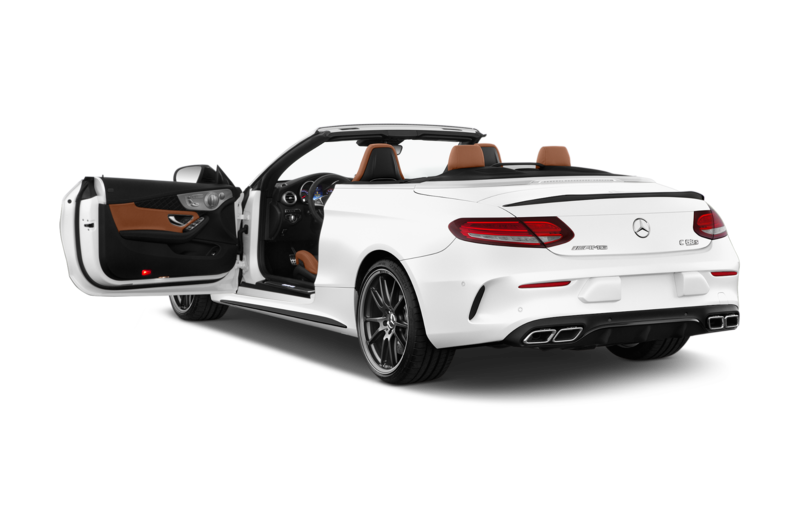 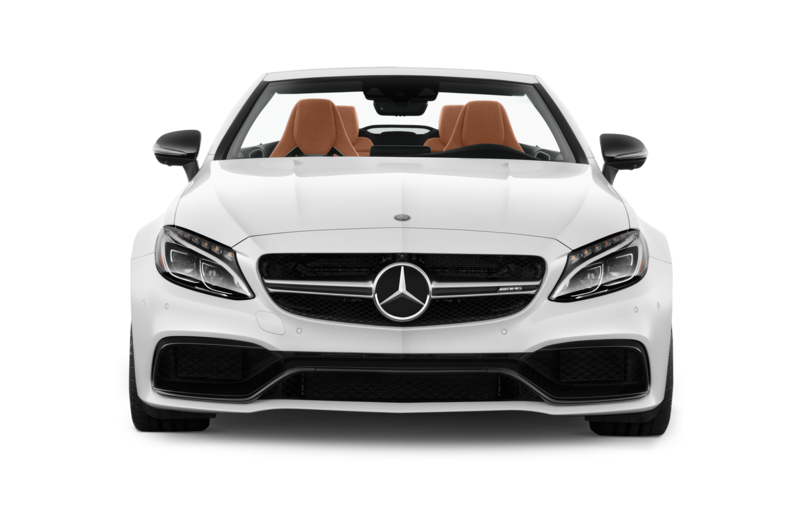 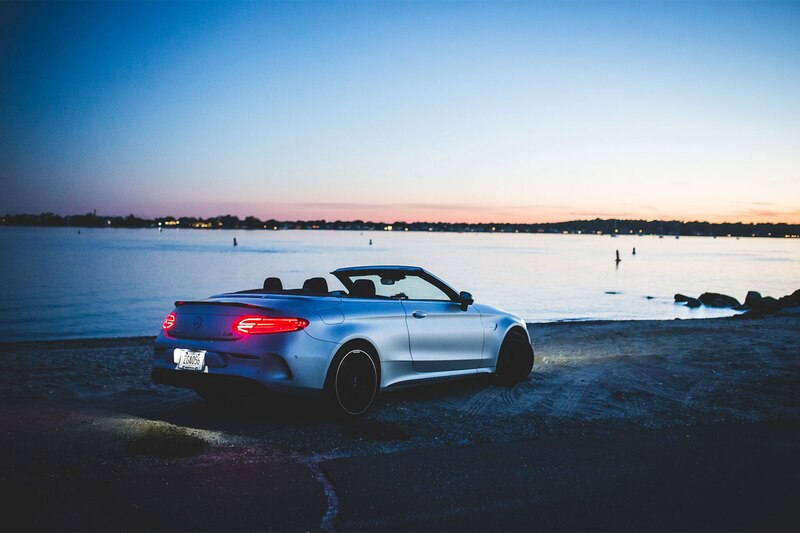 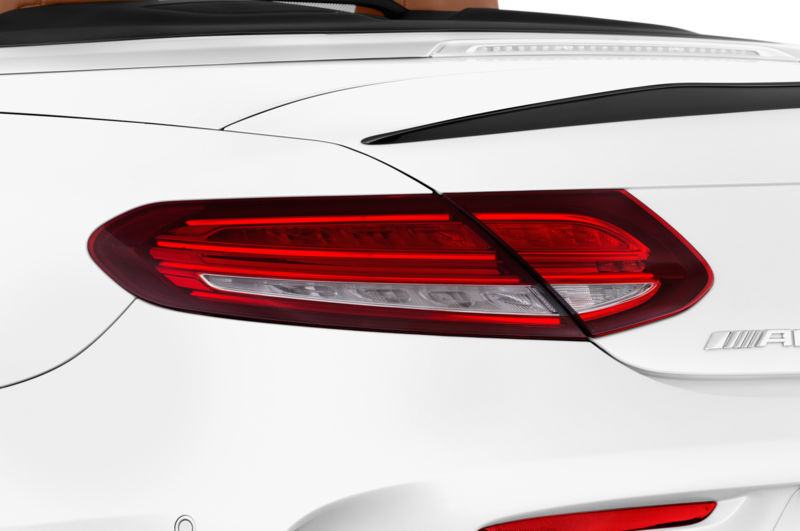 Because the 2017 C63 S blends the elegance and pure brute force of AMG’s boot camp with a shrunken-down S63 Cabriolet form, it adds itself to the list of droptops that look good with their tops up. 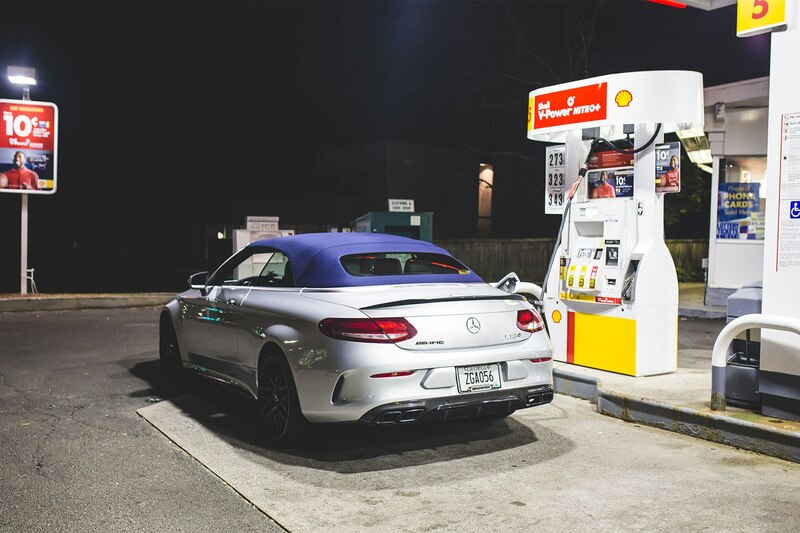 Though devoid of the S-Class ‘vert’s ginormous LCD screens, the C63 S is nicely appointed and features some of the best buckets I’ve occupied in quite a while. 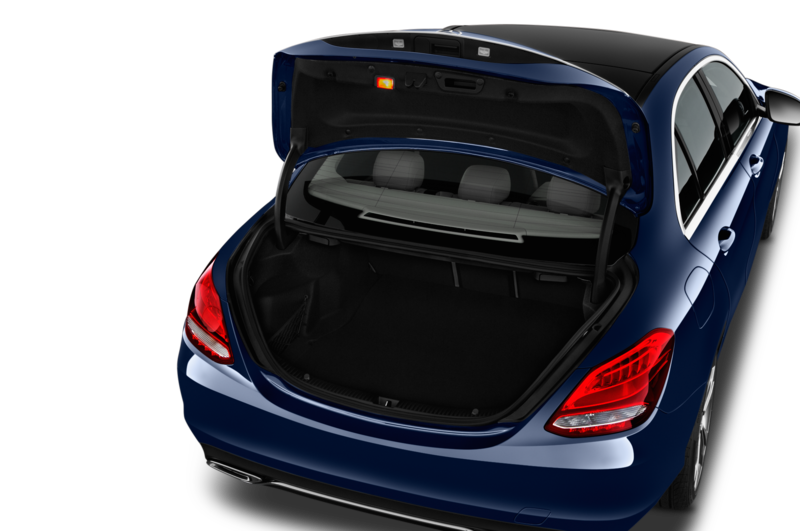 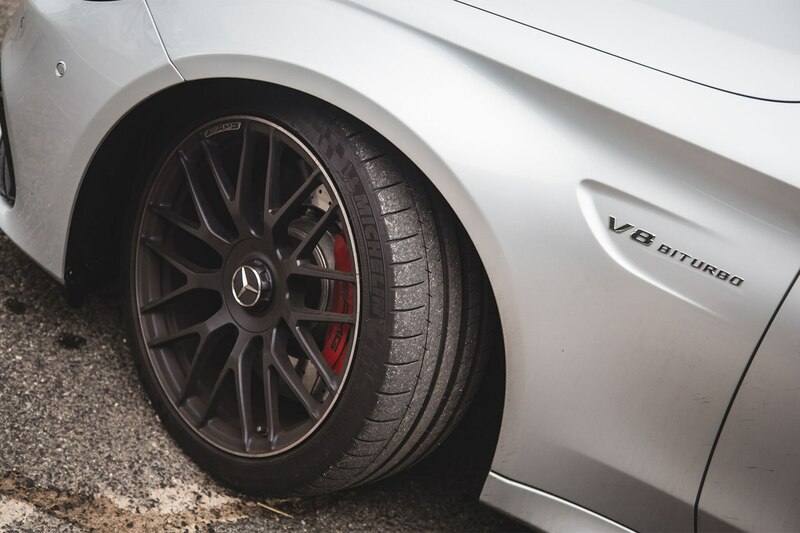 The materials are top-rate and no matter the situation, the C63 S’s confines provide a lovely refuge from just about anything plebian. 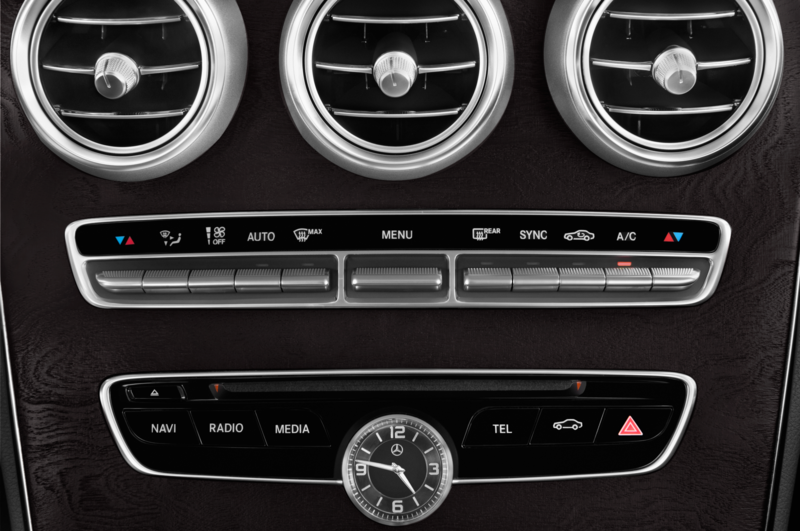 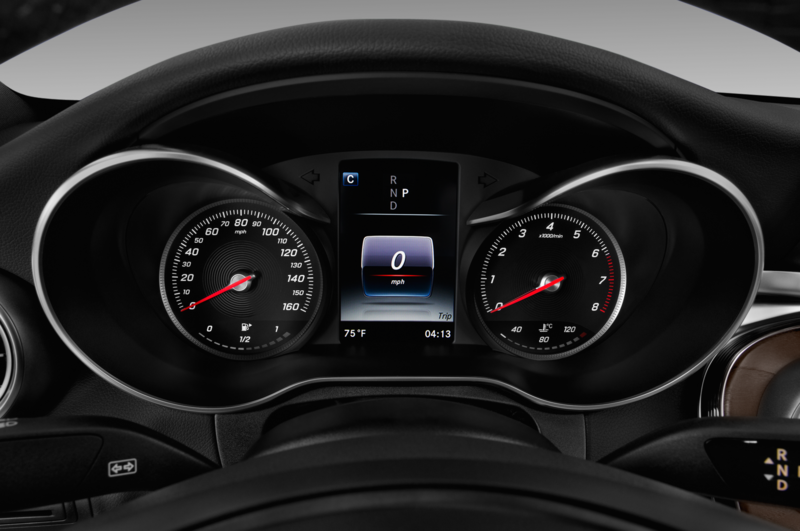 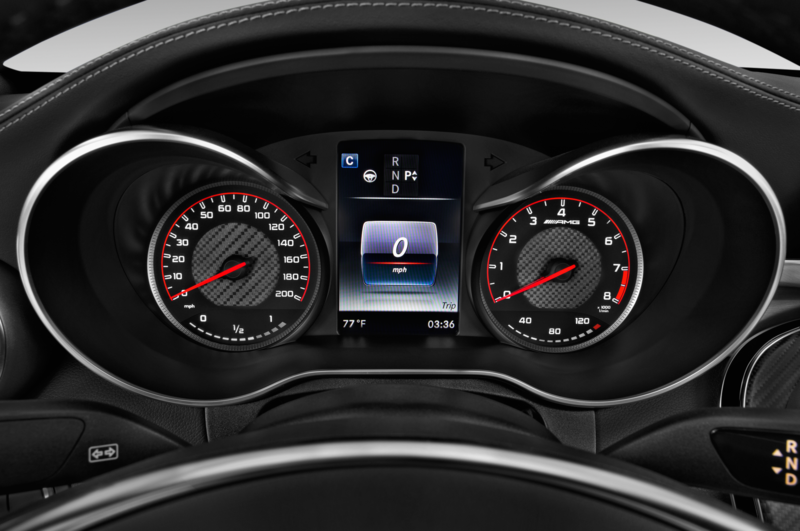 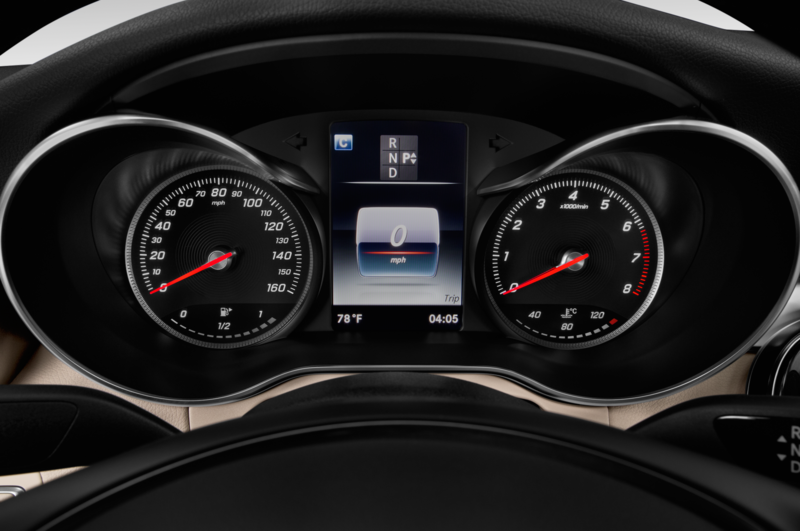 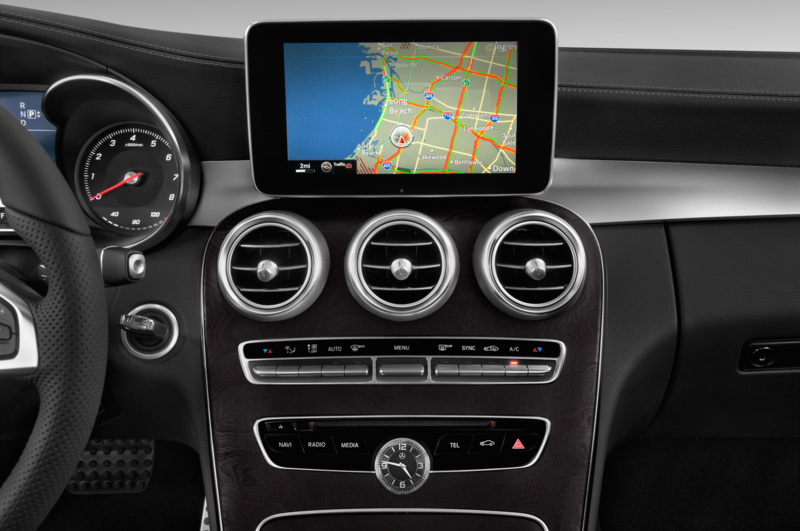 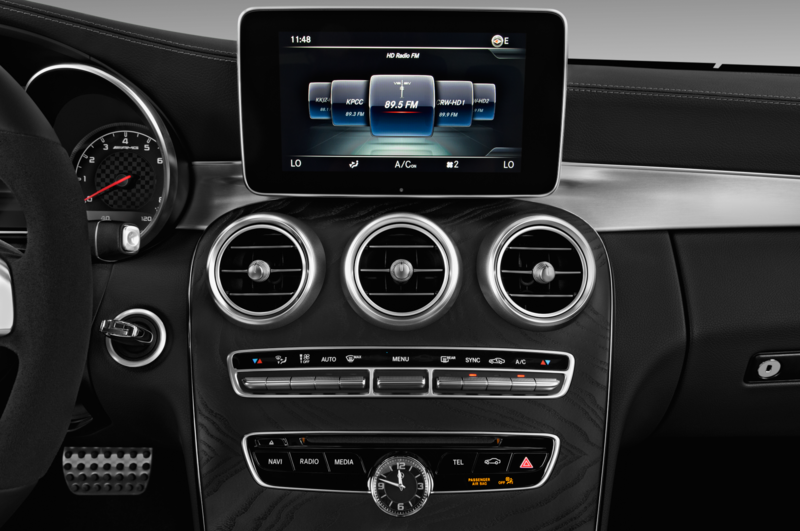 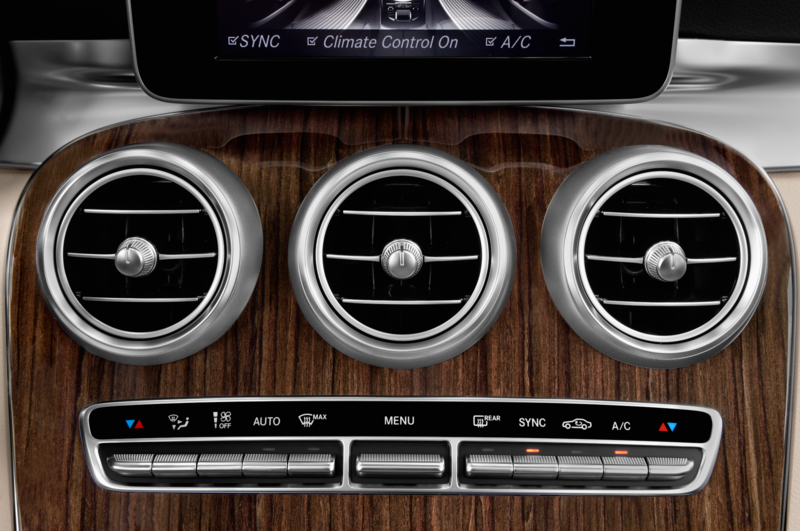 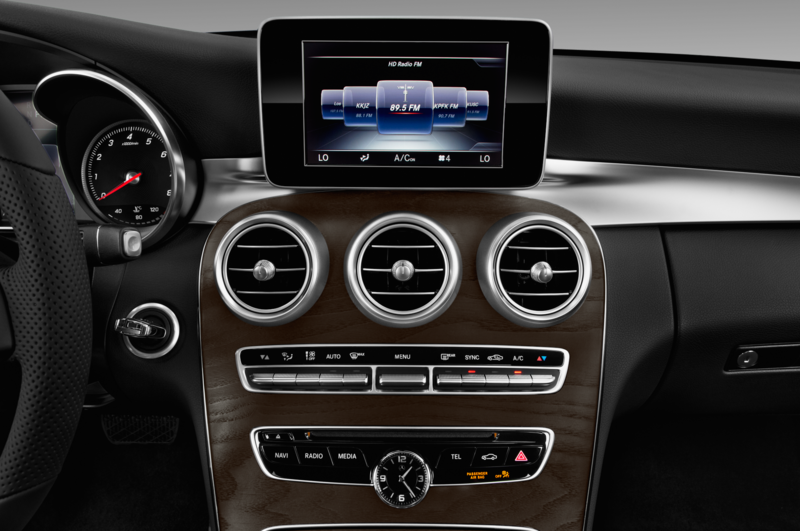 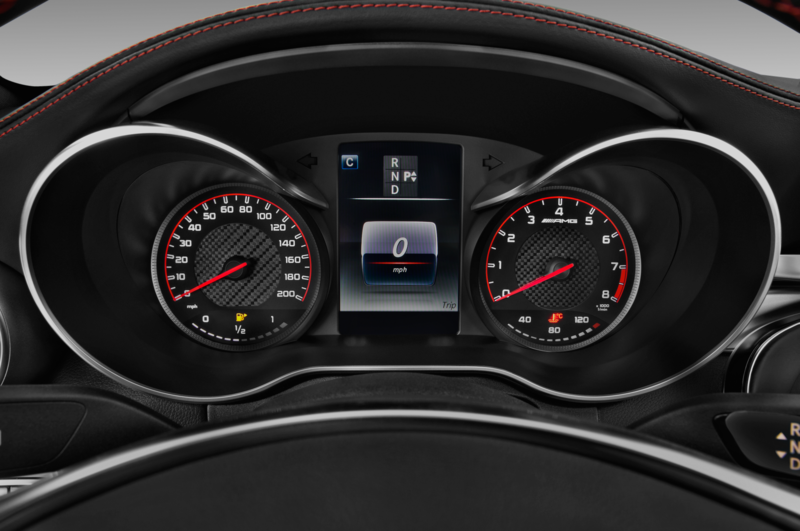 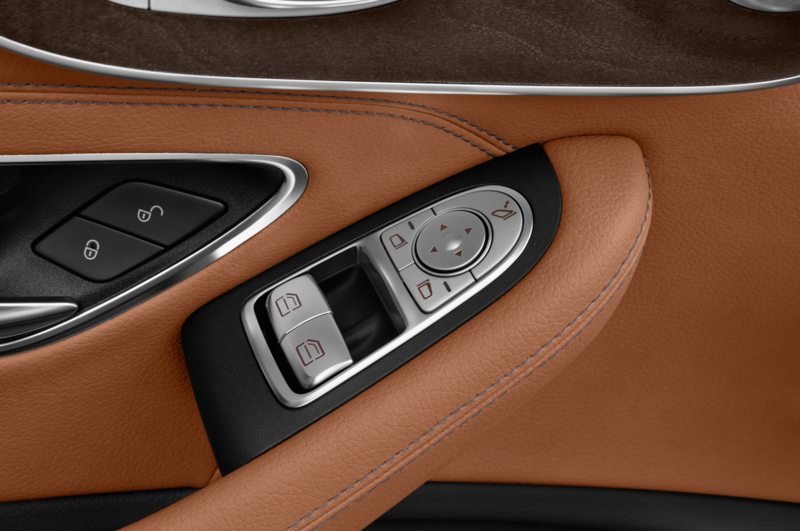 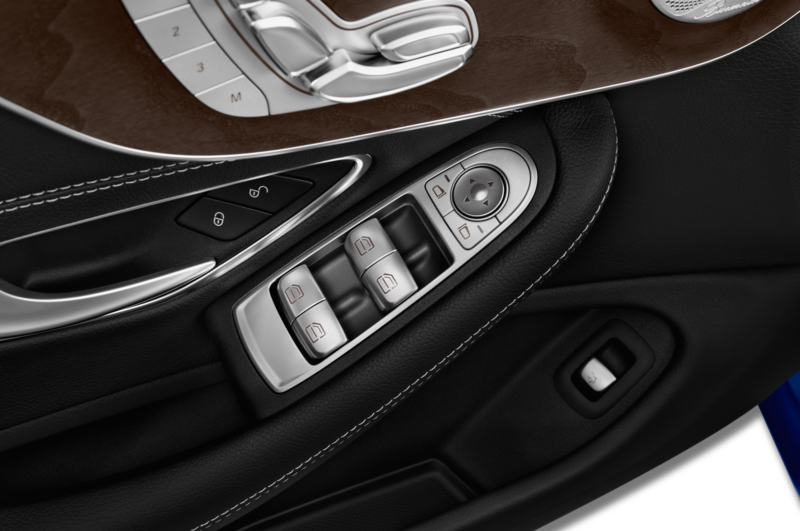 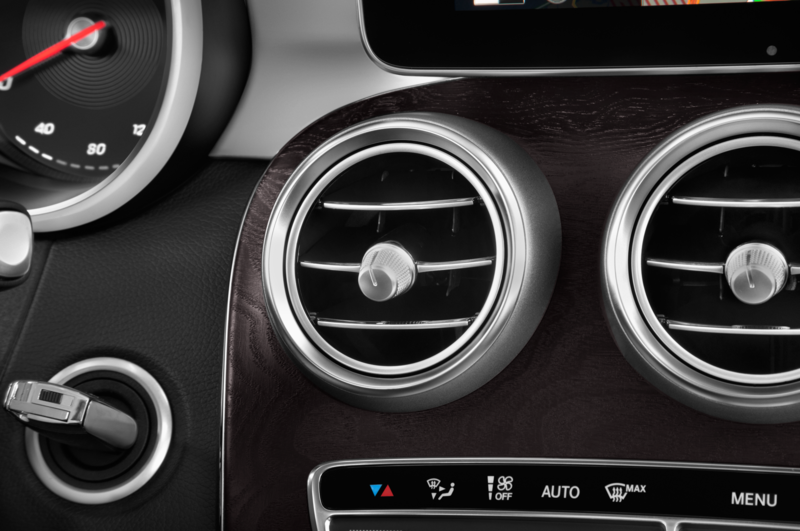 If I had to complain about something, it would be the placement of the center infotainment screen. 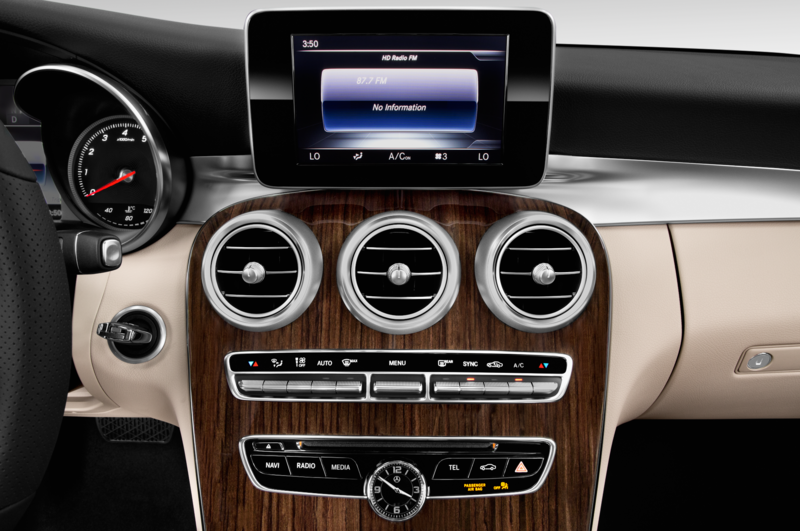 I never was a fan of the design and to me, it looks like an afterthought. 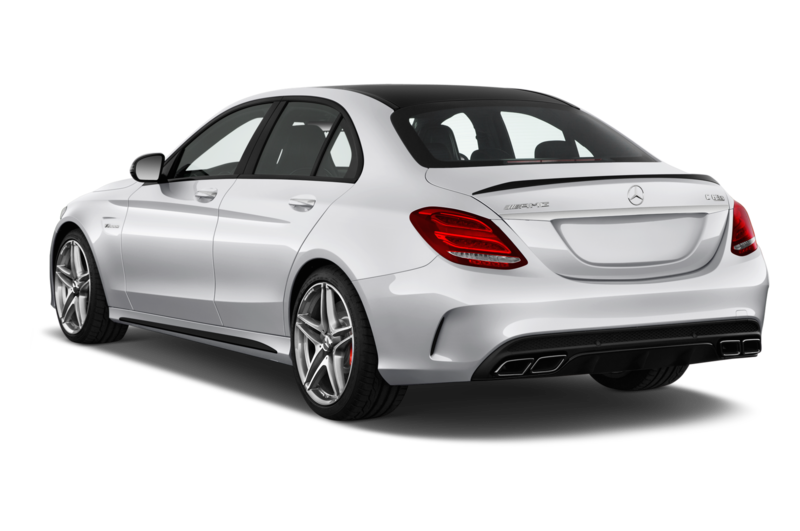 With its matte-black, multi-spoke AMG wheels, larger air dams in the front lower fascia, and pronounced haunches, the C63 S arrives to the party with plenty of curb swag, but in a sleek and subtle manner rather than a shouty one. 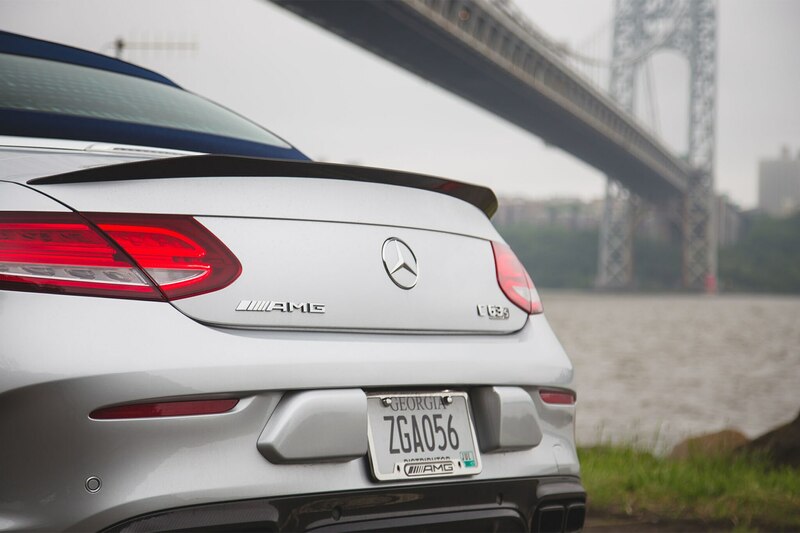 Arriving to the 2017 Greenwich Concours d’Elegance just off I-95, the C63 S certainly got its fair share of smartphone camera time from eager young enthusiasts to old-timer collectors. 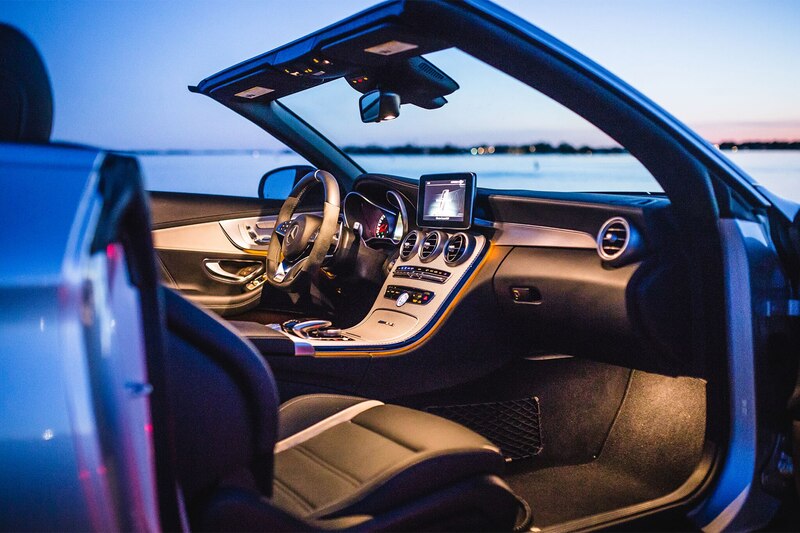 That is, if the engine wasn’t enough to already announce my arrival. 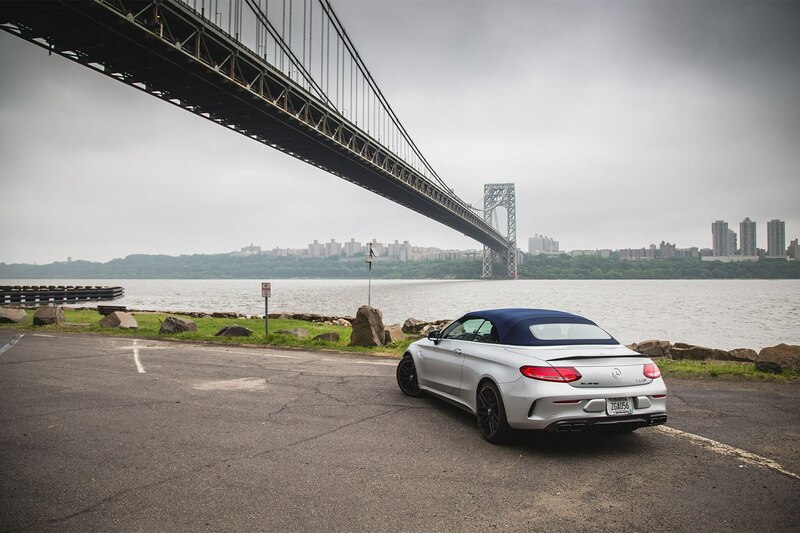 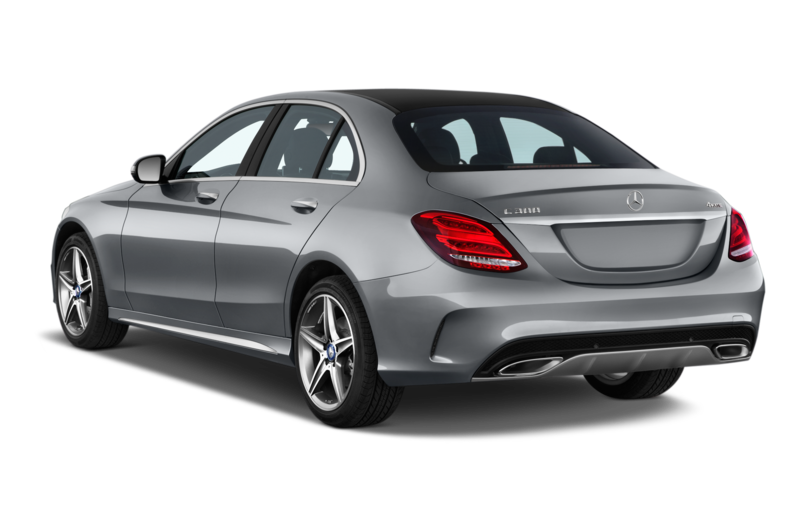 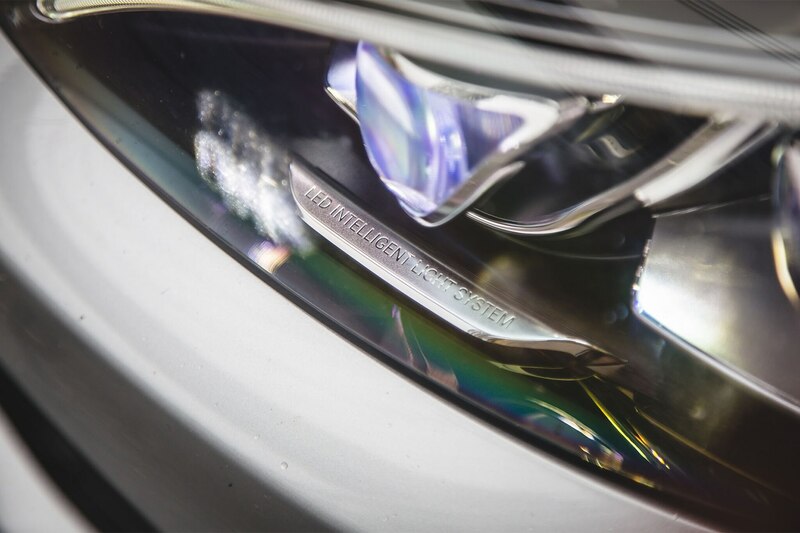 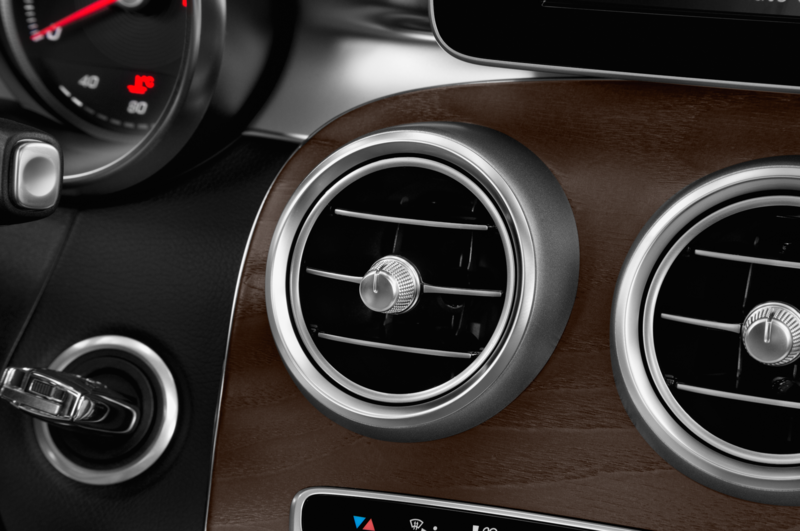 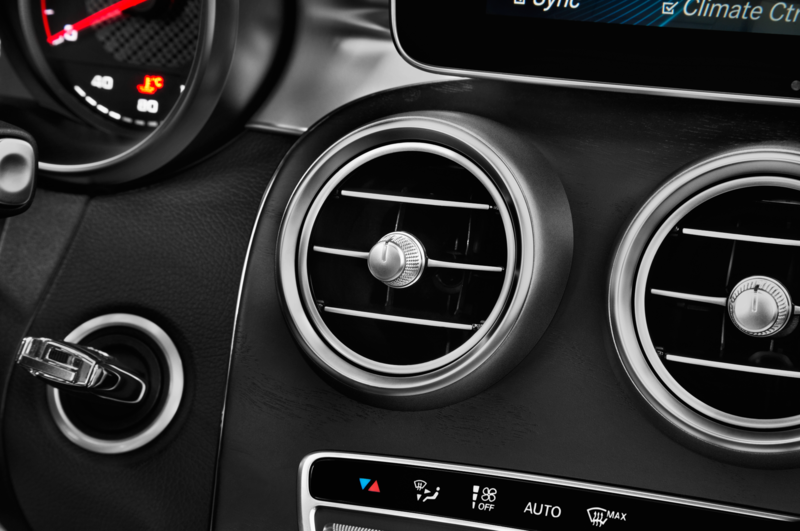 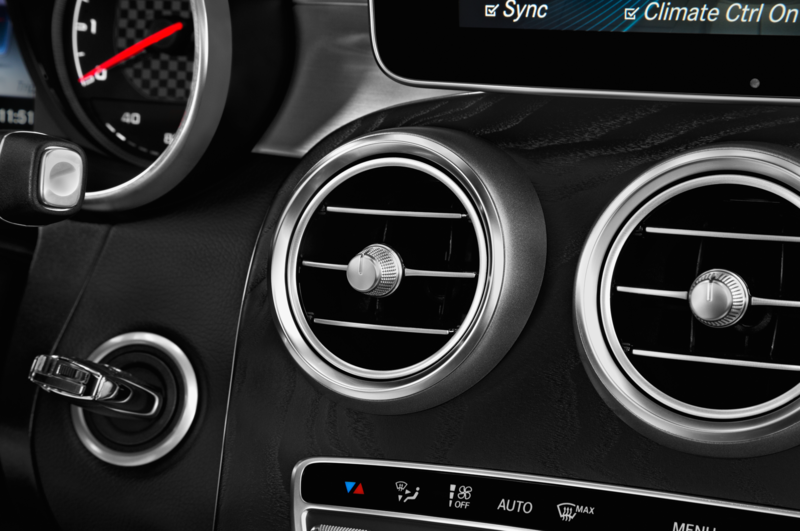 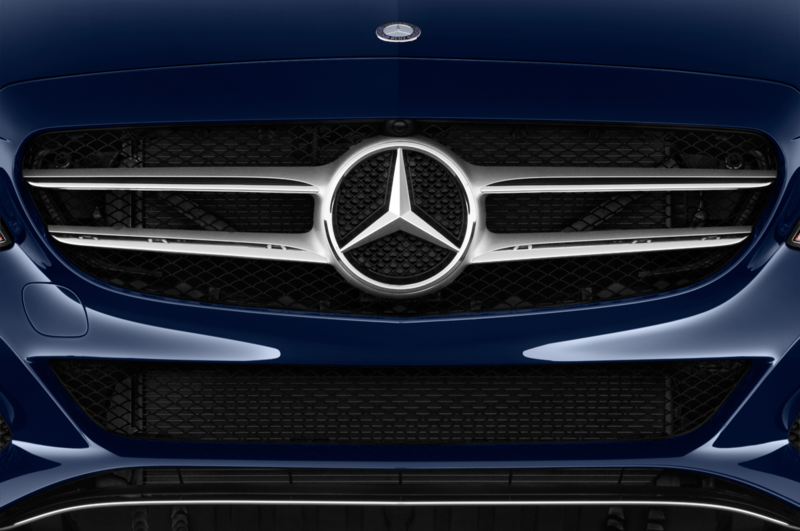 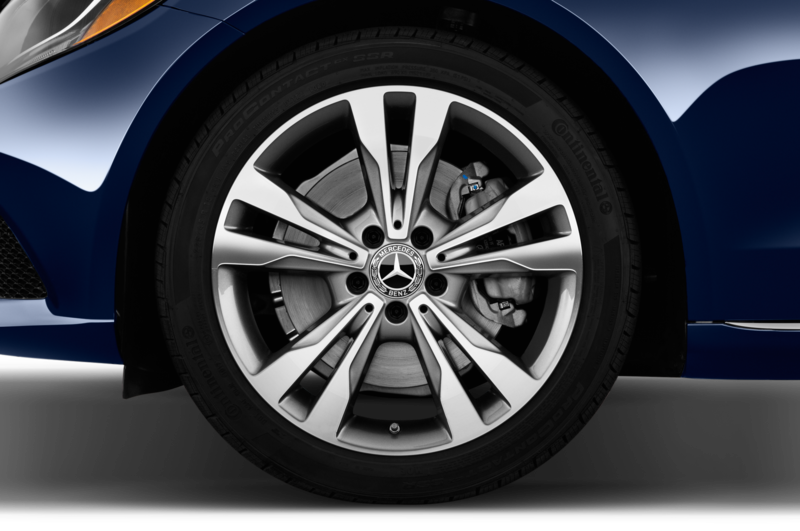 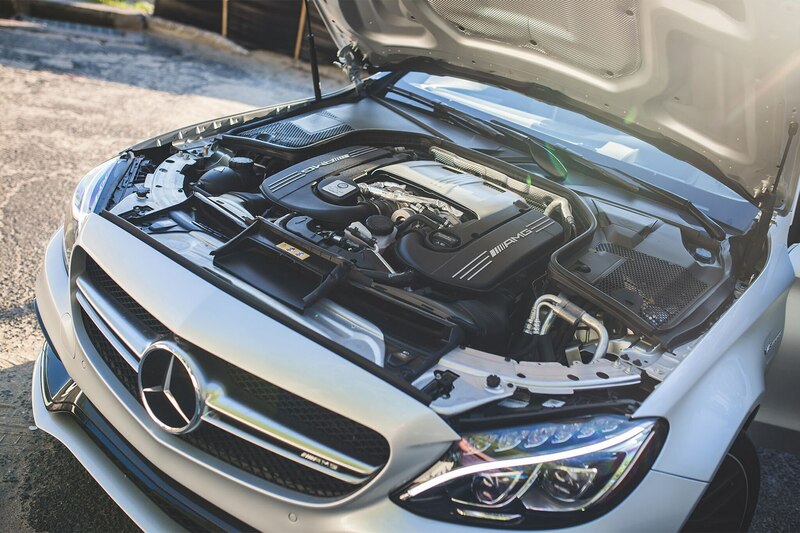 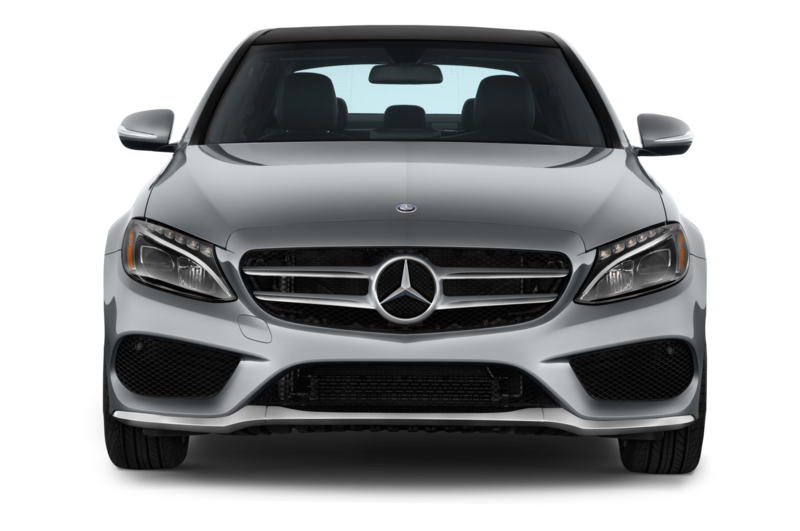 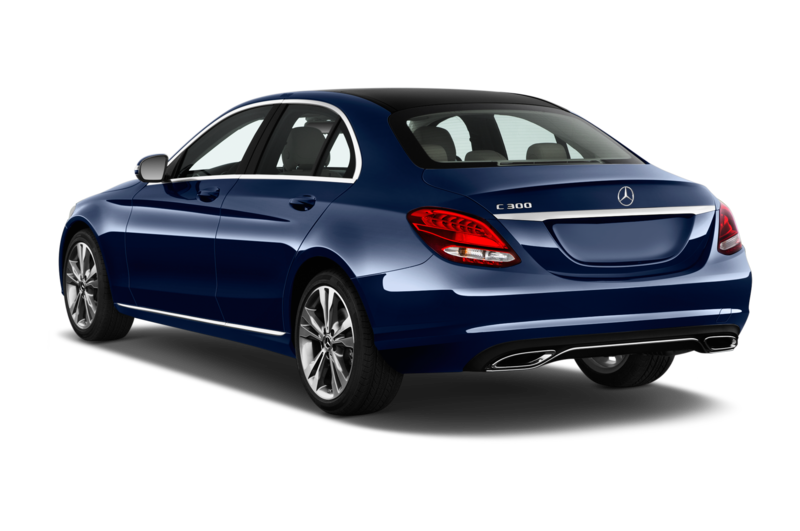 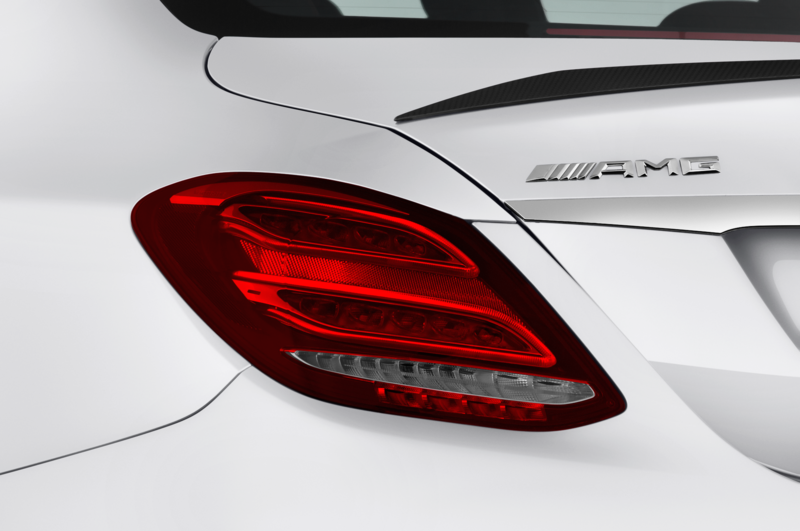 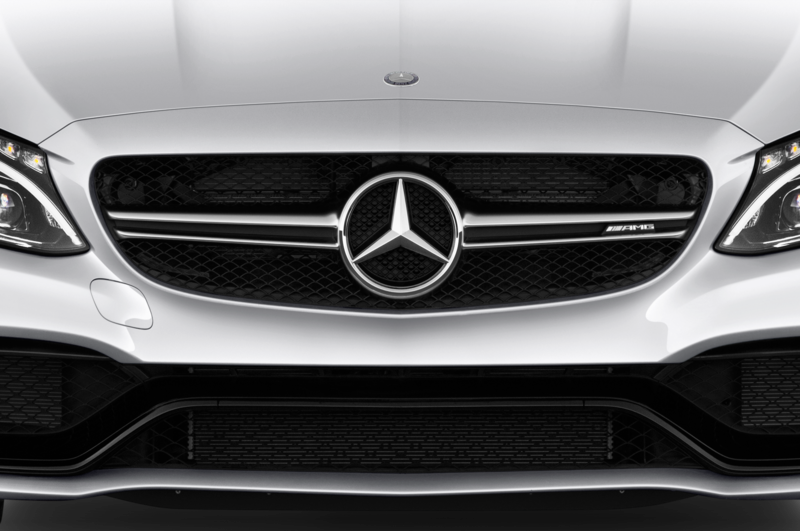 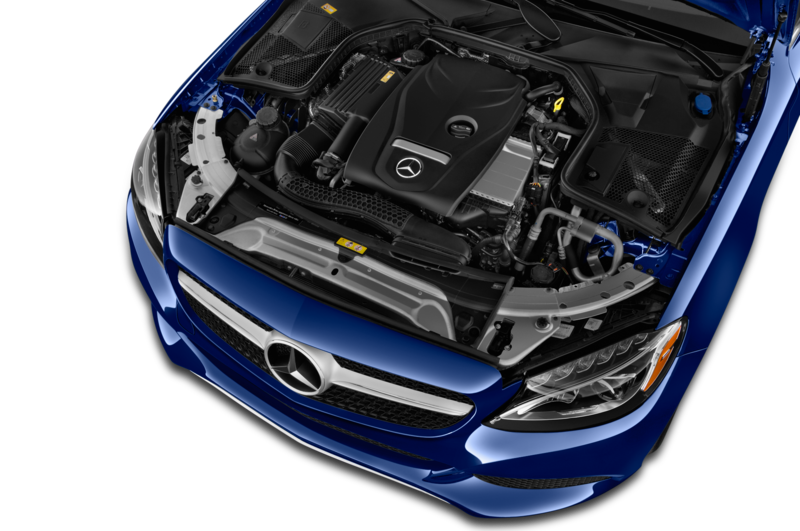 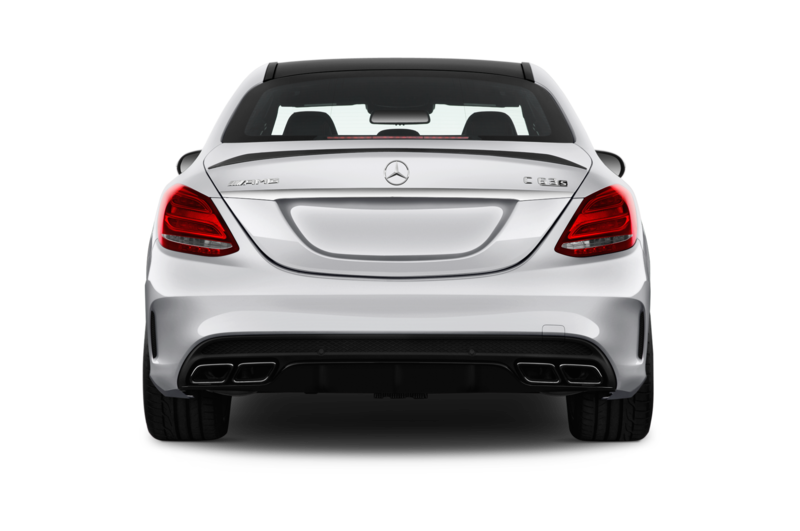 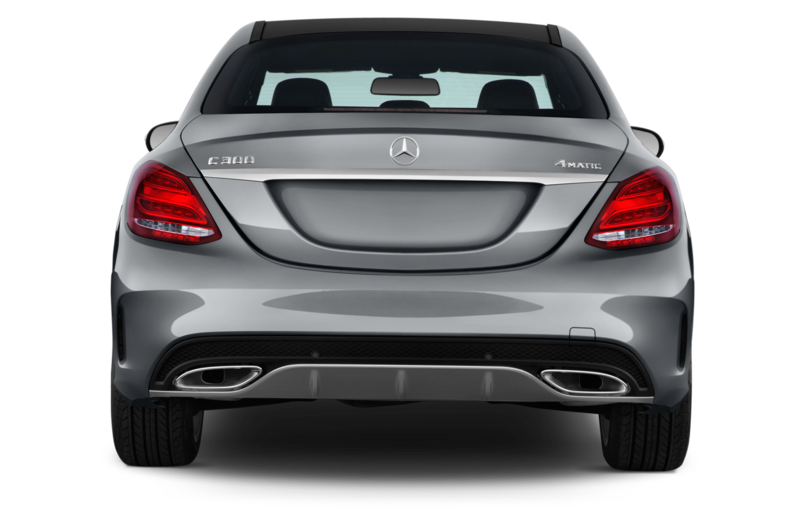 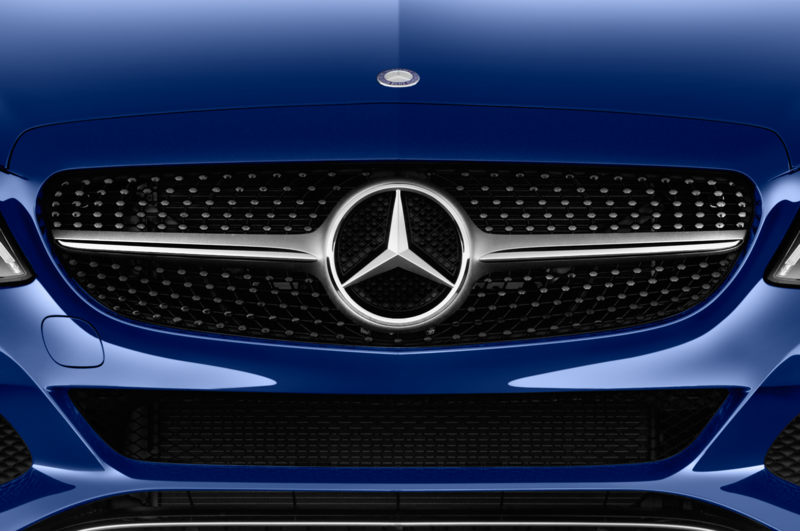 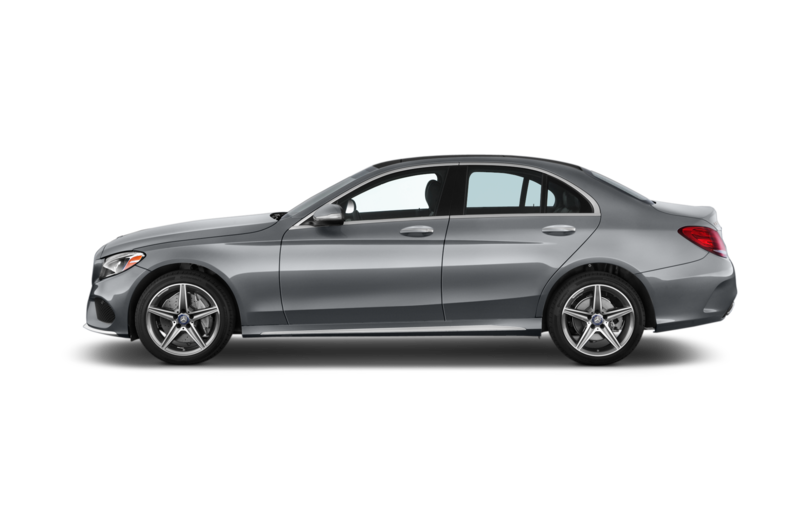 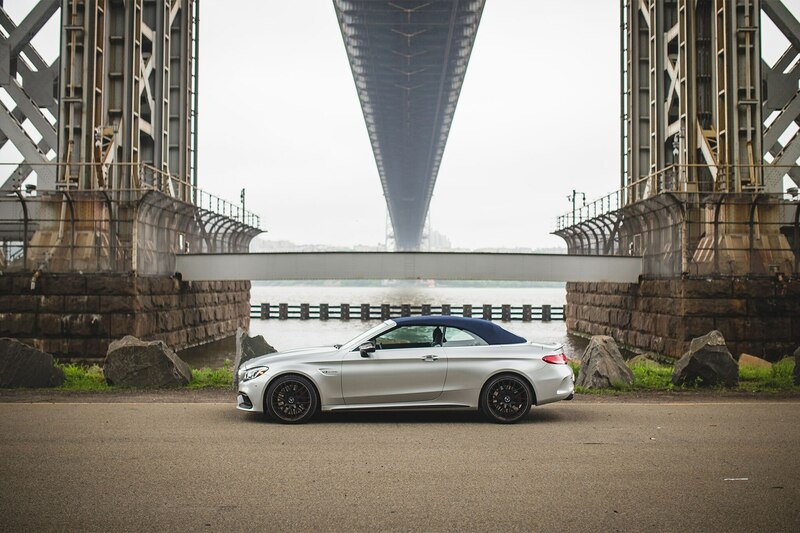 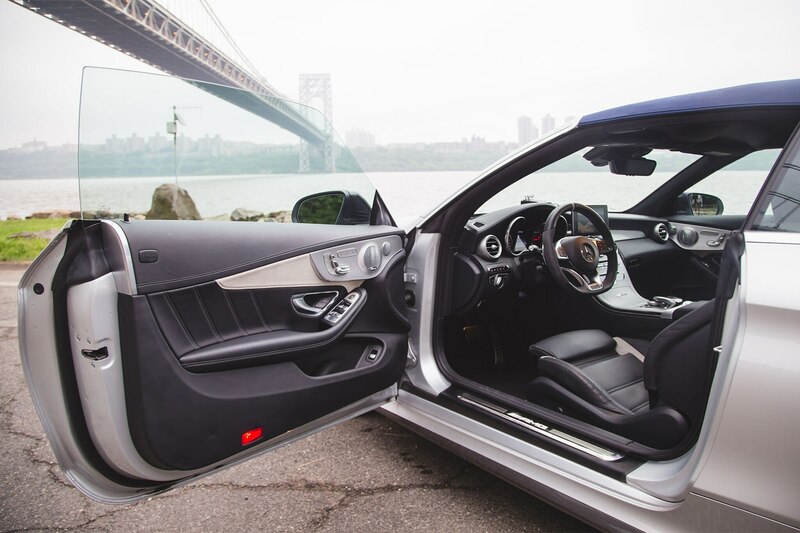 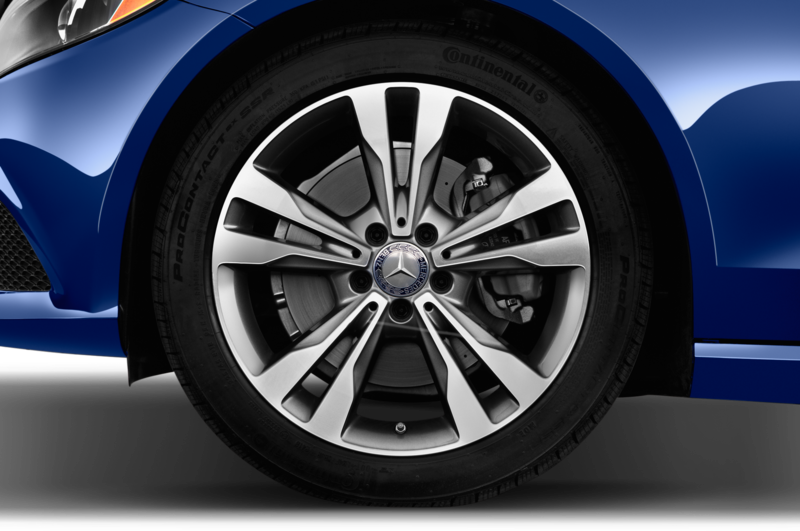 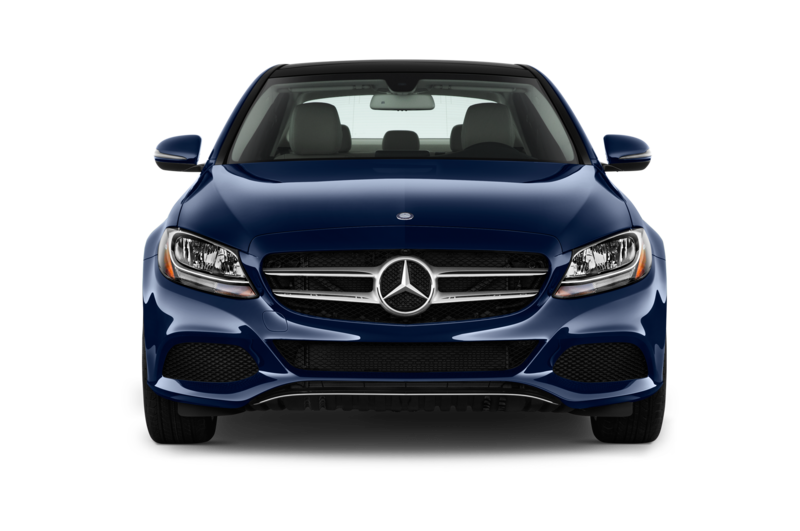 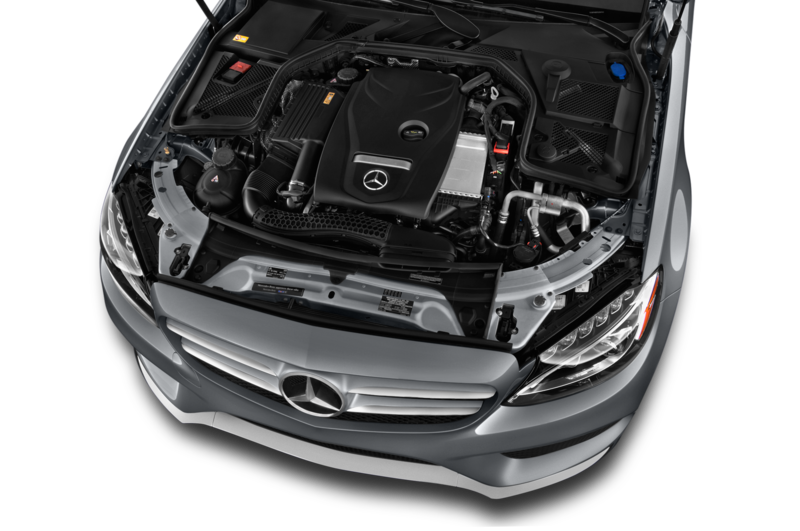 When the AMG C-Class first arrived, it came with a naturally aspirated inline-six. 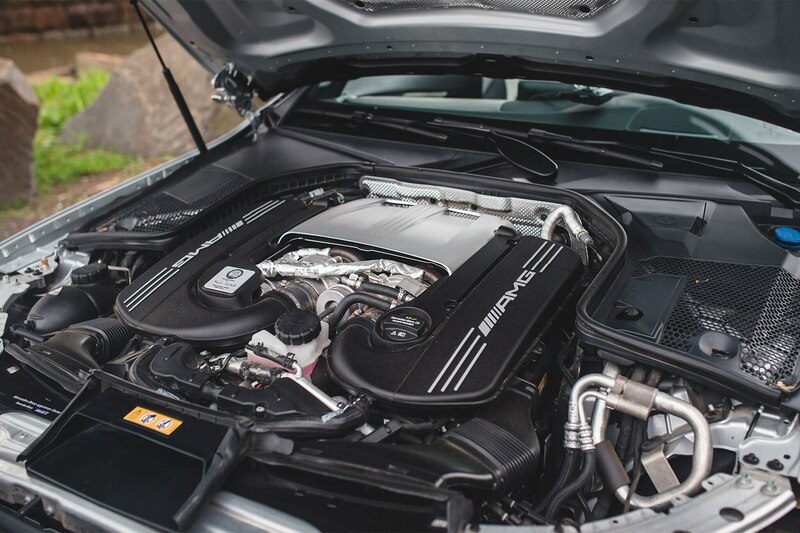 As it evolved, it grew to offer the choice of six- or eight-cylinders, with the latest and greatest using a thundering ocho. 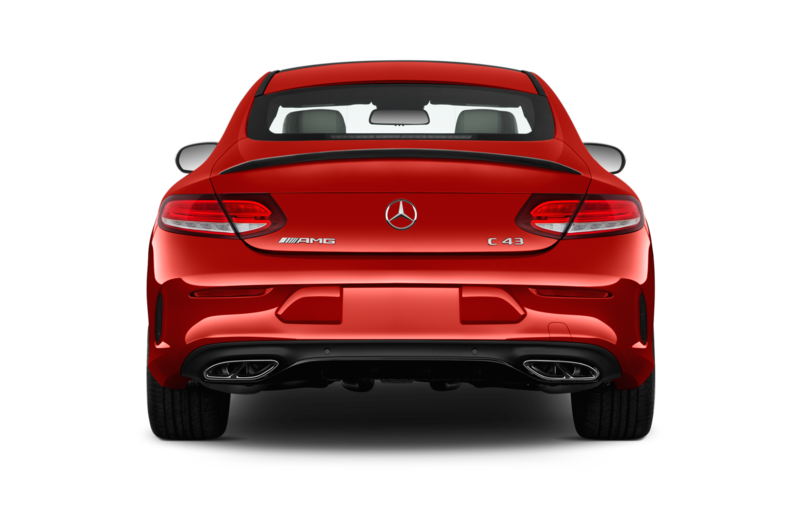 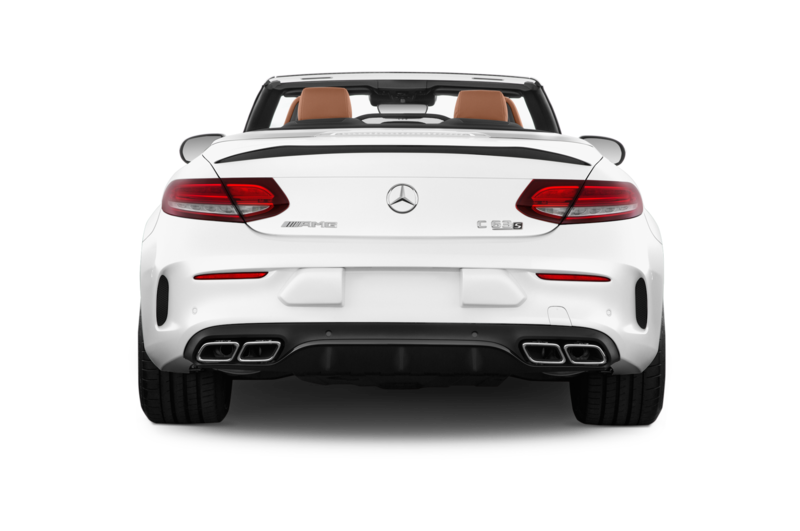 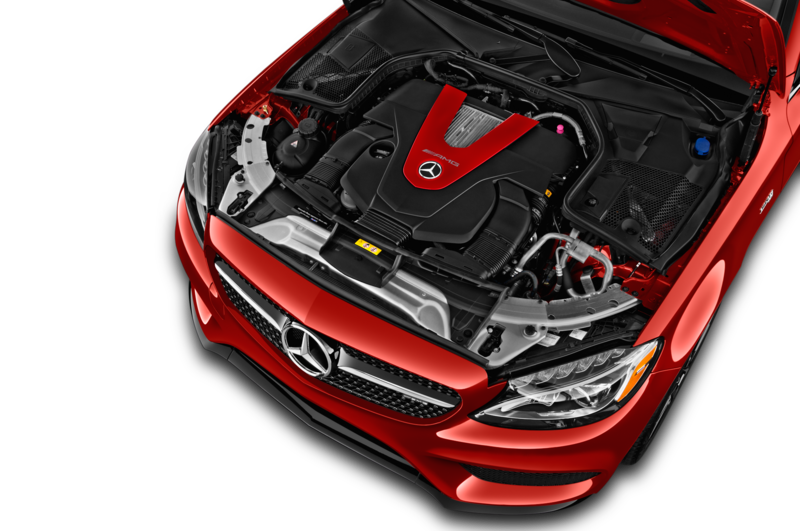 Lifted straight from the AMG GT S, the twin-turbo 4.0-liter V-8 sports 503 horsepower and 516 lb-ft of torque, good for a 0-60 time of just 4.1 seconds. 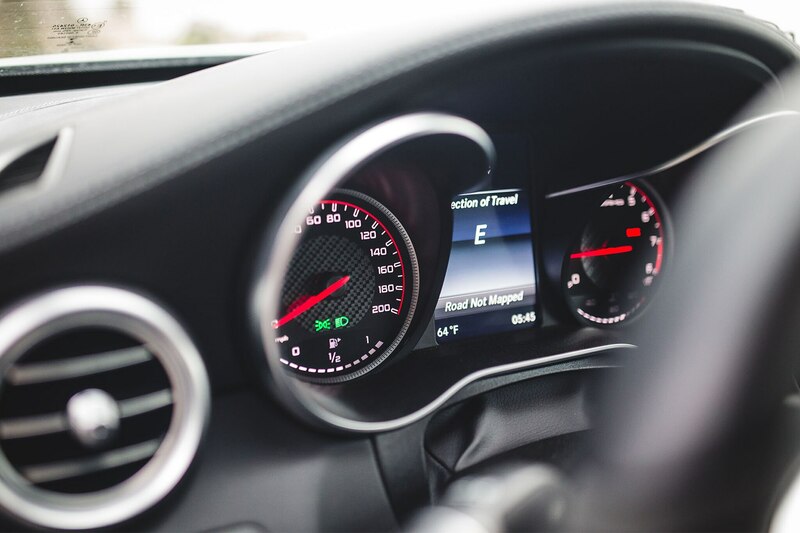 If you ever wanted to know what a sledgehammer feels like for acceleration, the C63 S’s turbo lag-free savage acceleration is a good place to start. 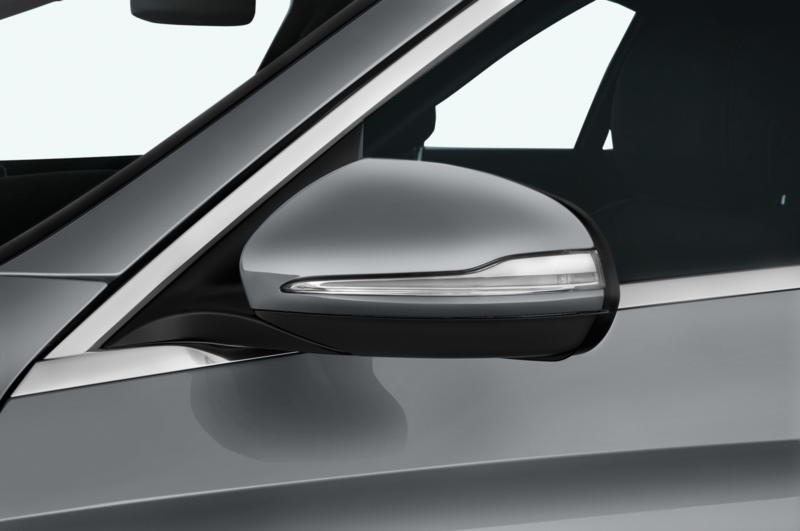 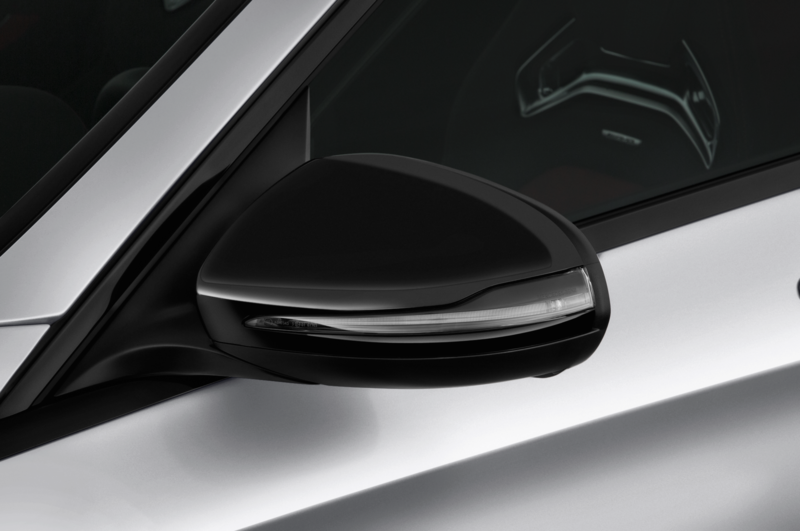 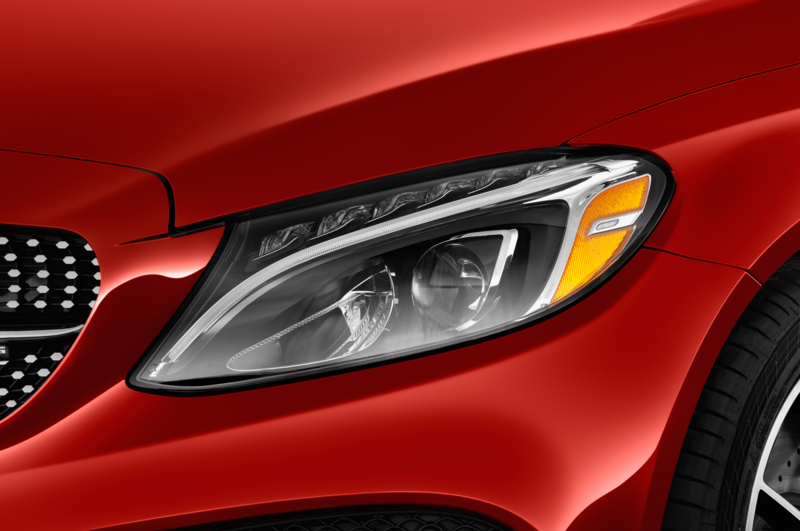 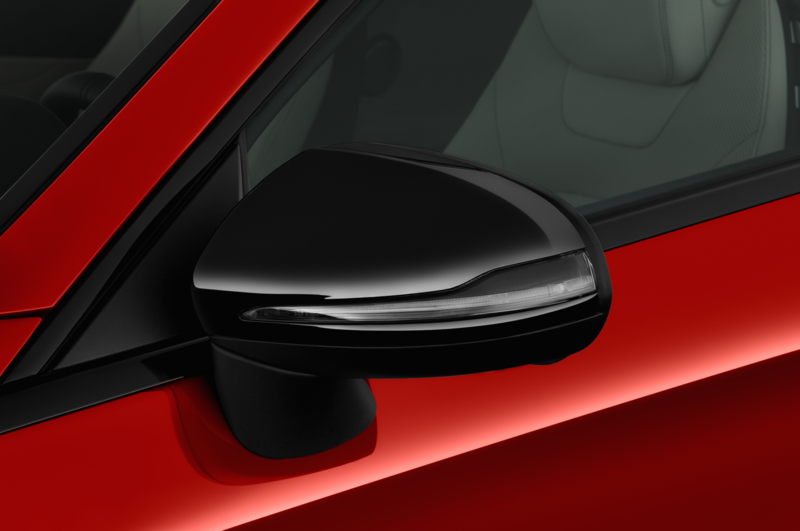 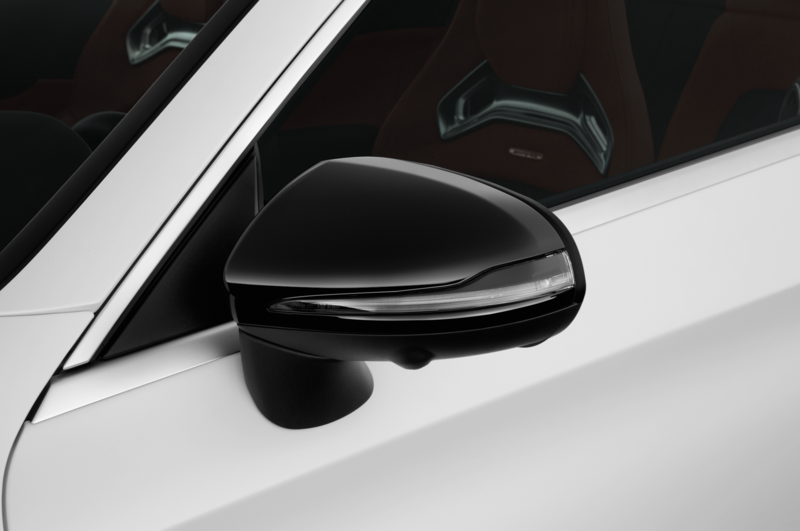 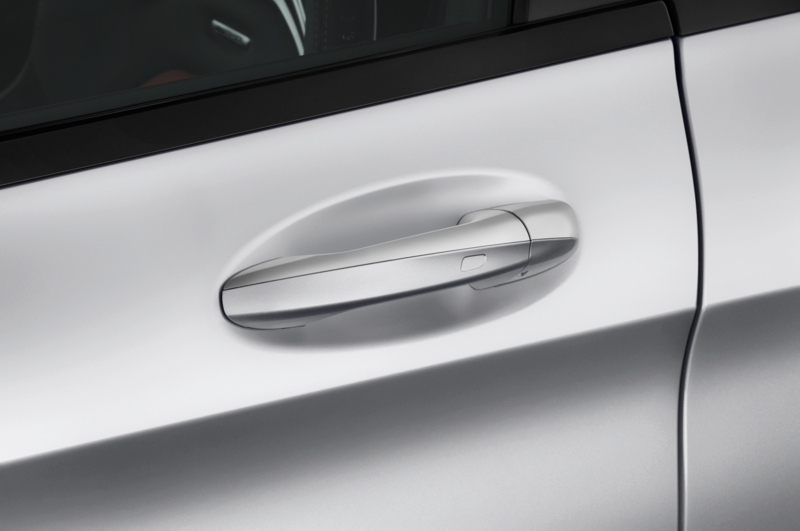 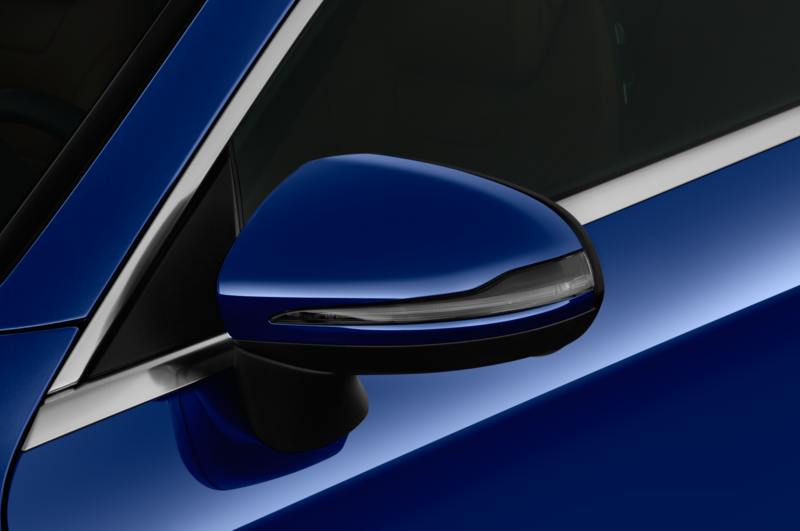 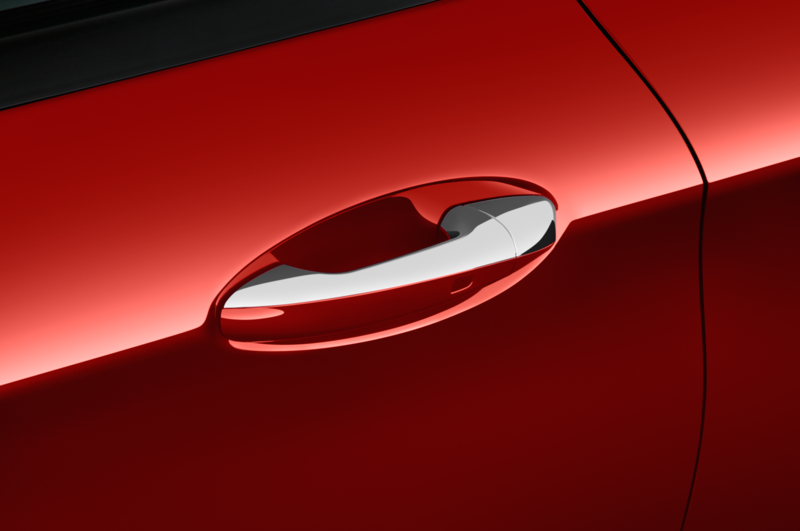 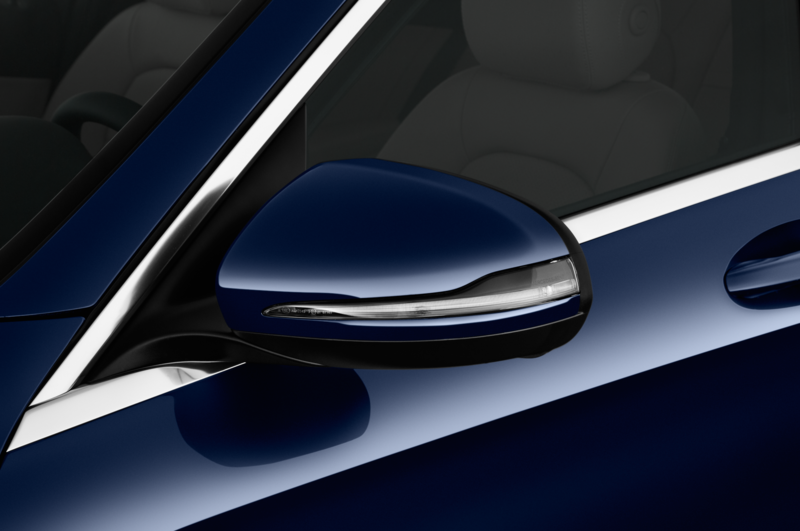 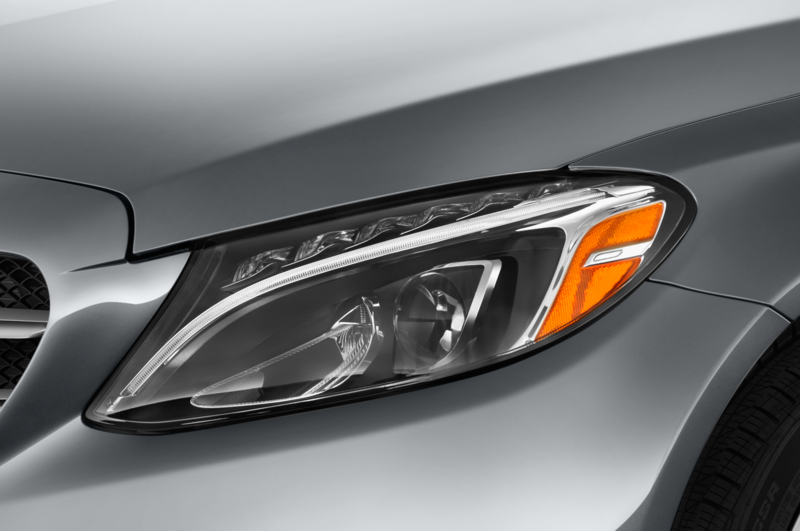 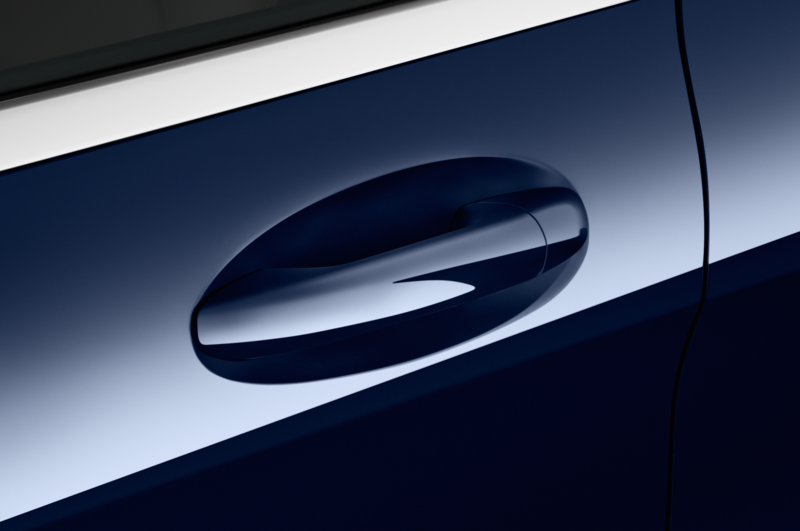 It’s beyond easy to render anything behind to a spec in the rear-view at the flex of your right foot. 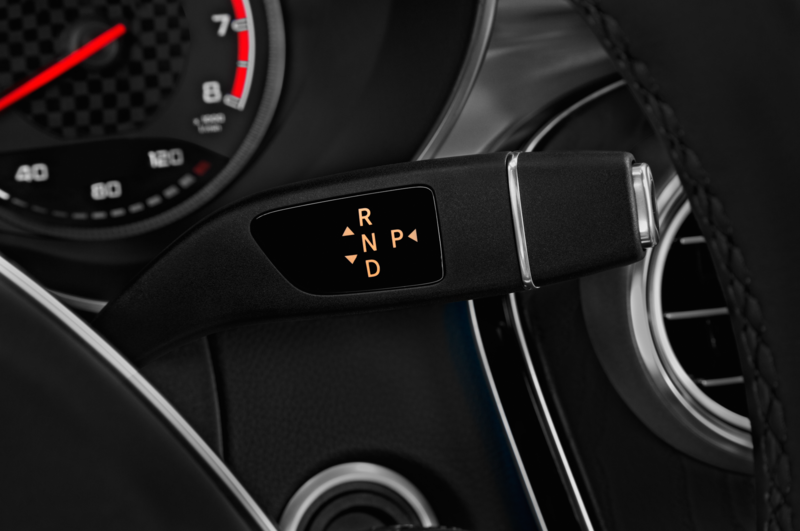 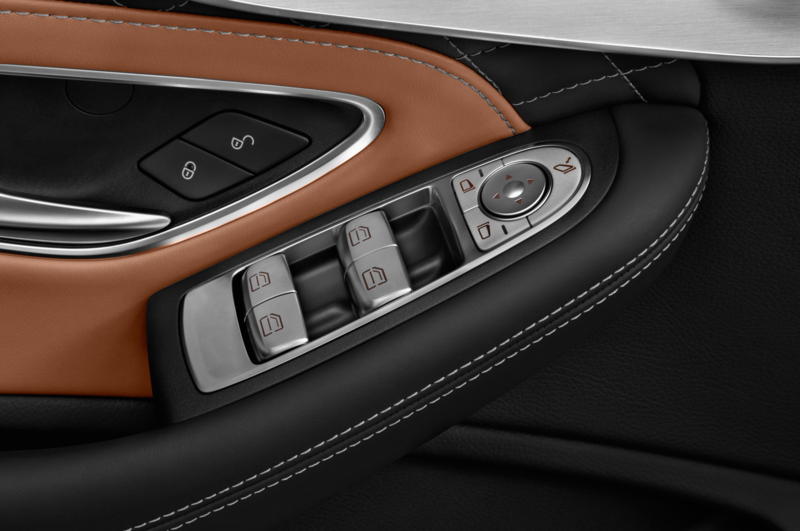 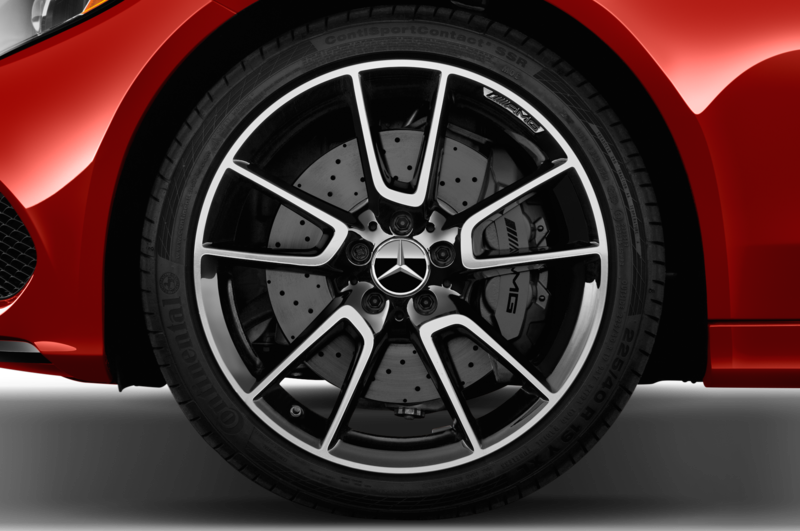 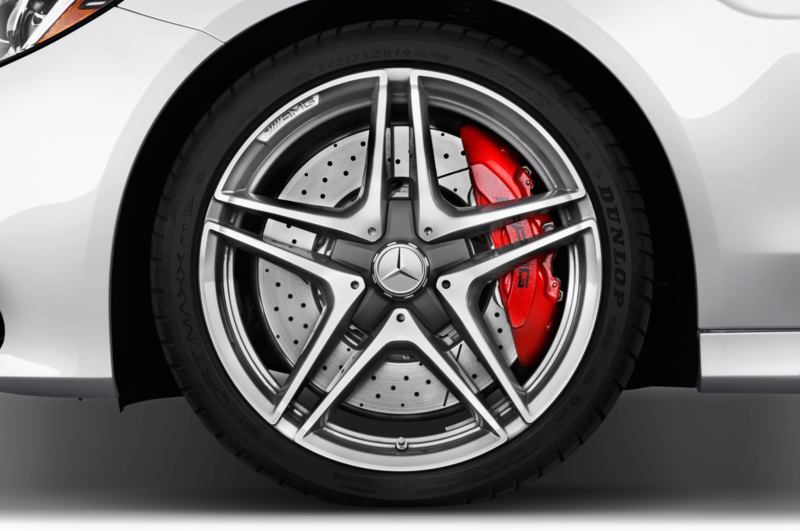 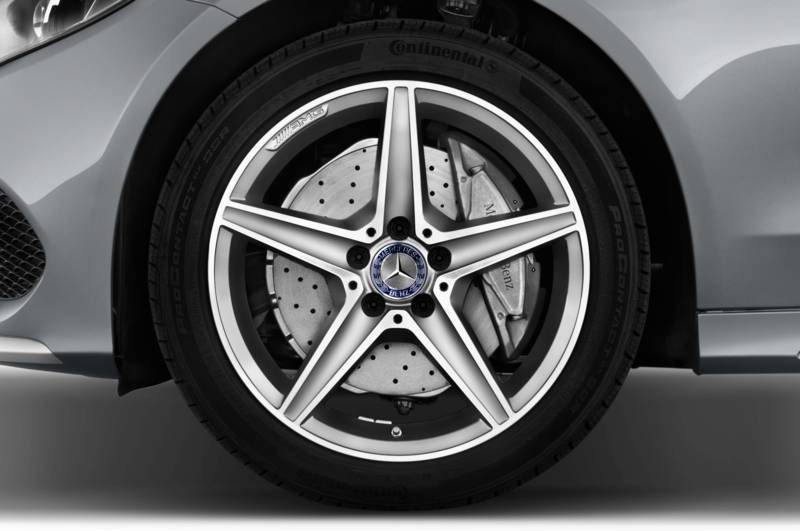 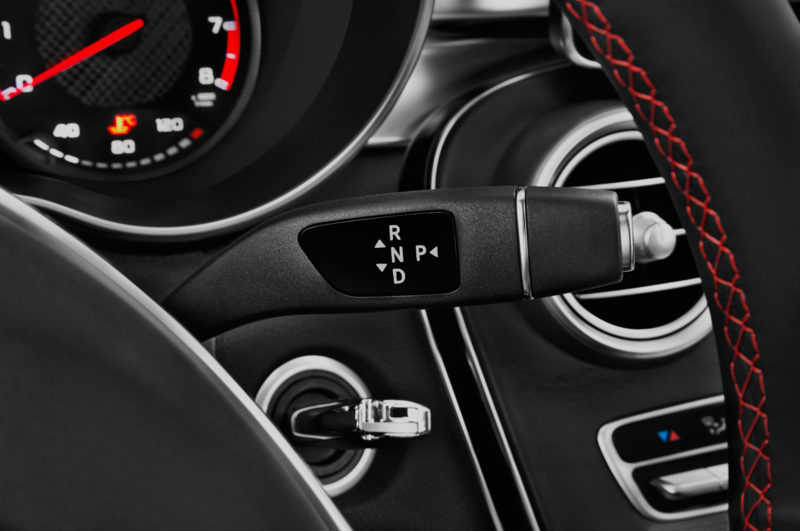 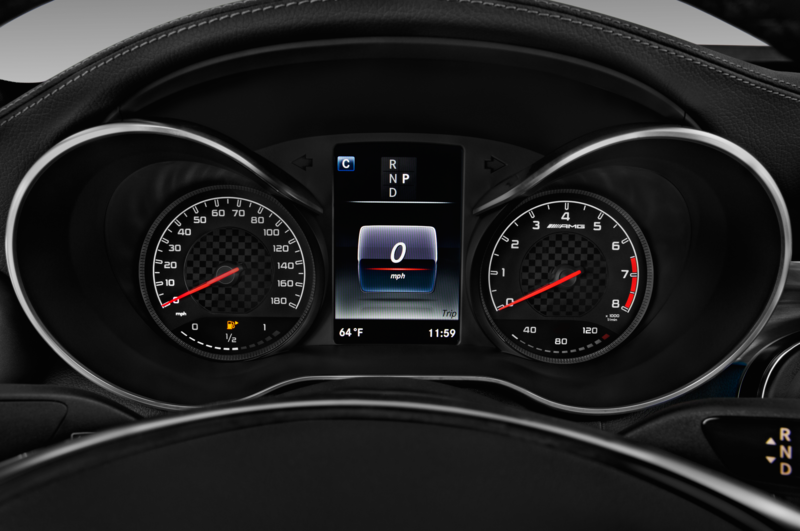 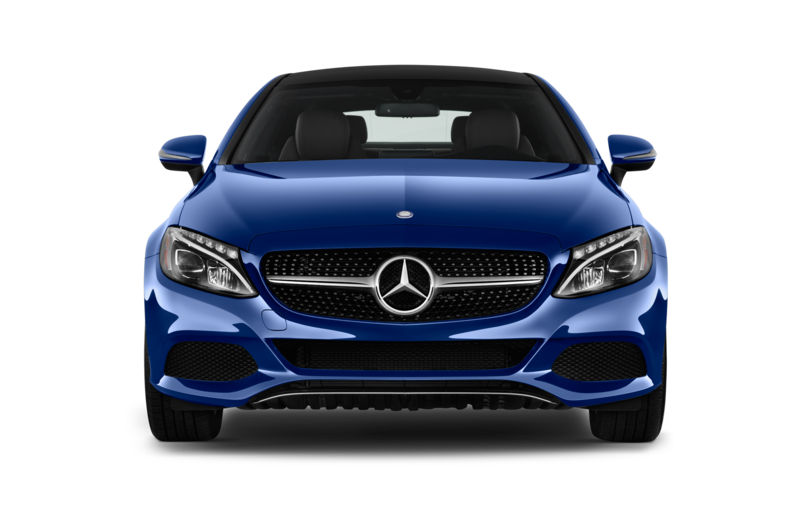 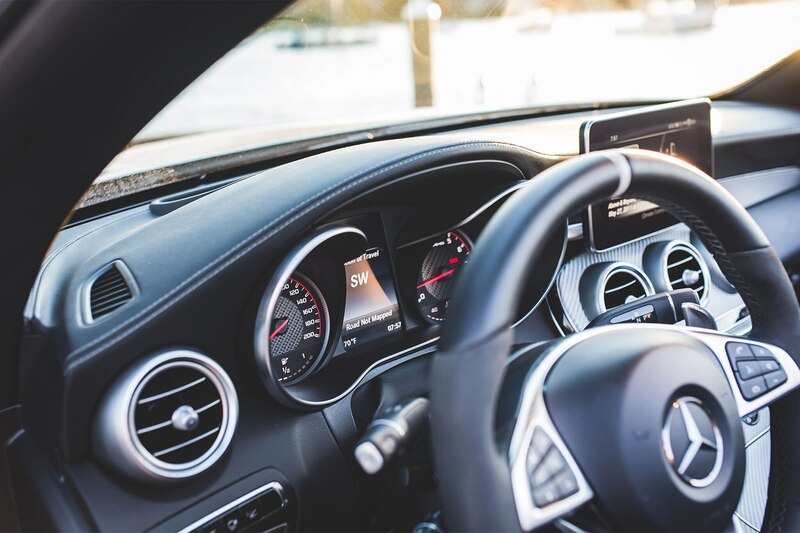 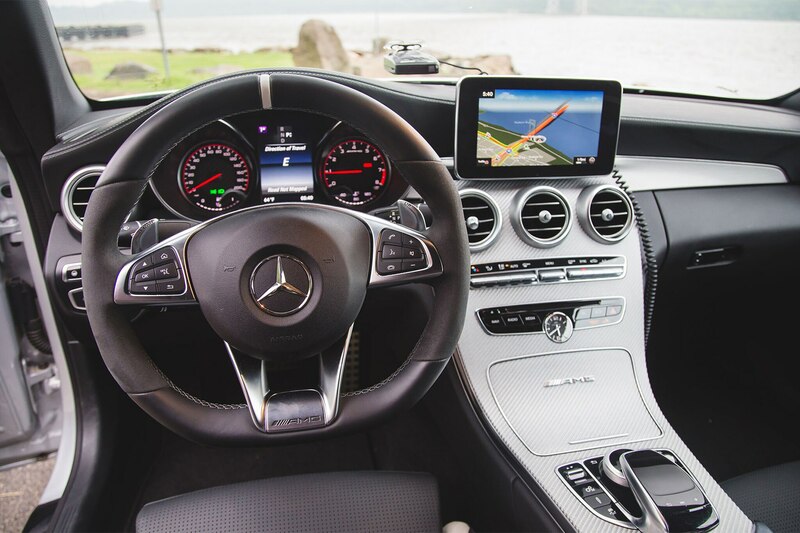 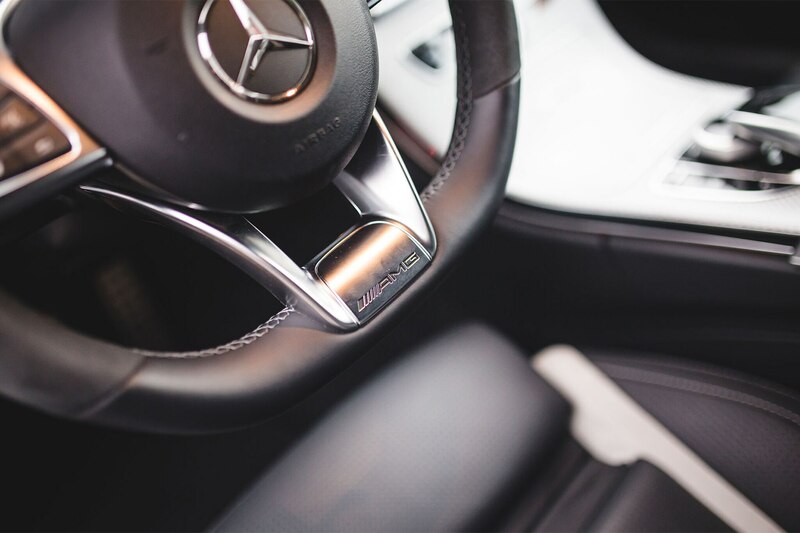 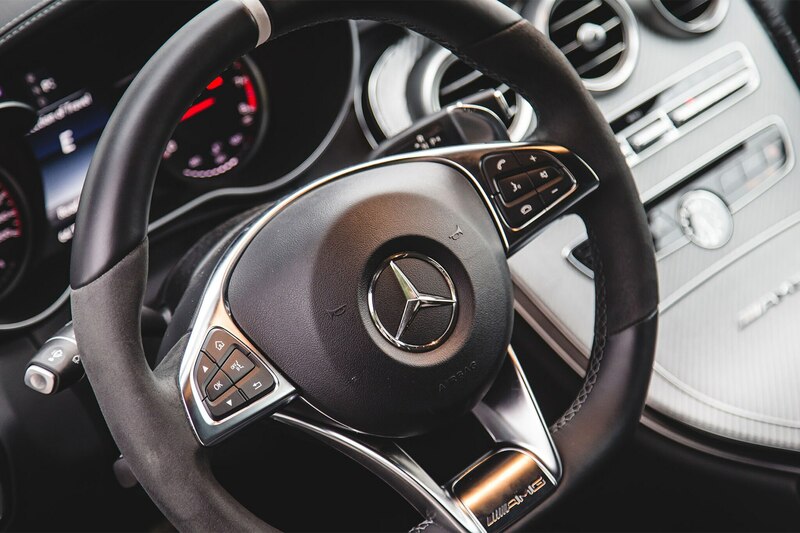 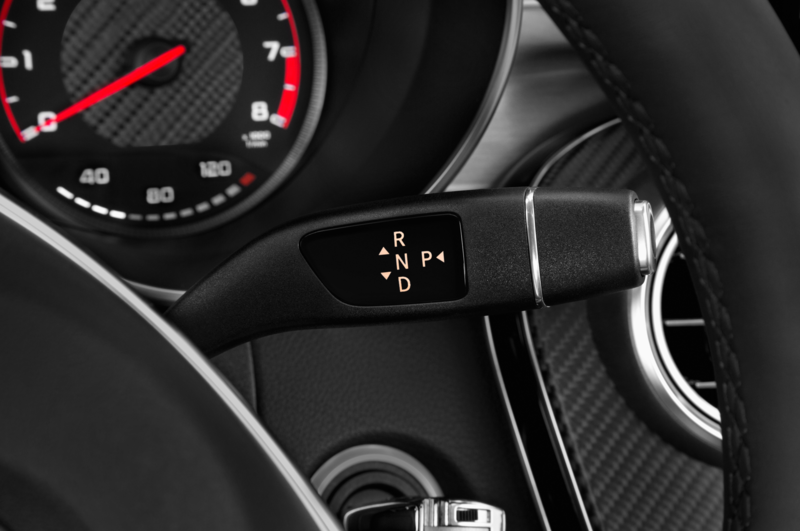 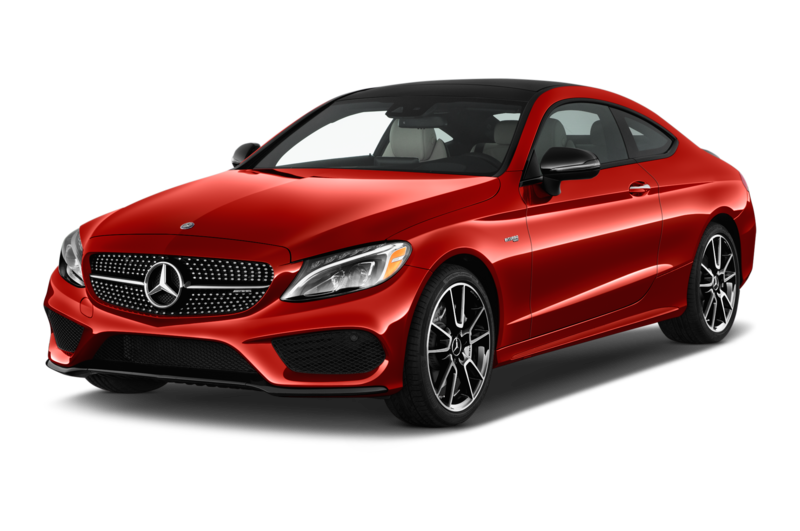 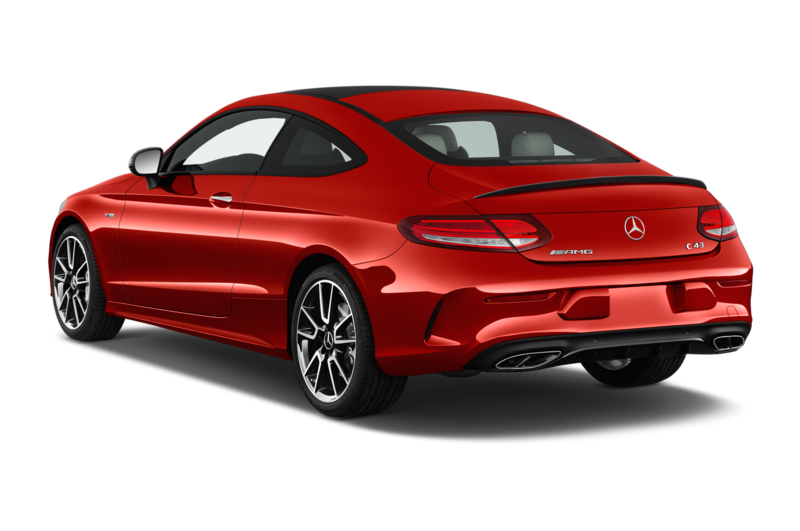 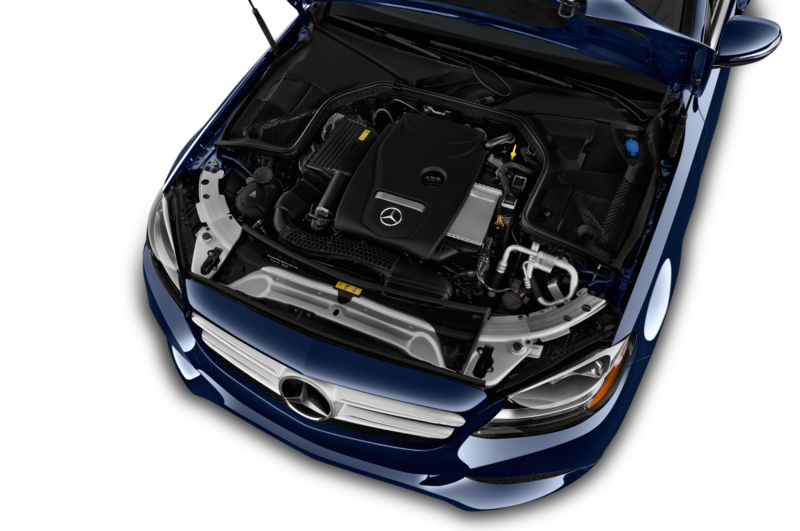 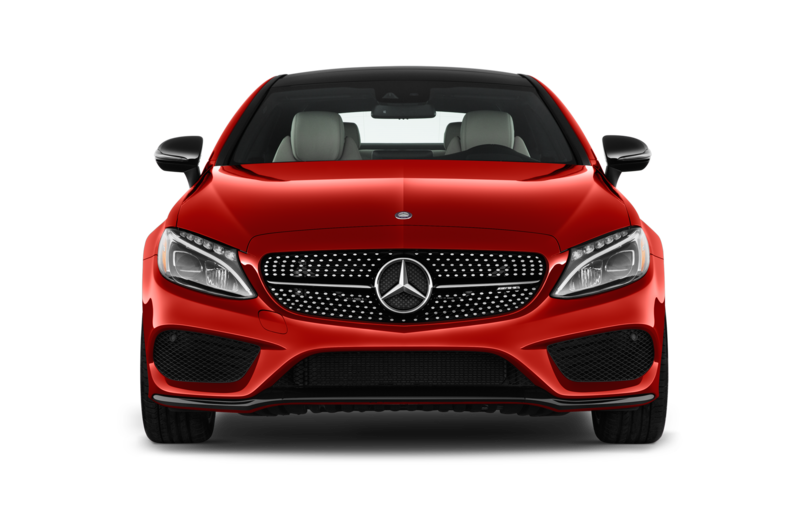 The seven-speed dual-clutch AMG SPEEDSHIFT cog swapper delivers beautifully throttle-matched downshifts with control at your disposal via the steering wheel-mounted paddle shifters. 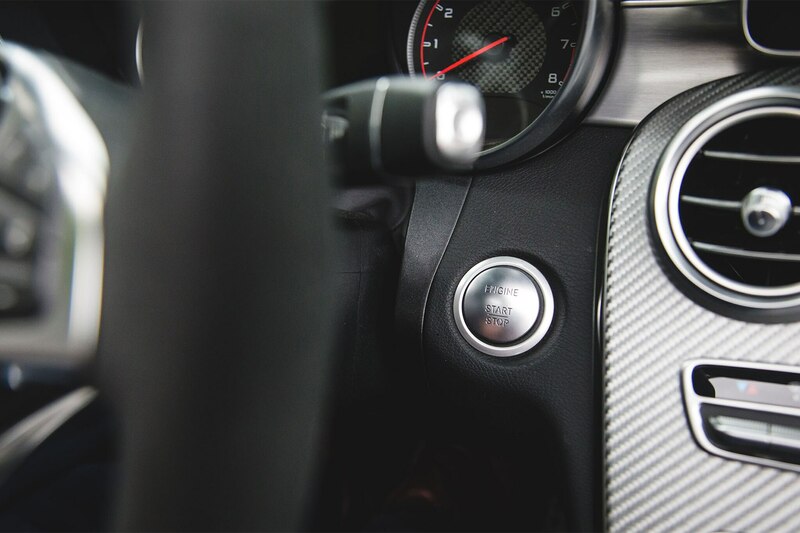 Although a bit jerky around town, the box provides perfect upshifts and lightning quick downshifts. 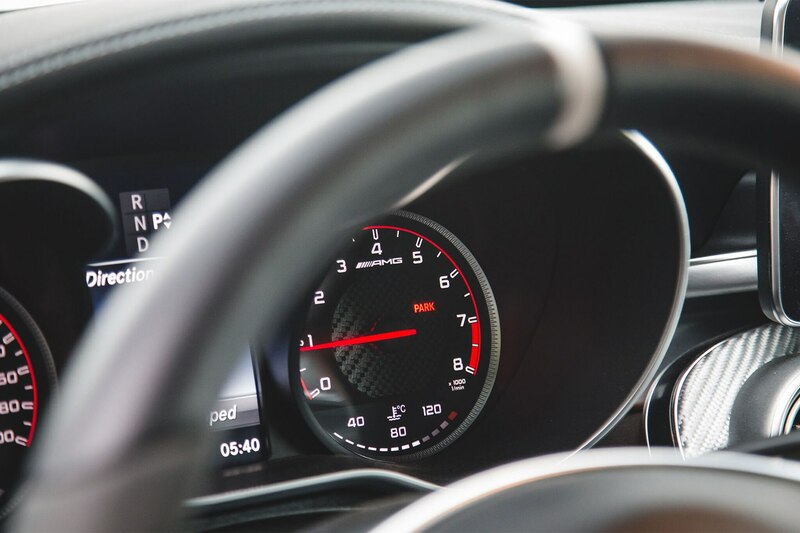 No matter the mode, correlating to the car’s driver selectable profiles (Comfort, Sport, Sport+, Race, Individual), the V8’s powerband will always be there to burn as many hydrocarbons at you desire. 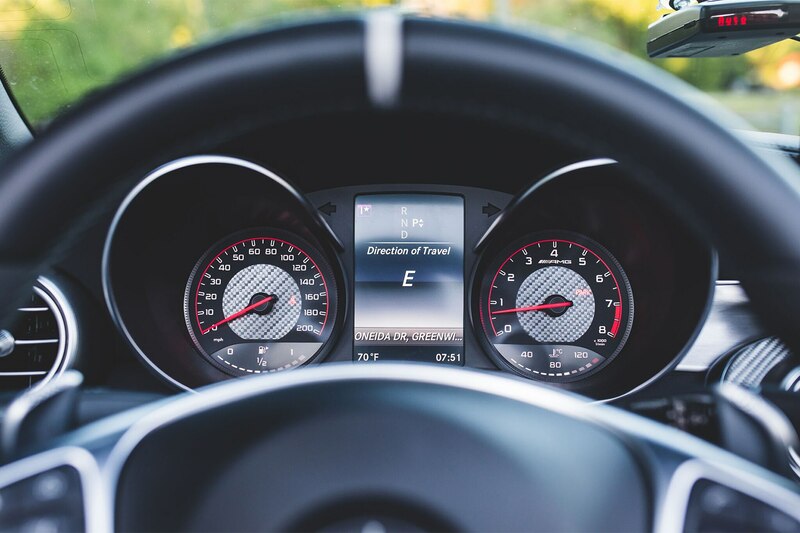 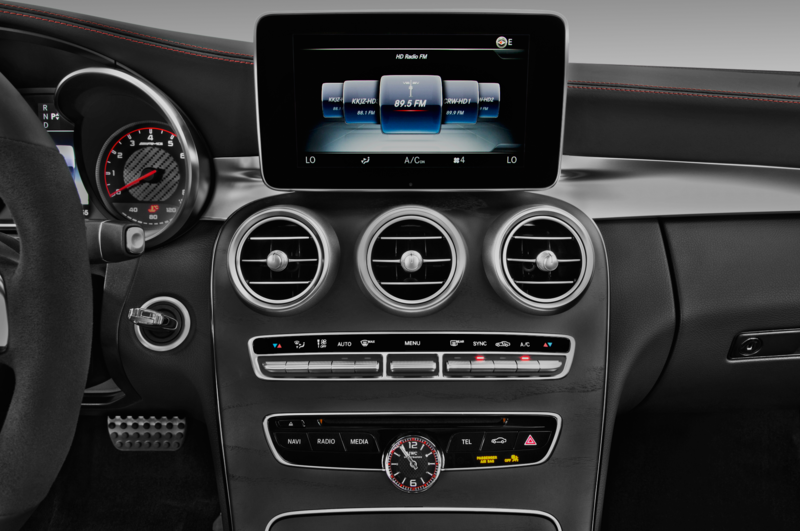 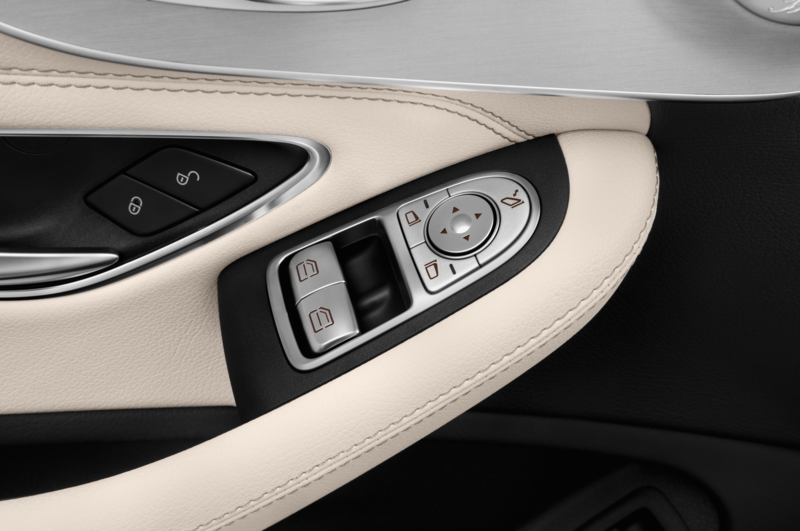 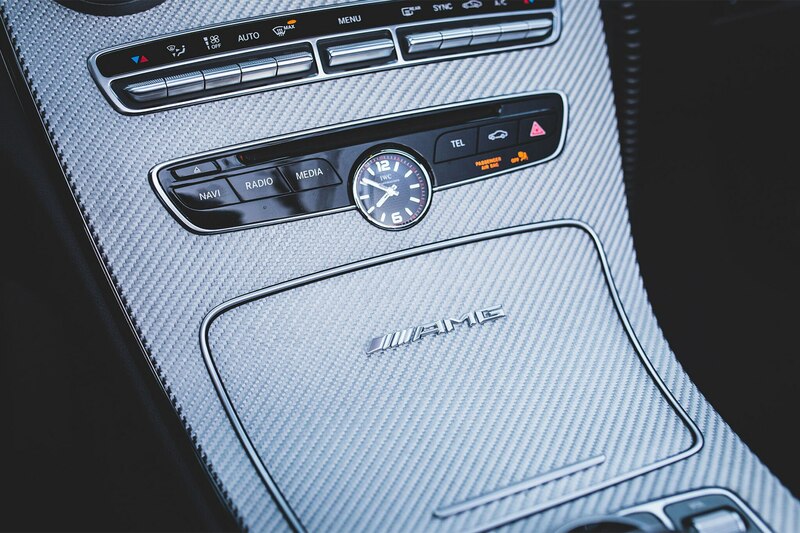 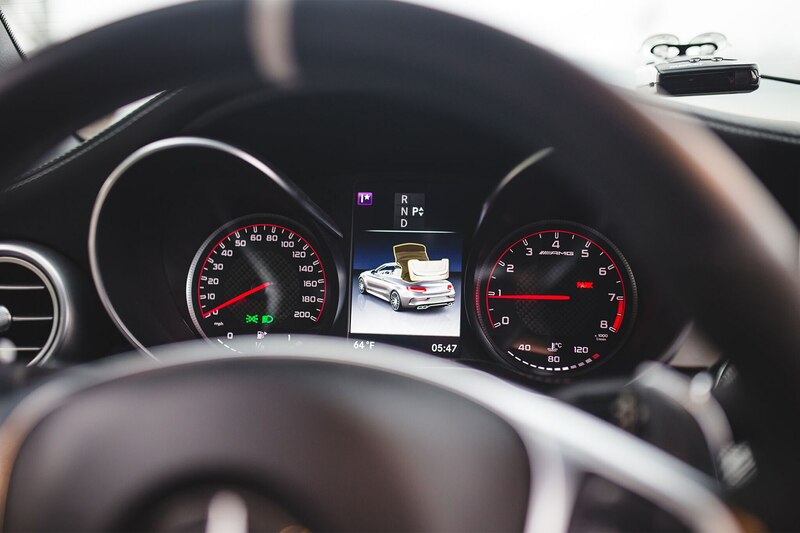 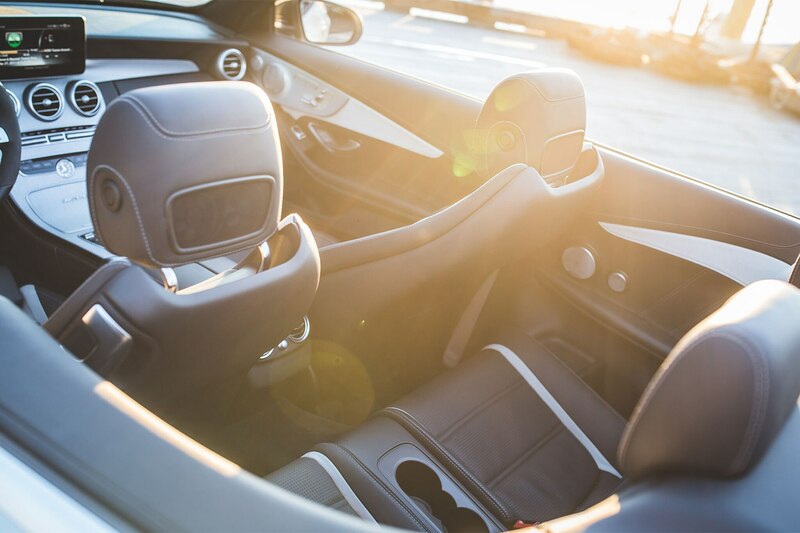 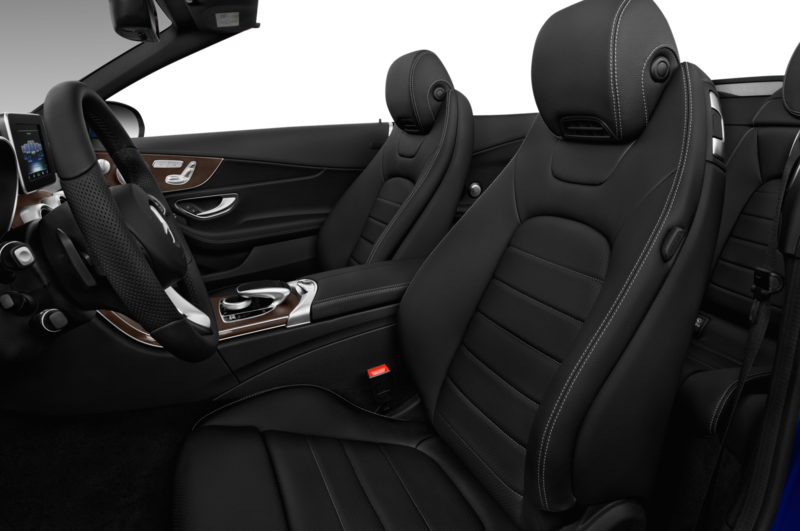 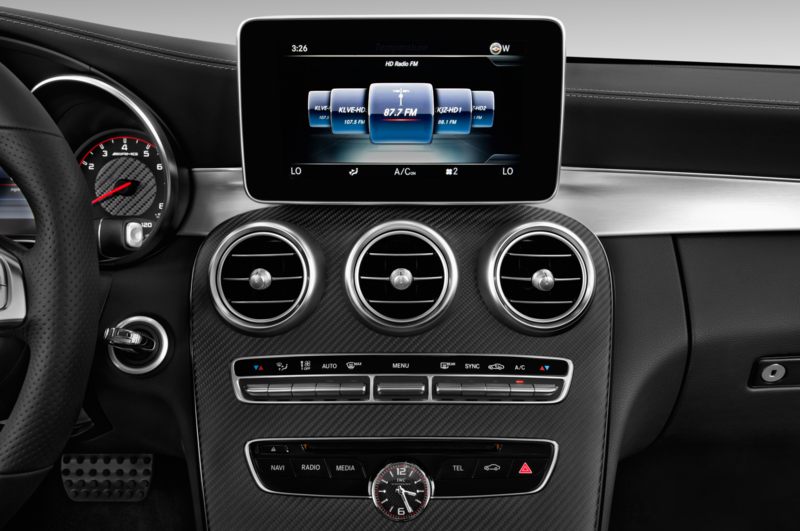 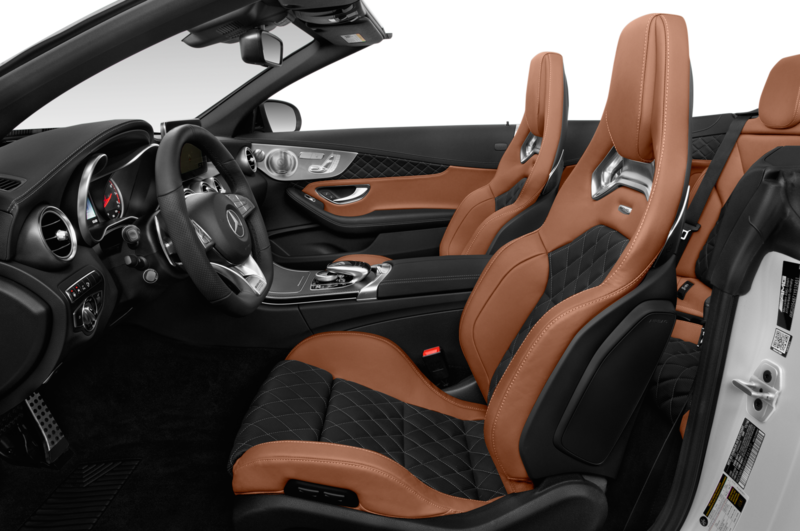 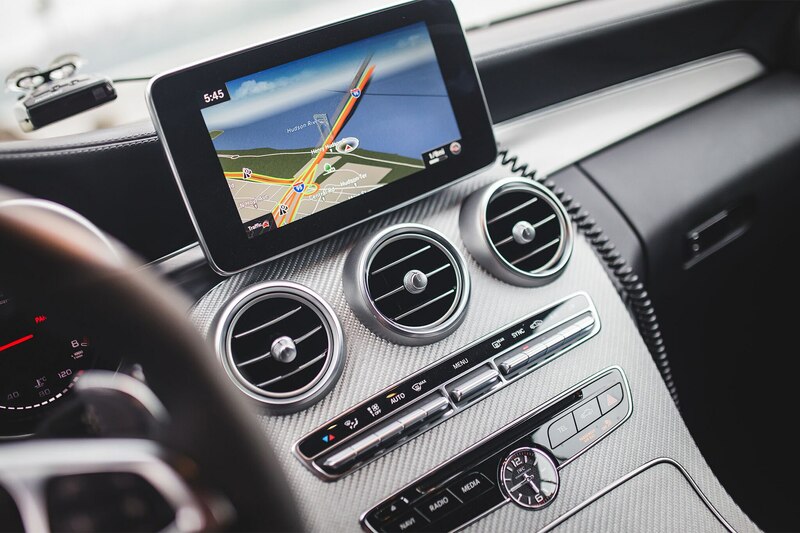 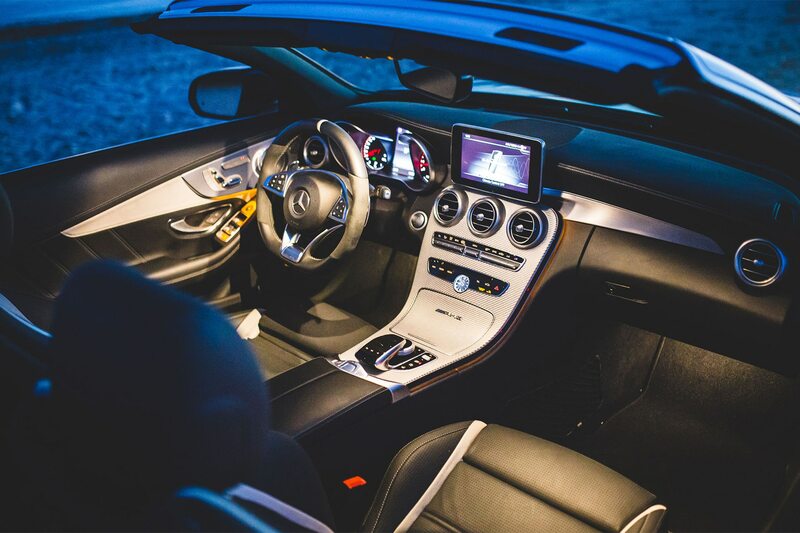 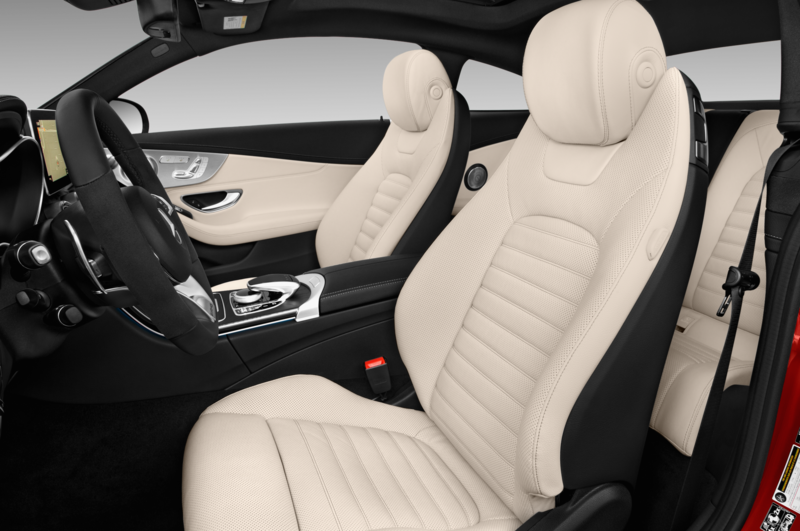 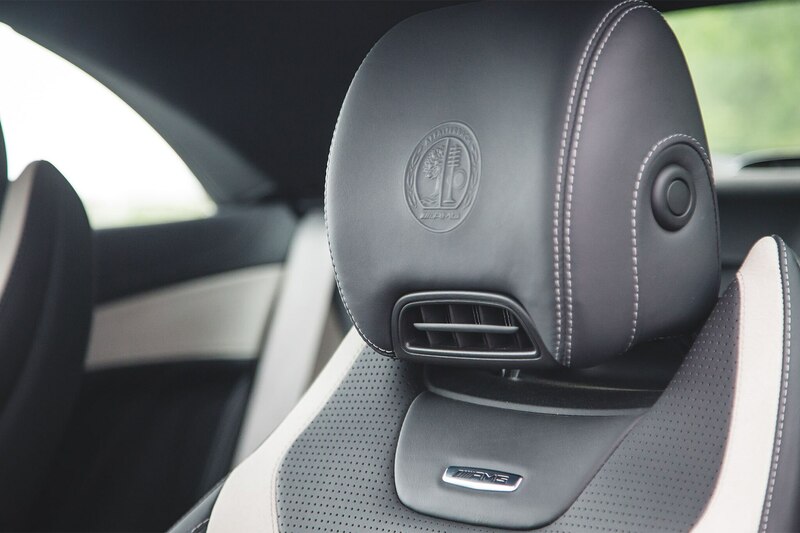 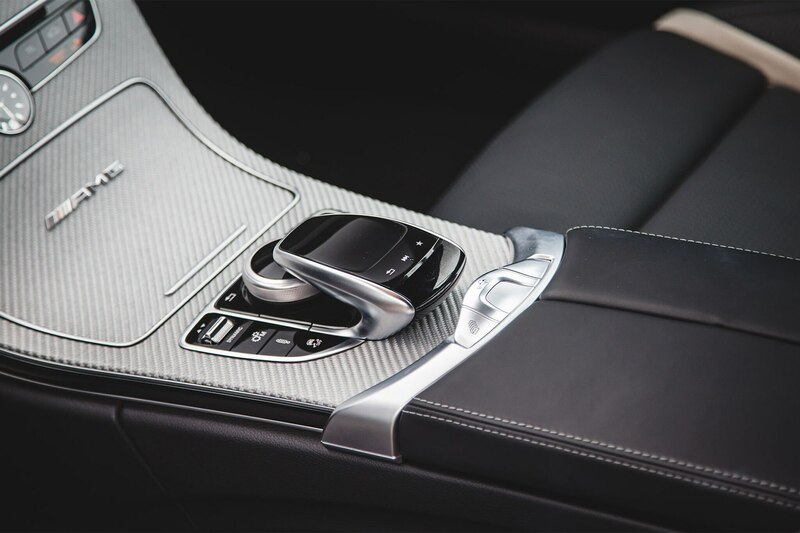 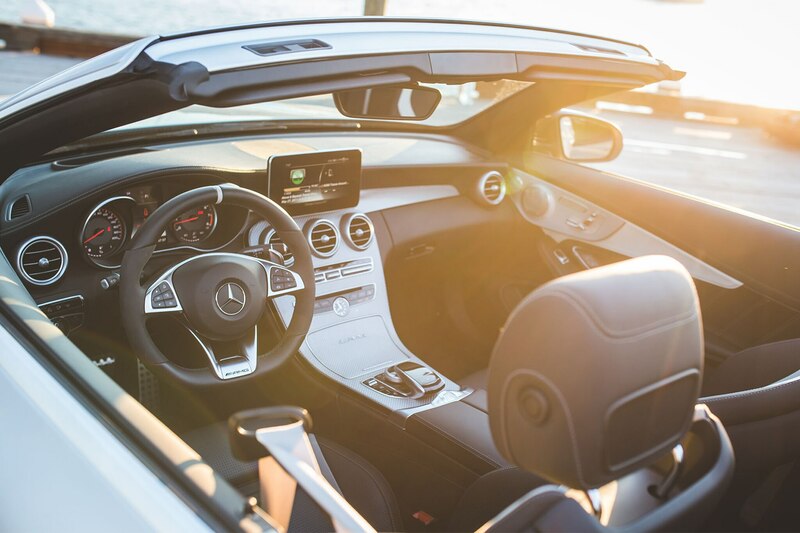 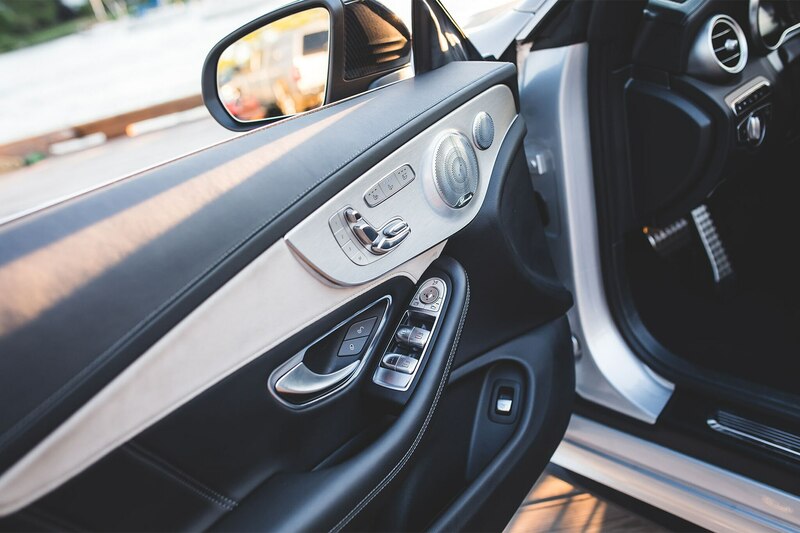 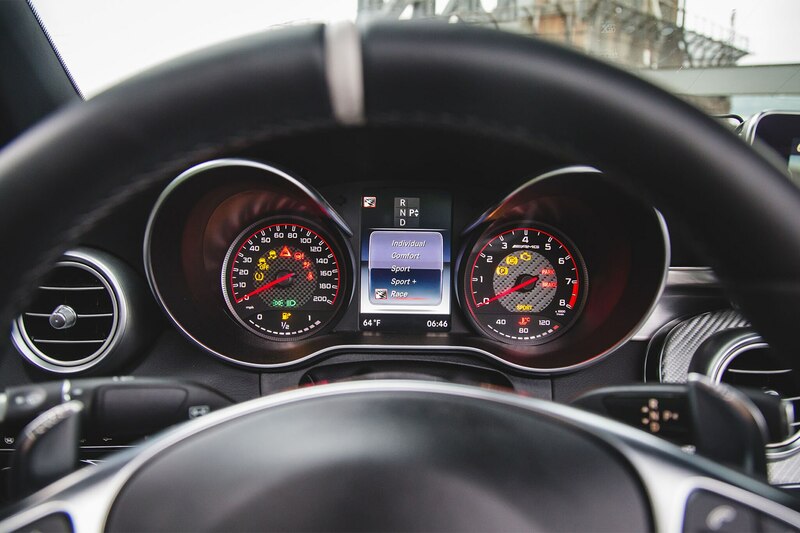 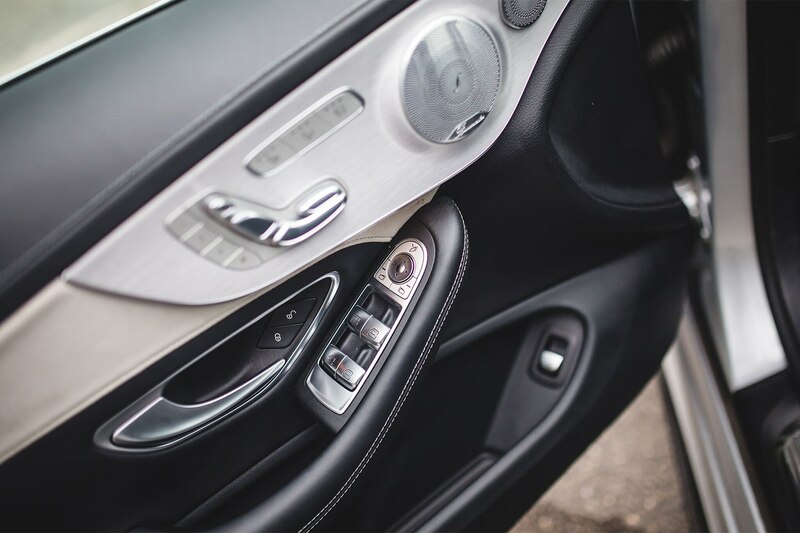 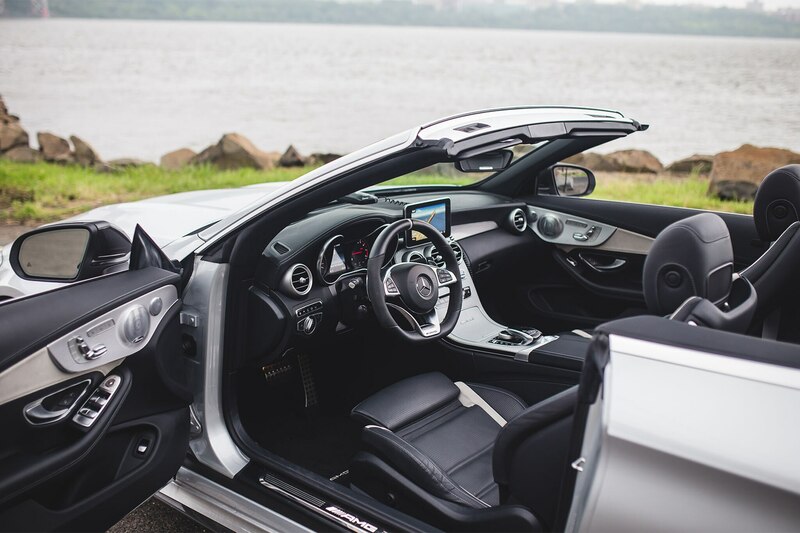 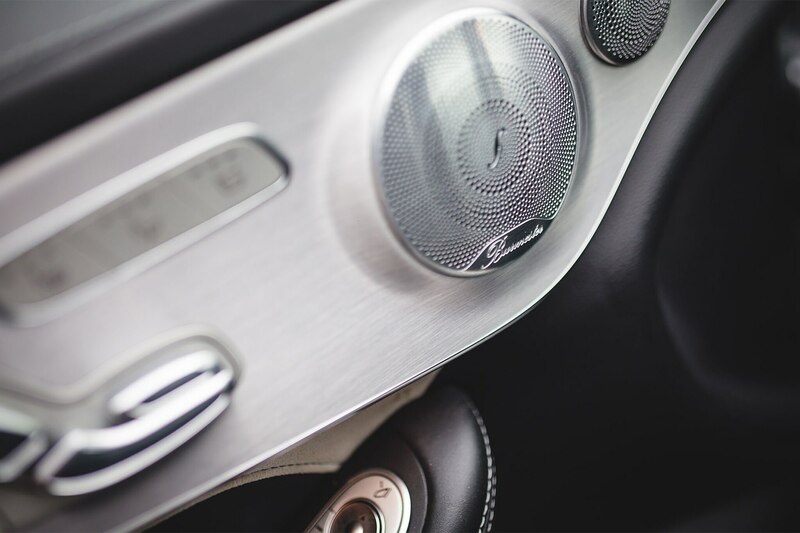 Comfort relaxes the car to its most sedate state, putting the AMG Ride Control at its softest setting, exhaust at its quietest, and the throttle at its laziest. 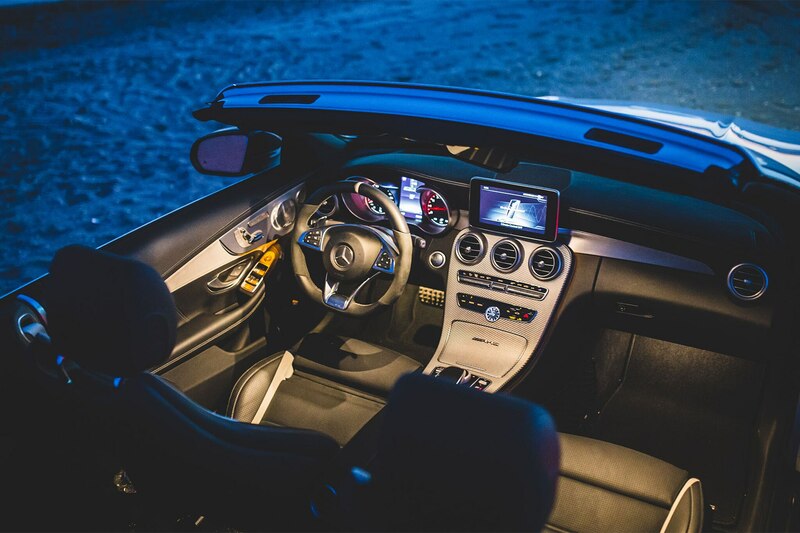 The power is still there if you need it, but in a hushed way. 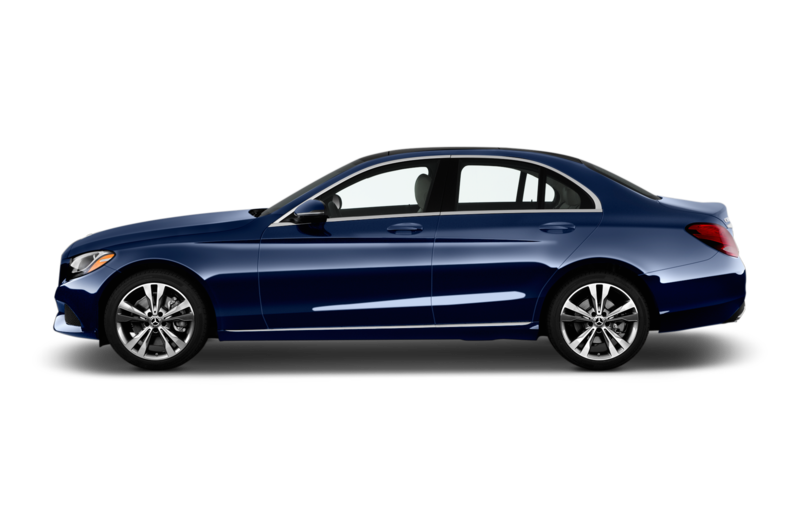 The ride also does a superb job at ironing out most of the road’s imperfections without sacrificing feel. 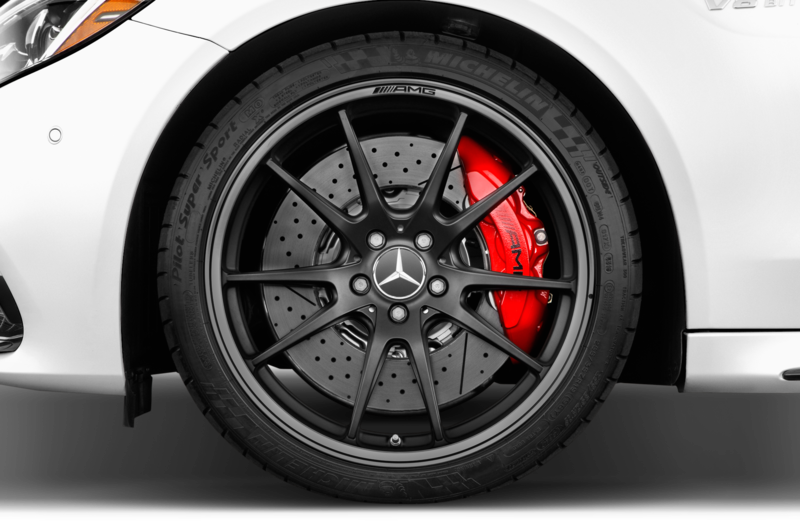 Engaging Sport or Sport+ stiffens the suspension, quickens the gear changes and holds them longer, loudens the exhaust, and hastens the go-pedal. 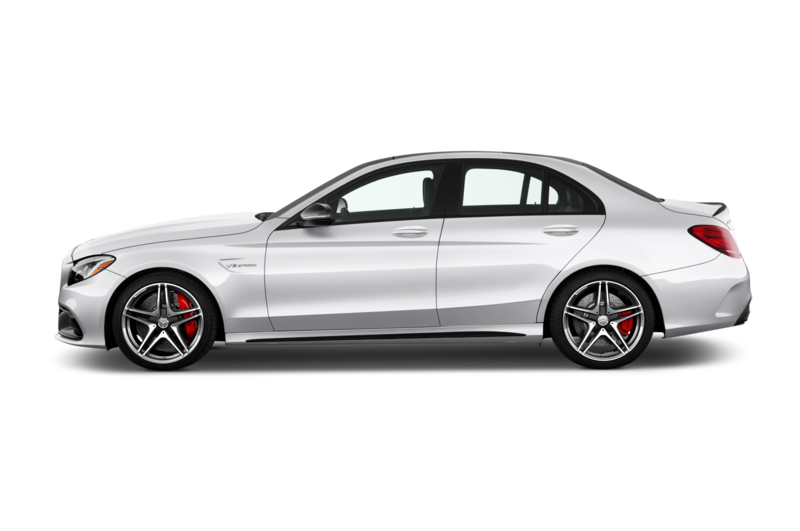 Put it in Race mode and the C63 S goes full-on Messerschmitt. 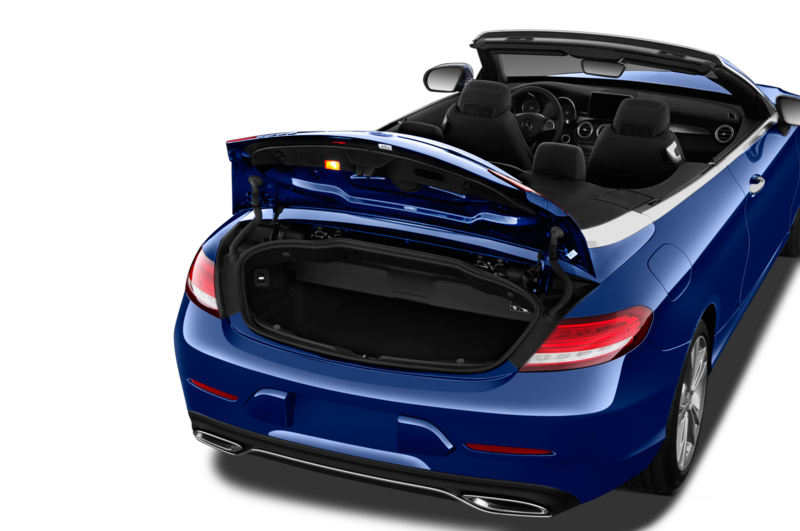 The engine cracks and burbles on the overrun as it revs down, and bellows under any sort of throttle. 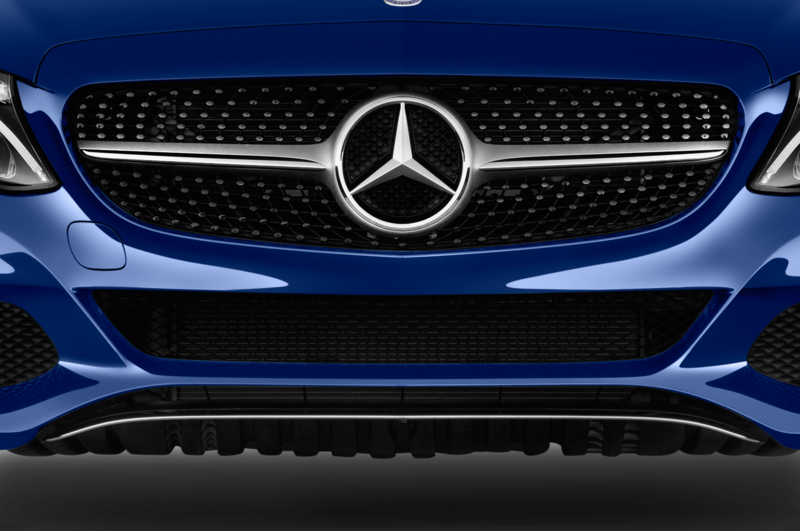 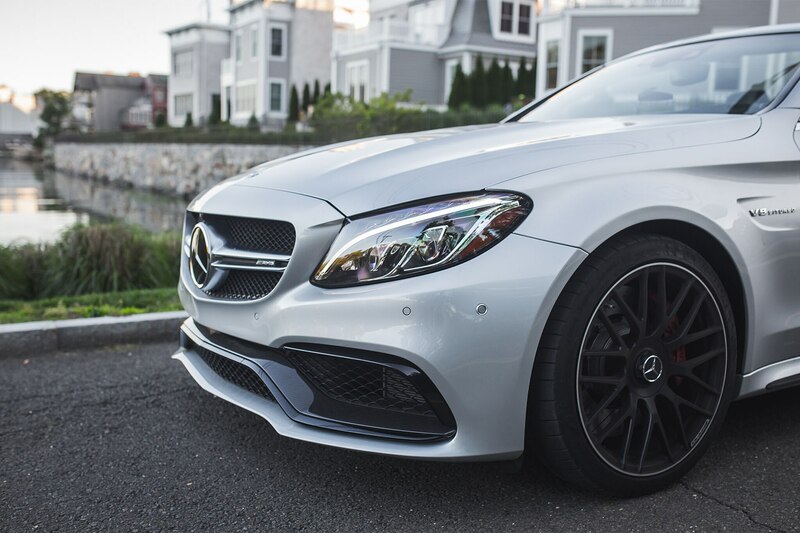 Unlike the Jaguar F-Type’s crackling, high-revving V8 sound, the C63 S beckons with a baritone roar. 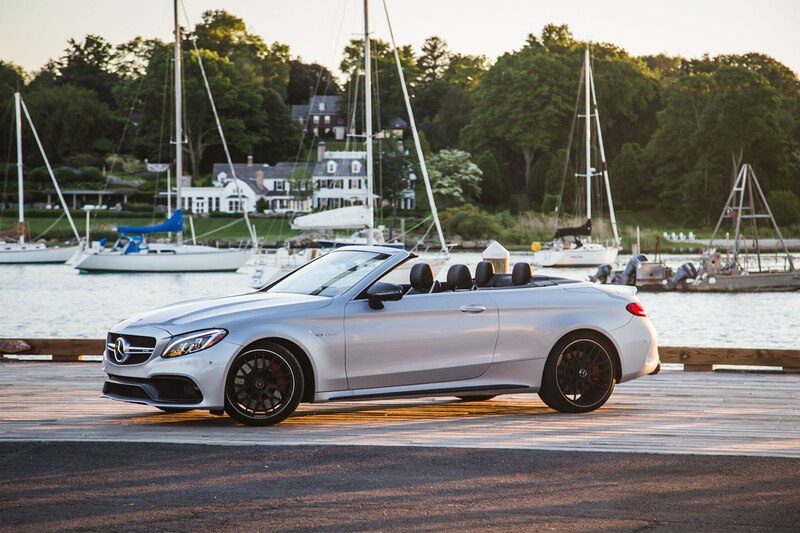 But the C63 S Cabriolet isn’t without issues. 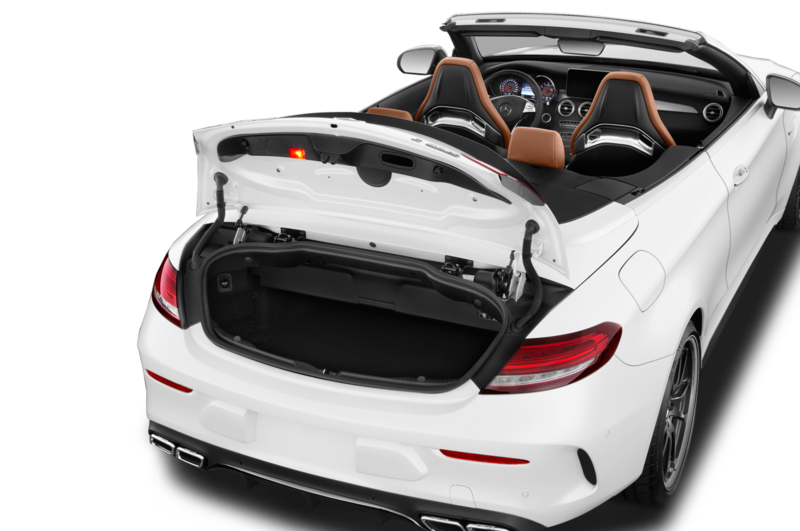 Removing the roof off of any vehicle compromises structural rigidity, requiring engineers to reinforce the chassis. 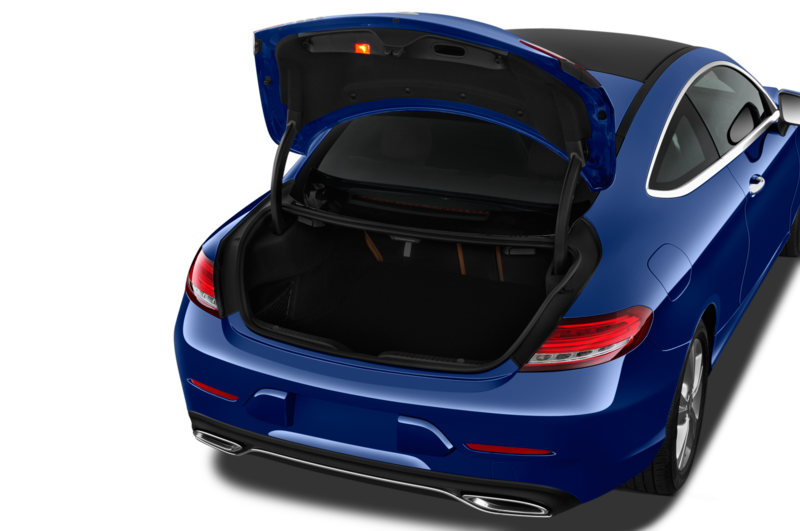 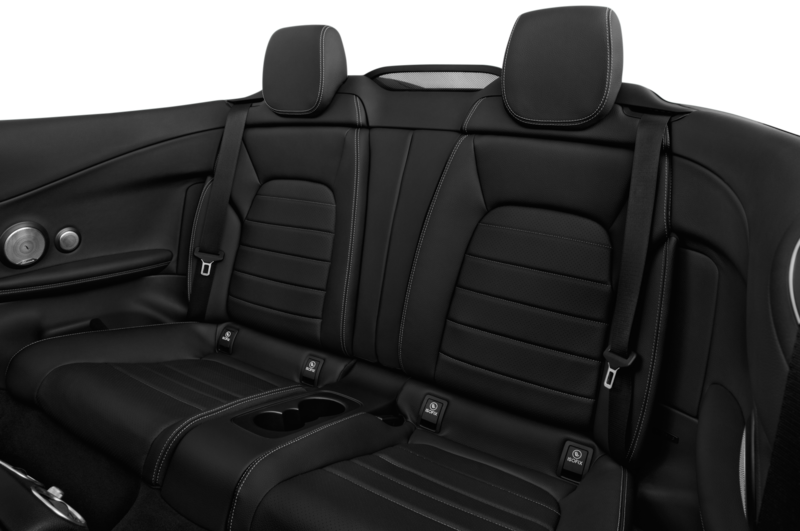 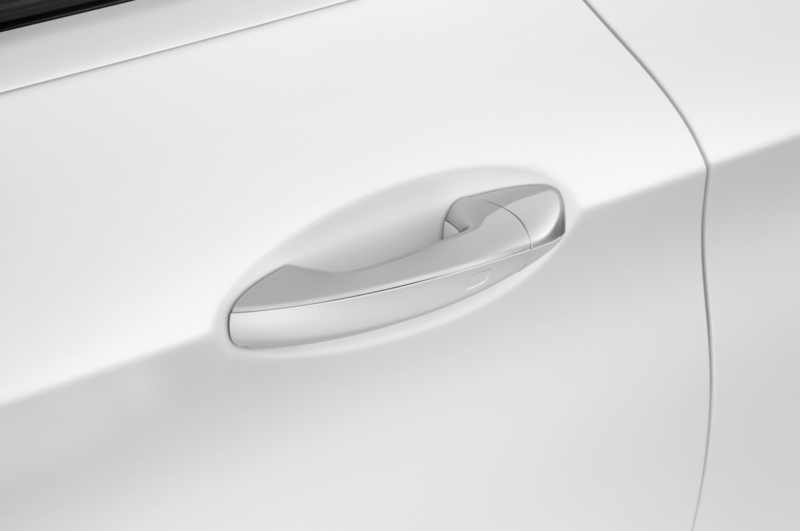 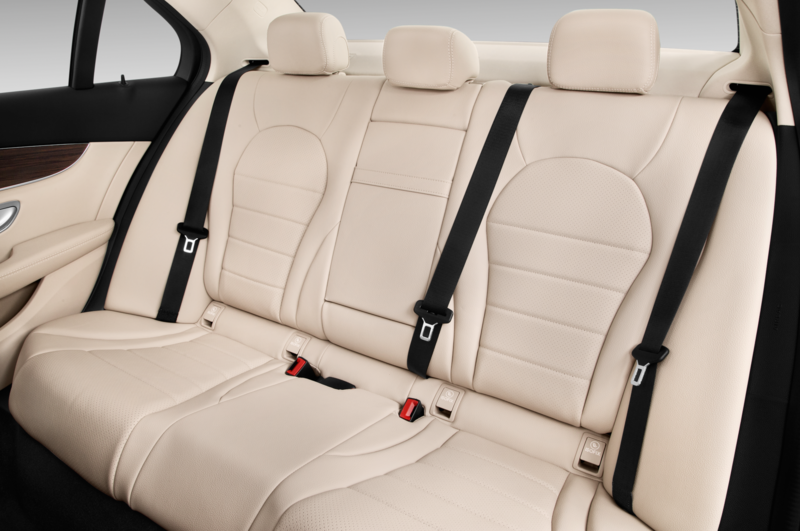 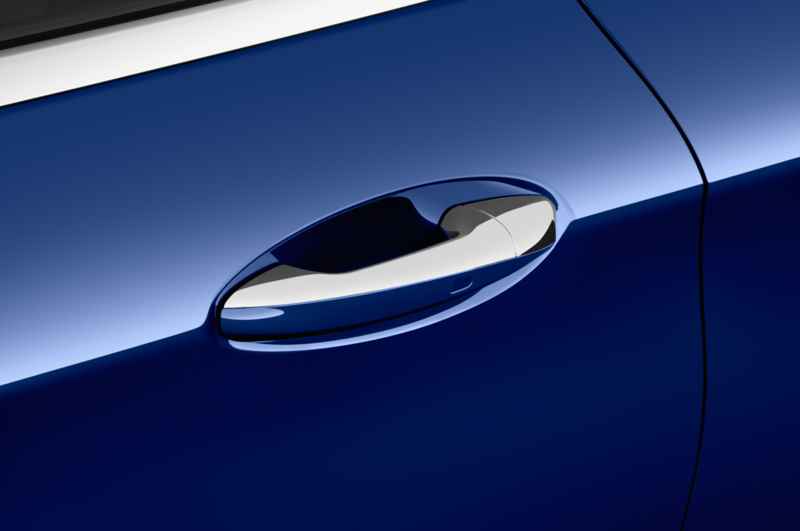 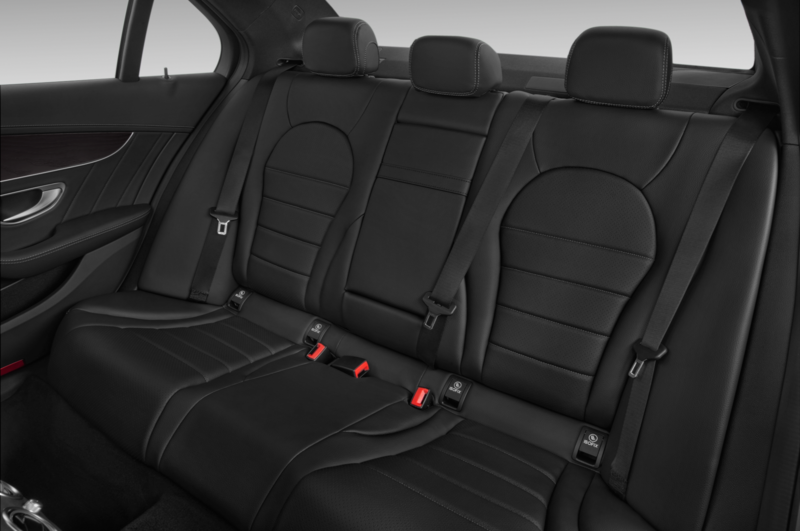 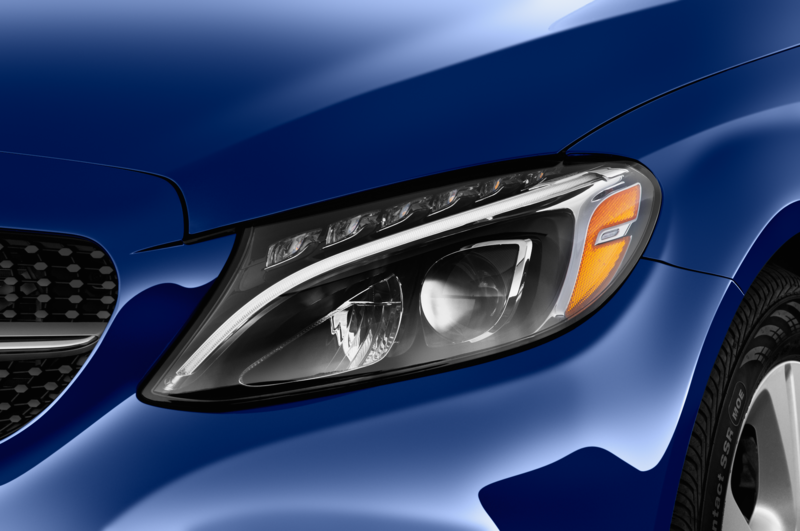 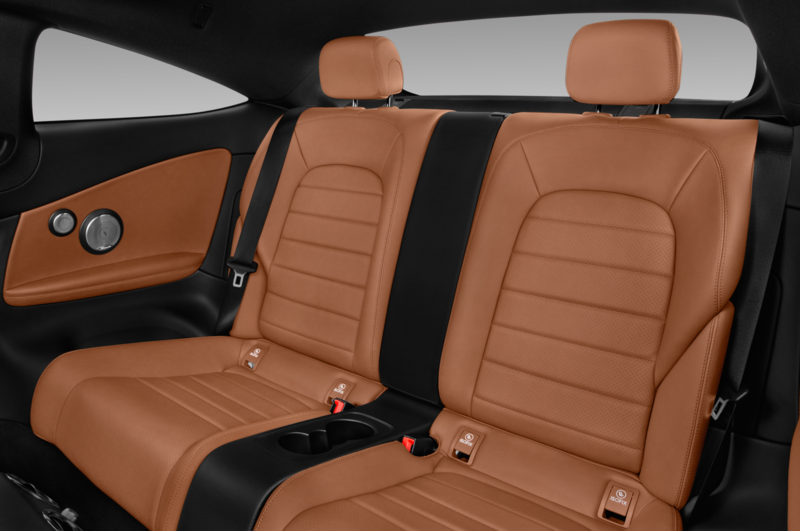 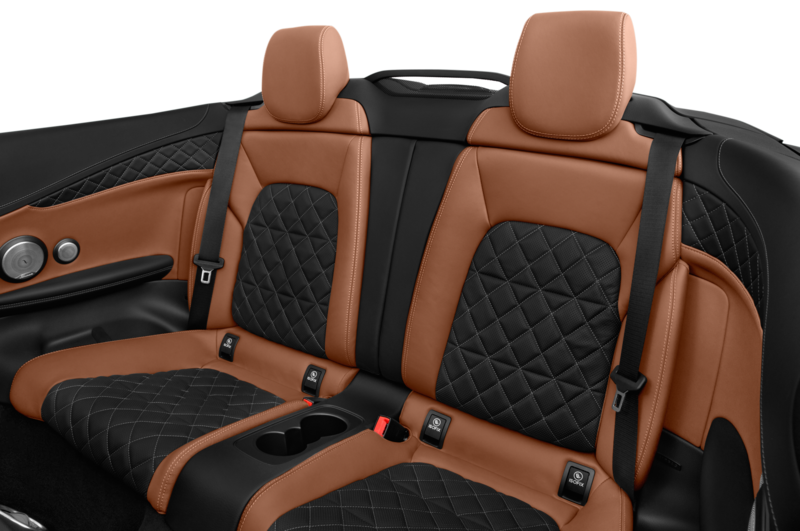 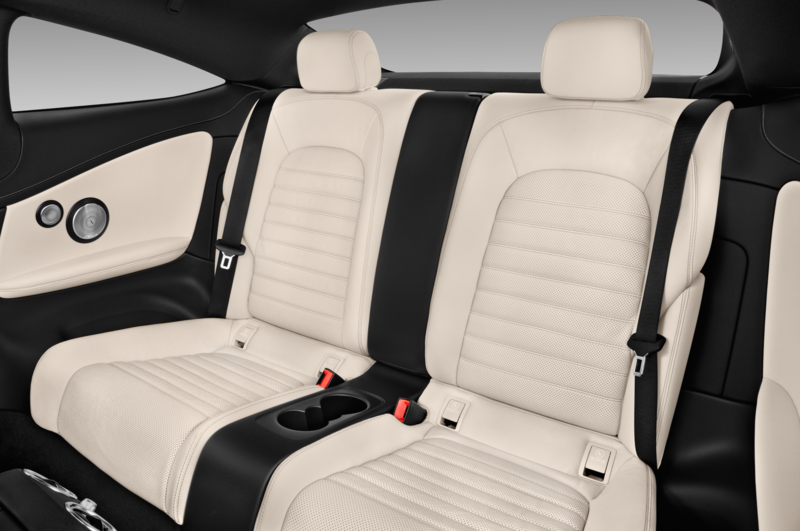 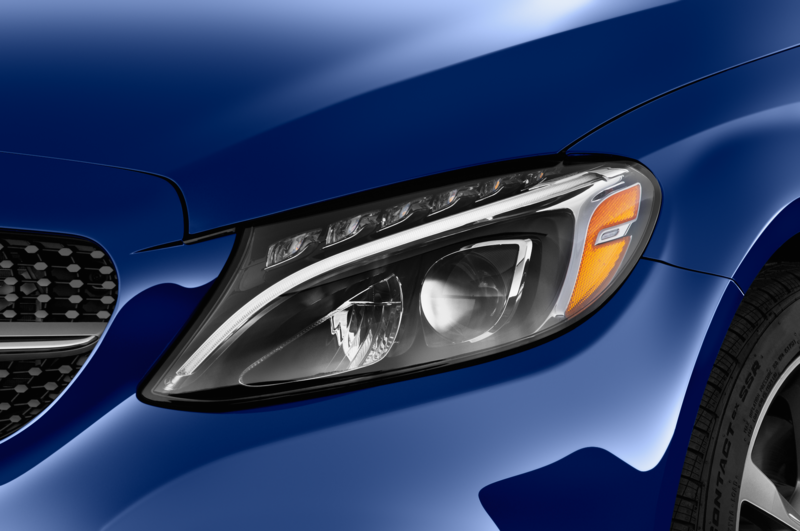 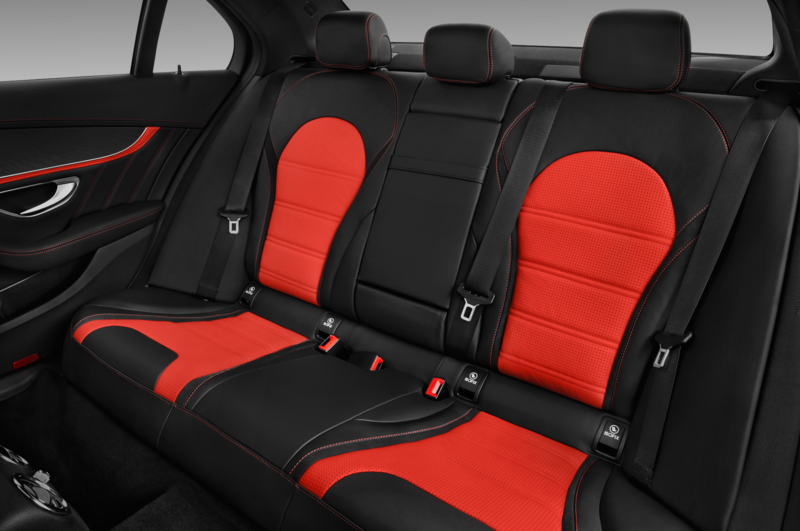 That increases weight, in addition to the added weight of the folding roof mechanism. 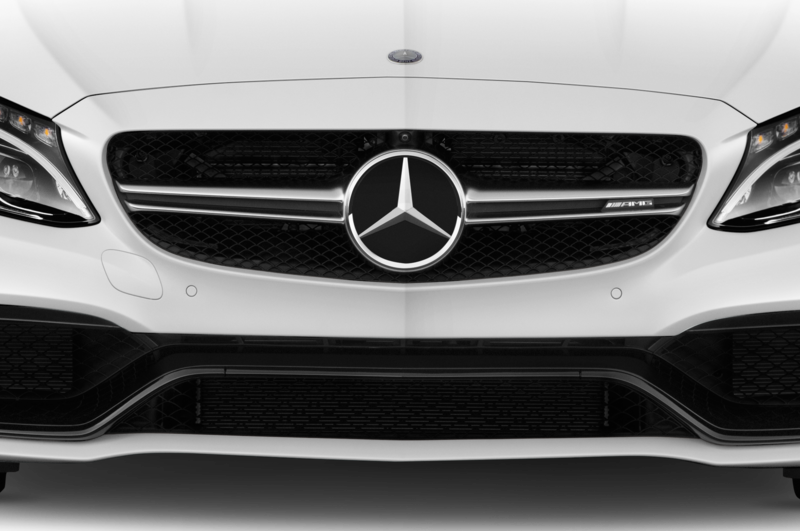 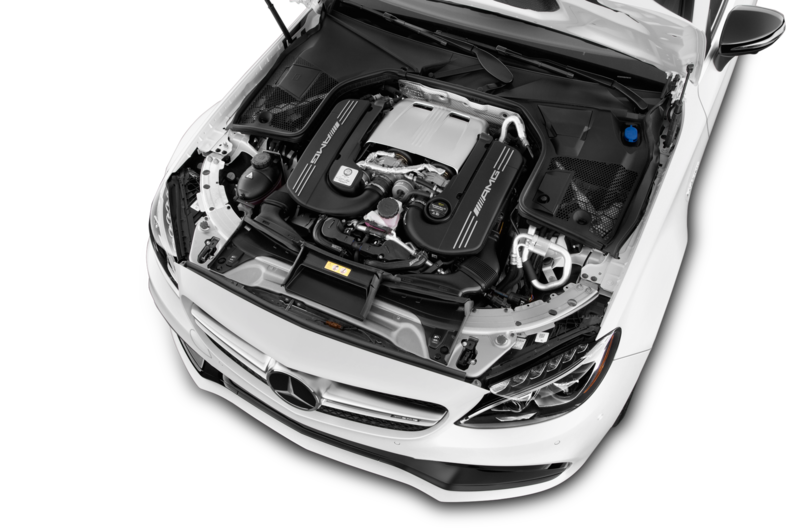 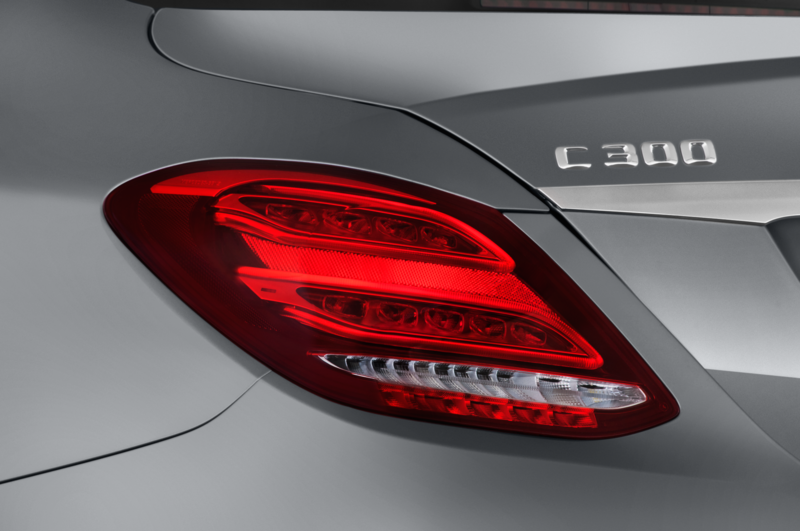 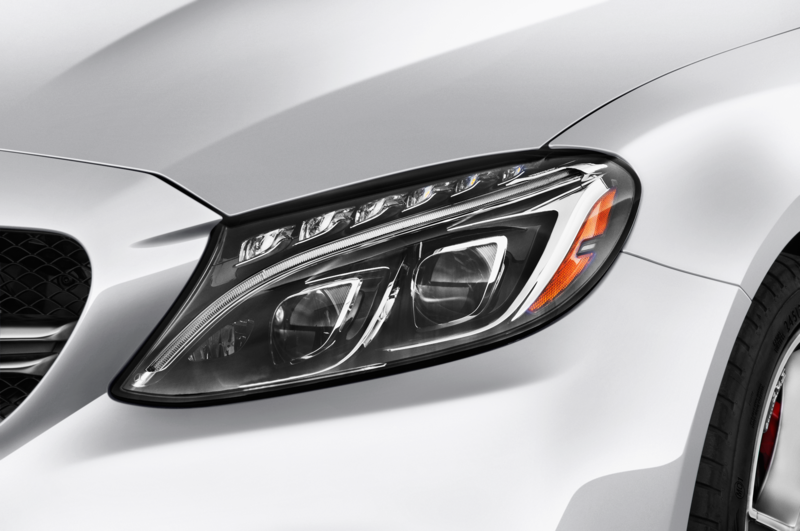 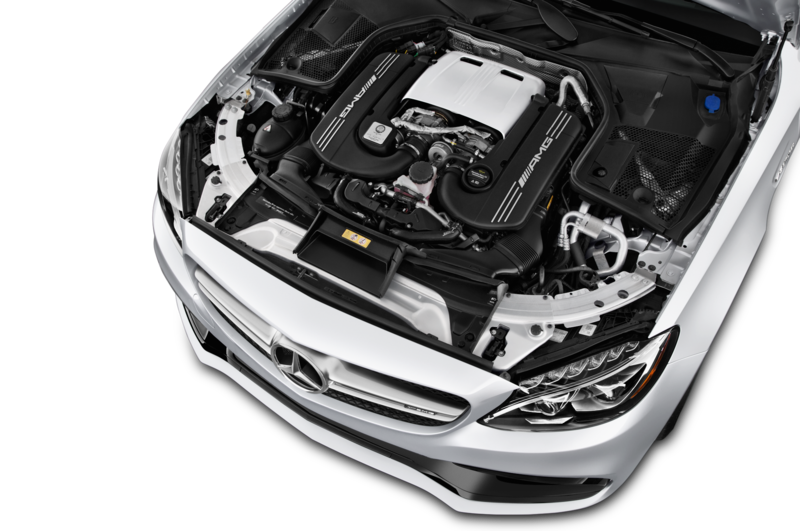 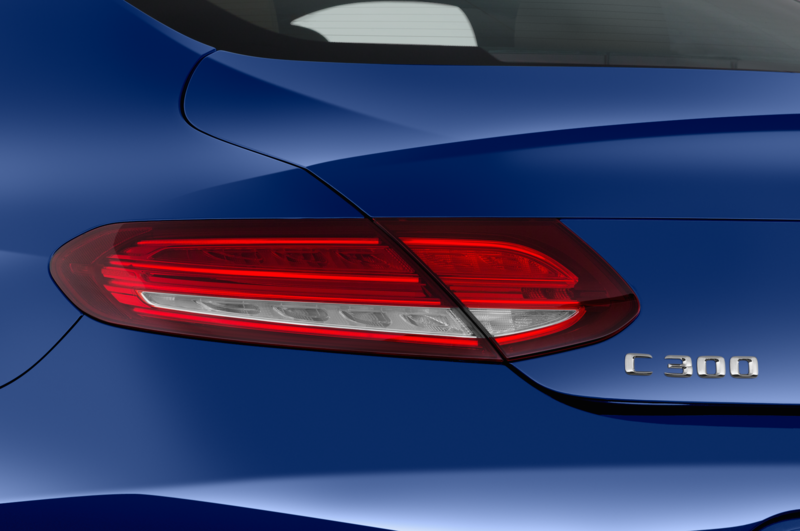 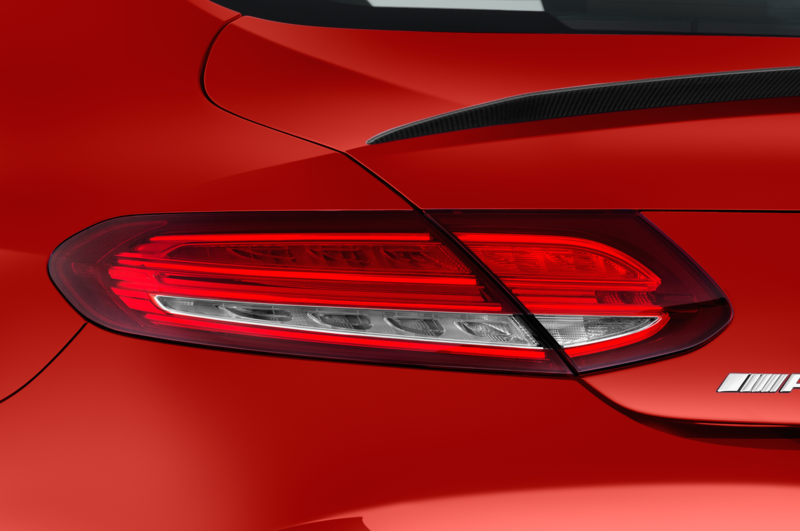 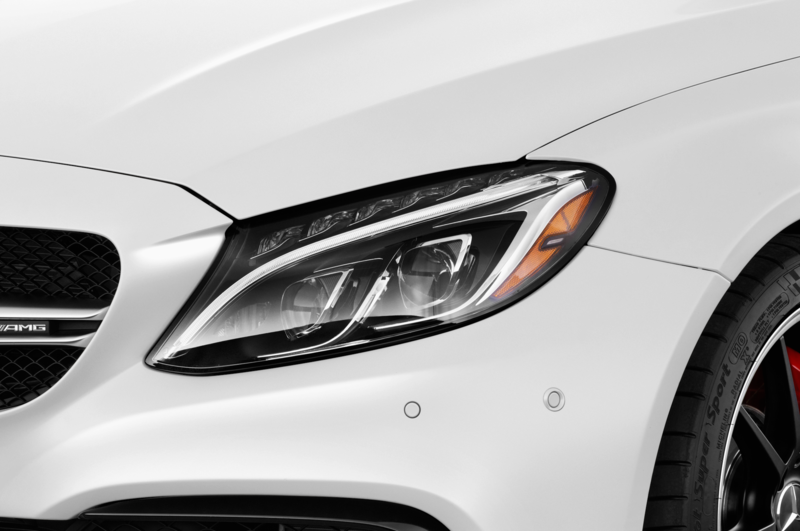 Despite attempts to stiffen, the C63 S’s chassis still exhibits a bit of cowl shake, which results in pronounced chassis flex over rough surfaces. 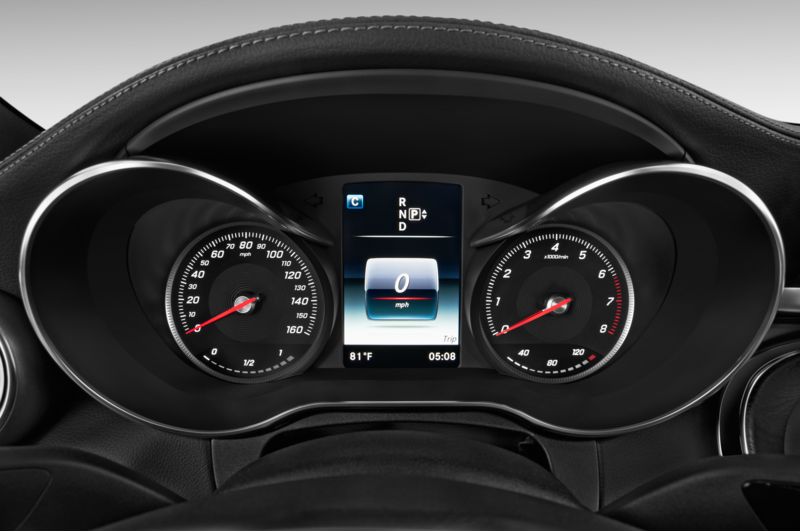 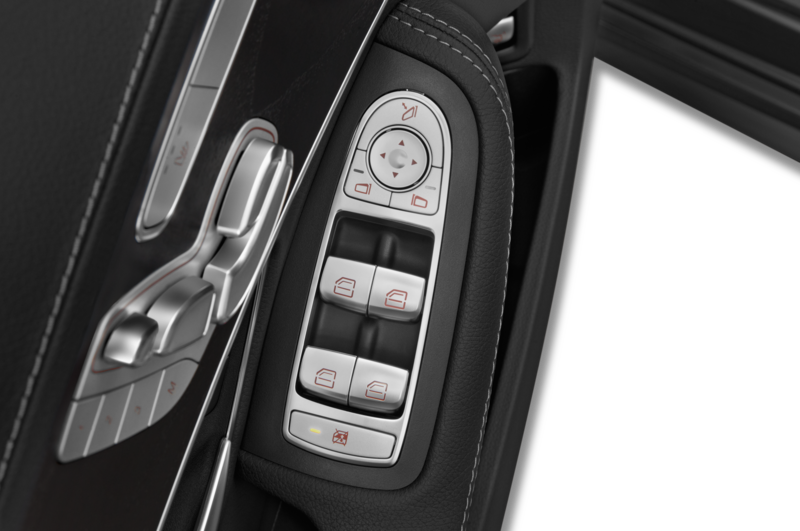 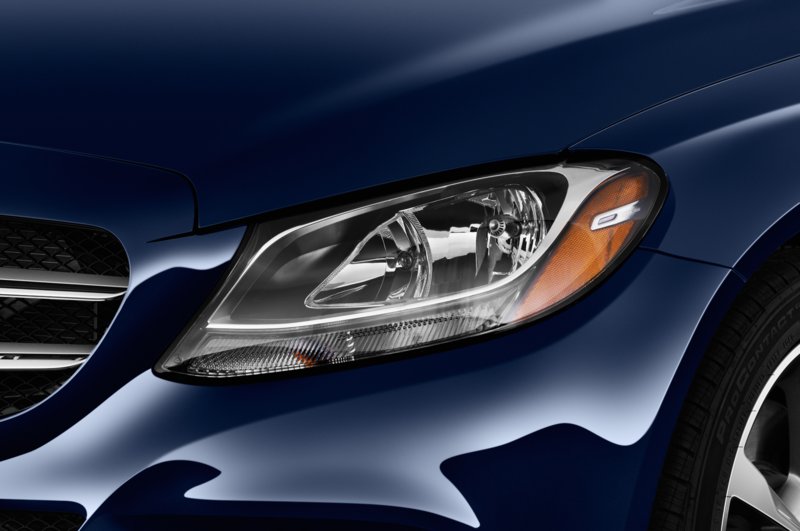 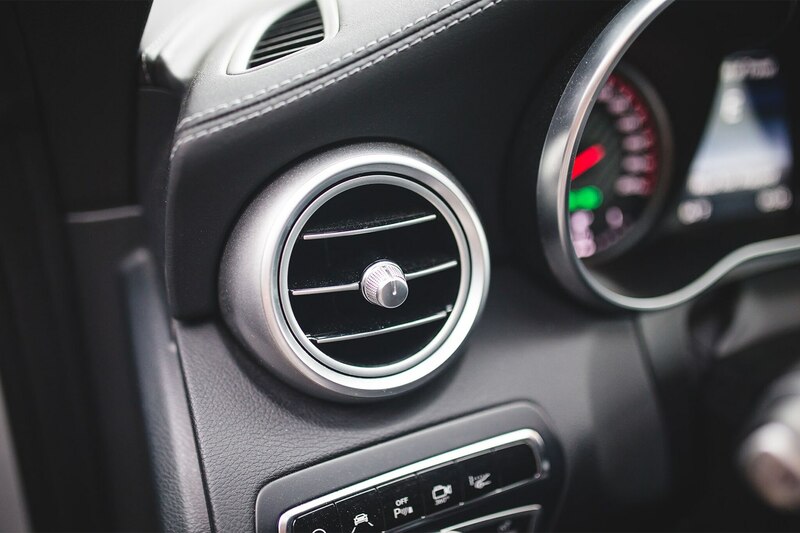 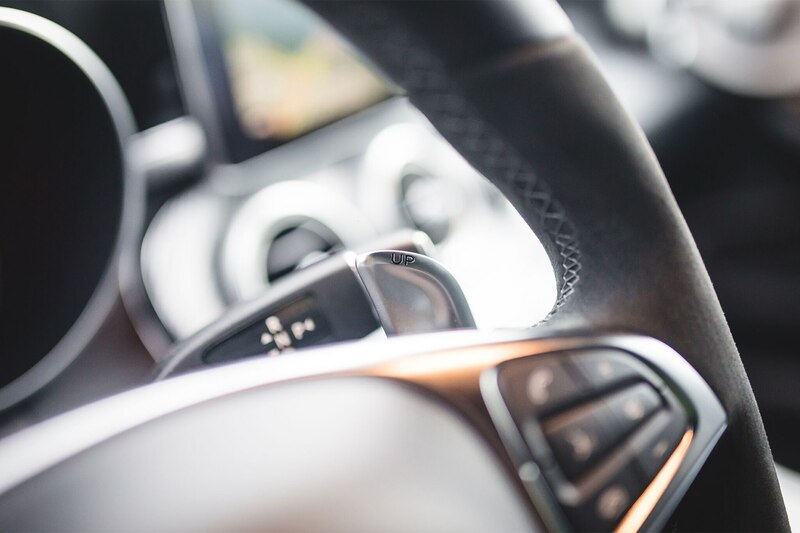 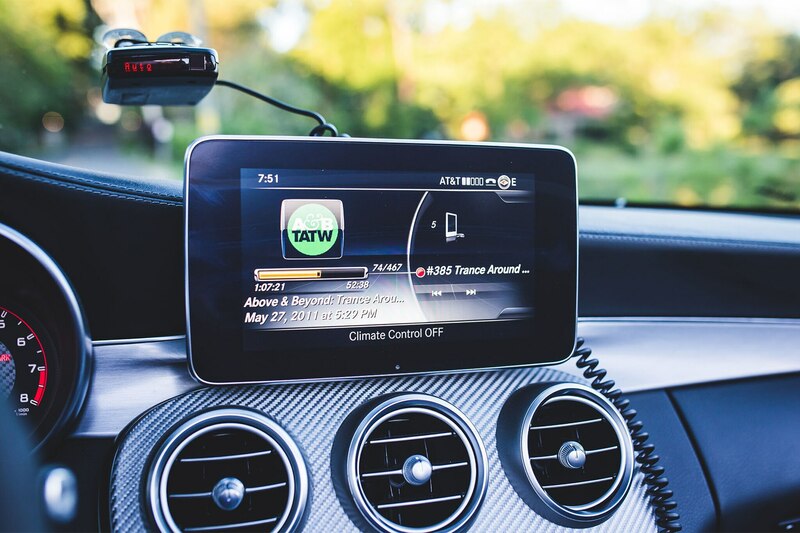 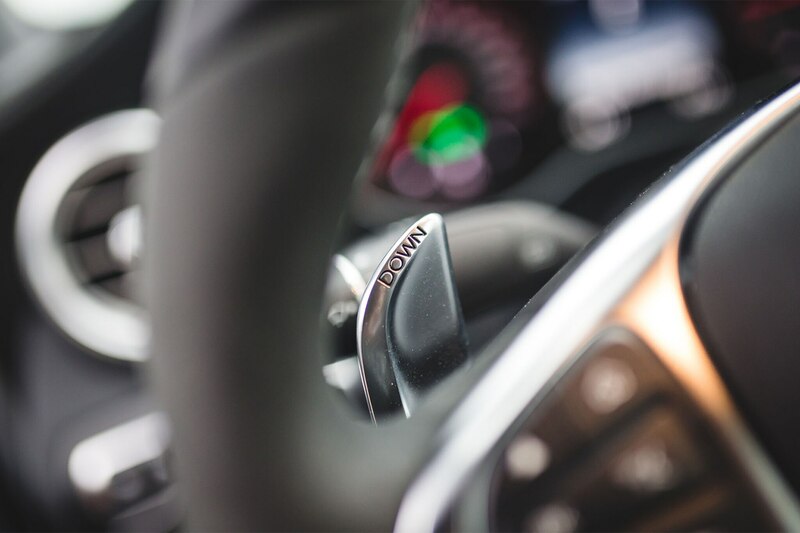 As a result, parts of the car like the steering column and the dashboard shudder over bumps. 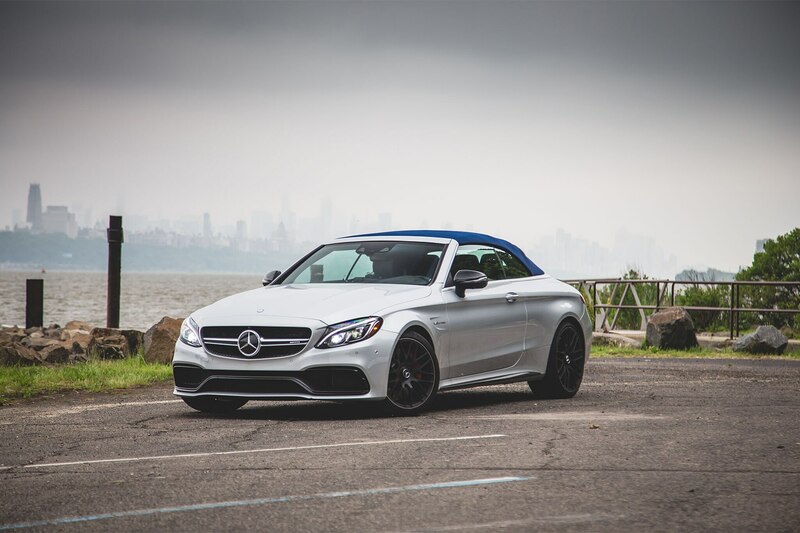 This also caused the C63 S’s cabin to develop squeaks and rattles with the top down. 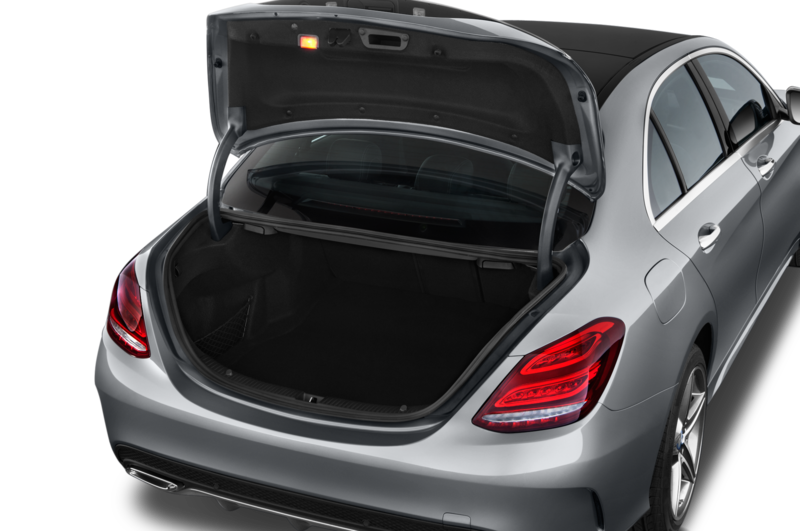 Another downside is less predictable handling. 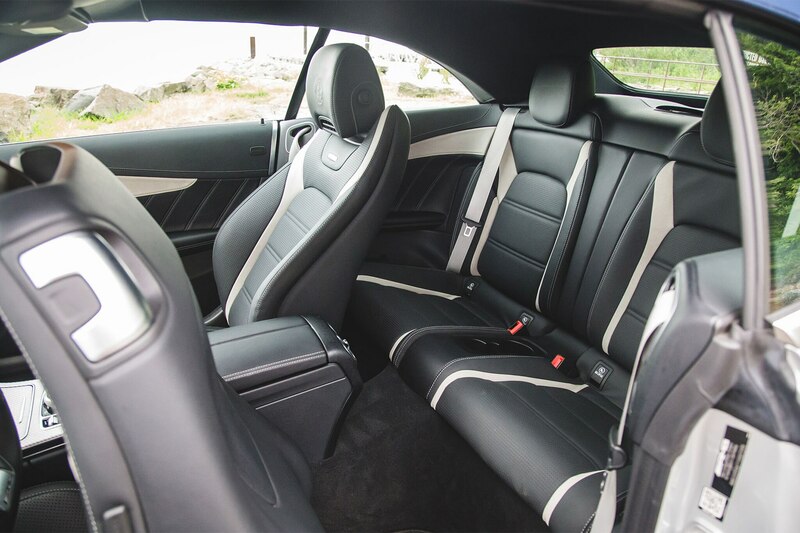 Because of the extra chassis flexes and weight, full-fledged driving can be a bit of a handful and the feeling, unsettling. 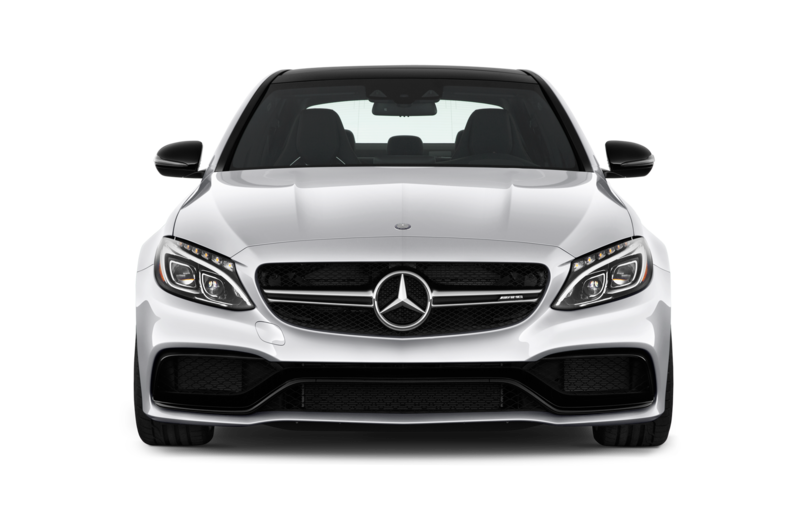 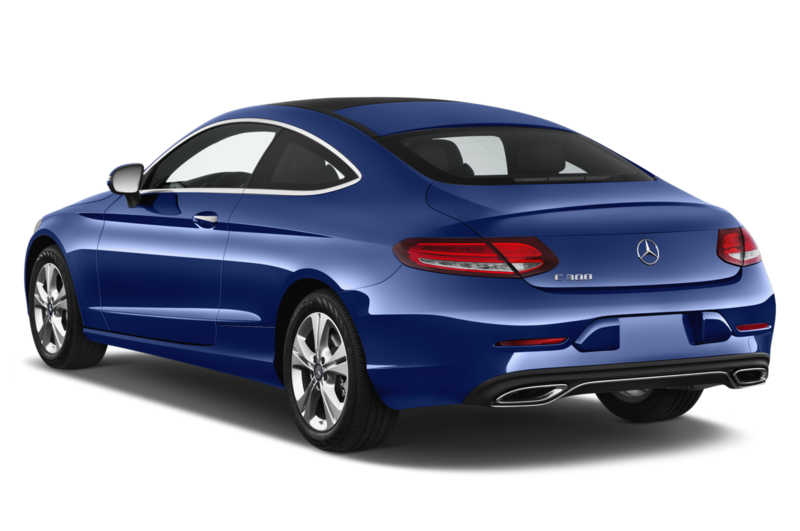 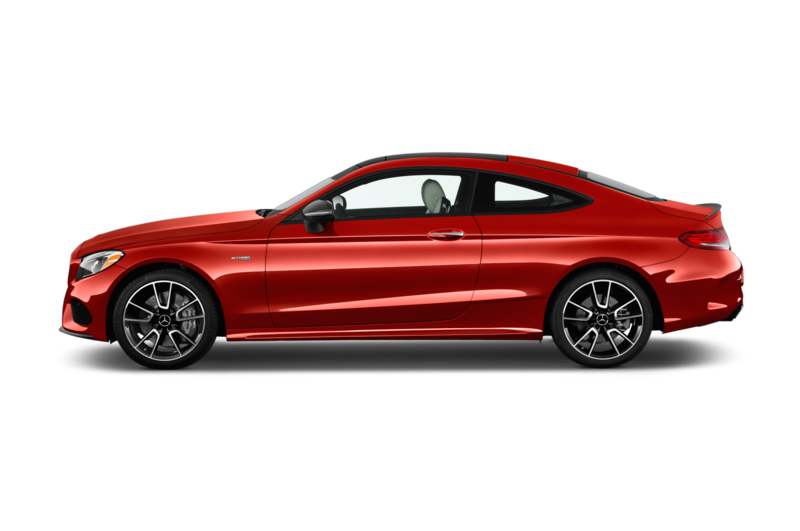 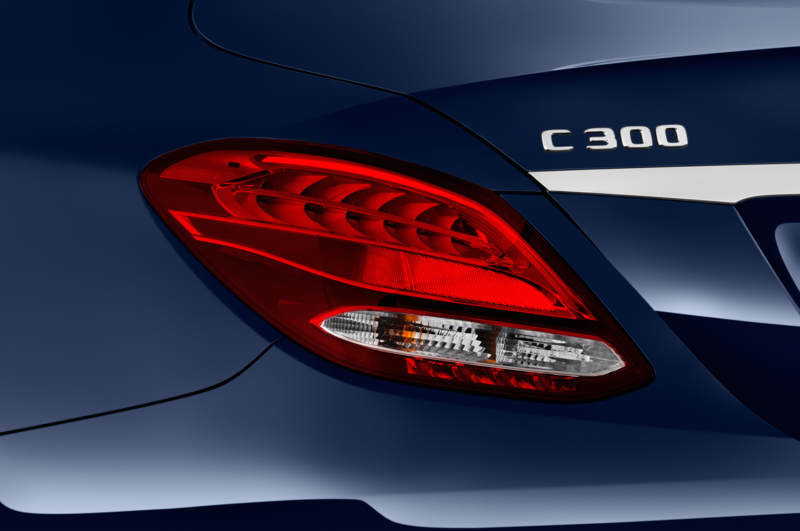 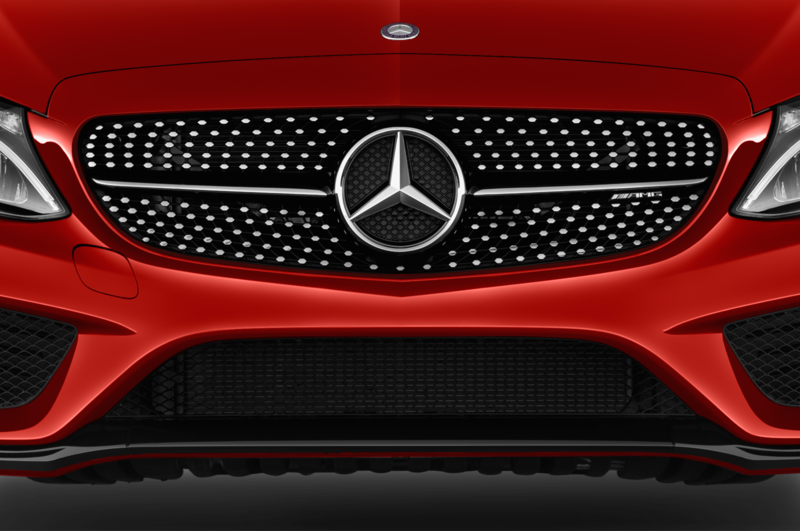 But the effects are only noticed when one pushed the C63 S above seven-tenths driving. 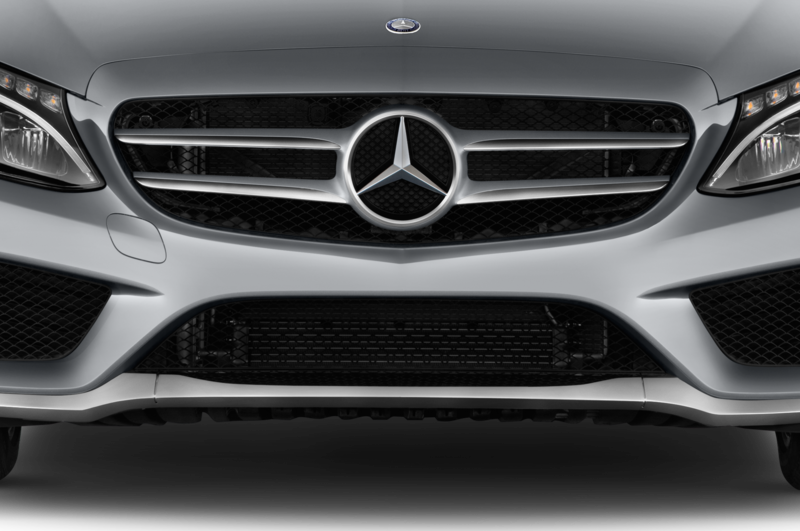 Get the C63 S to bite at you and recovery is a bit trickier because of the chassis flex. 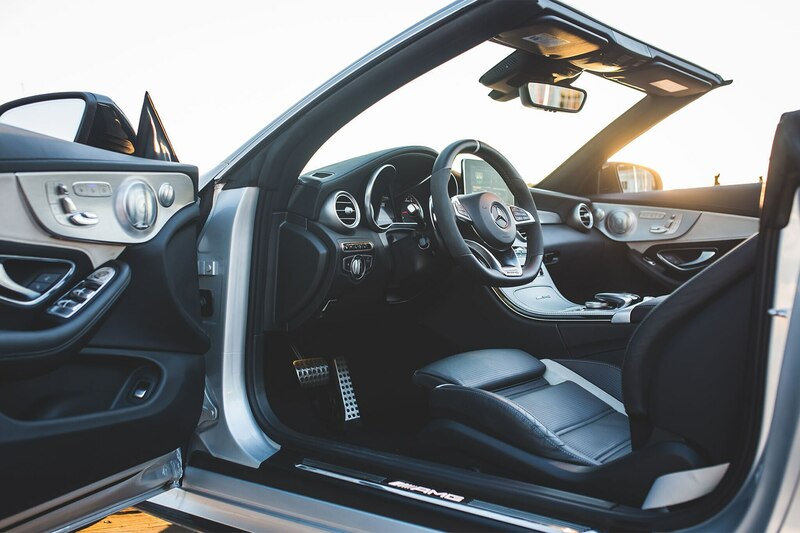 Thankfully, stability control will keep you on the road. 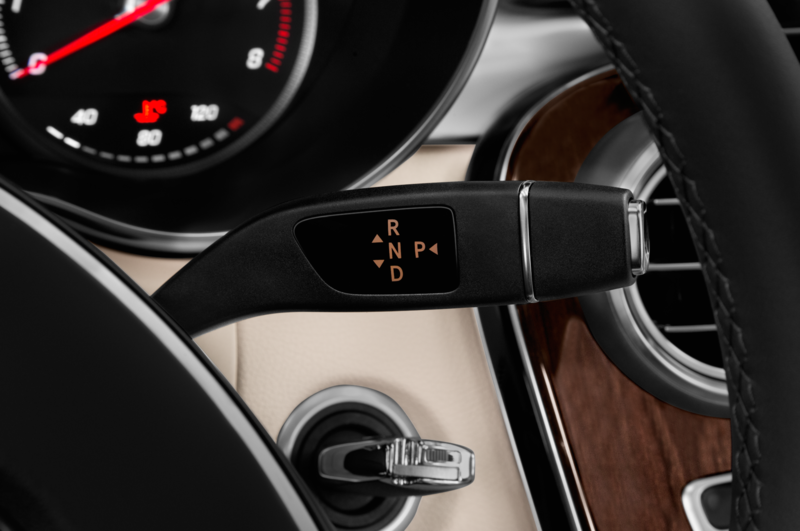 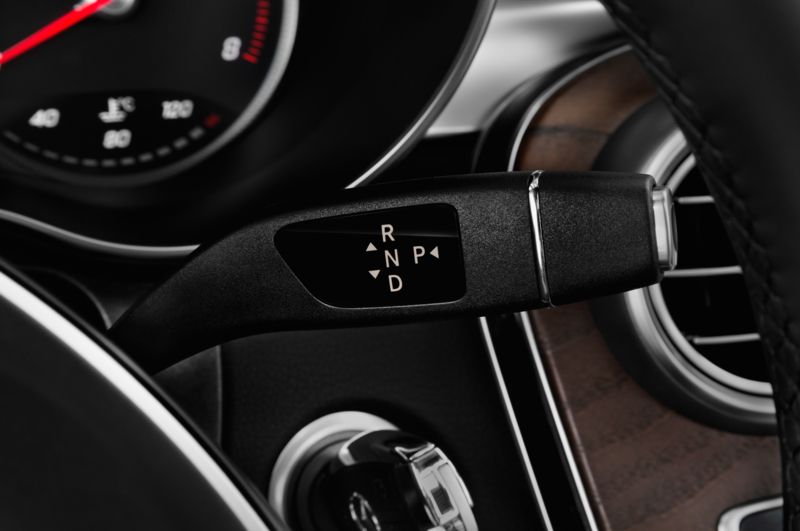 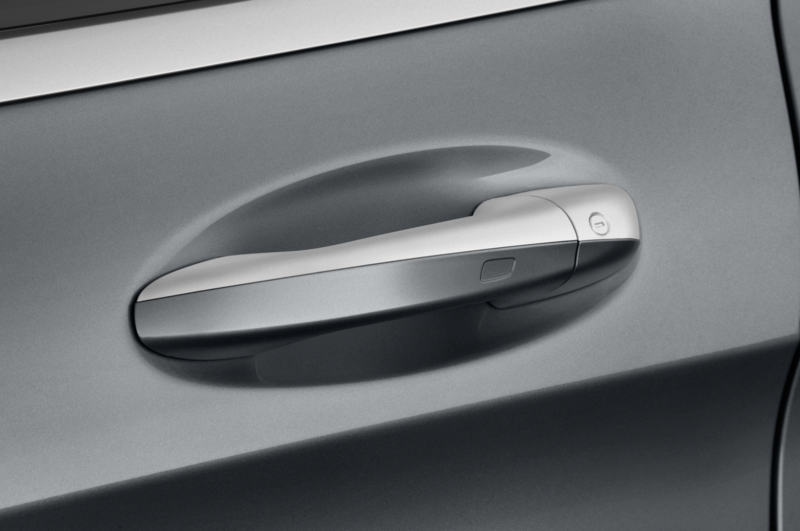 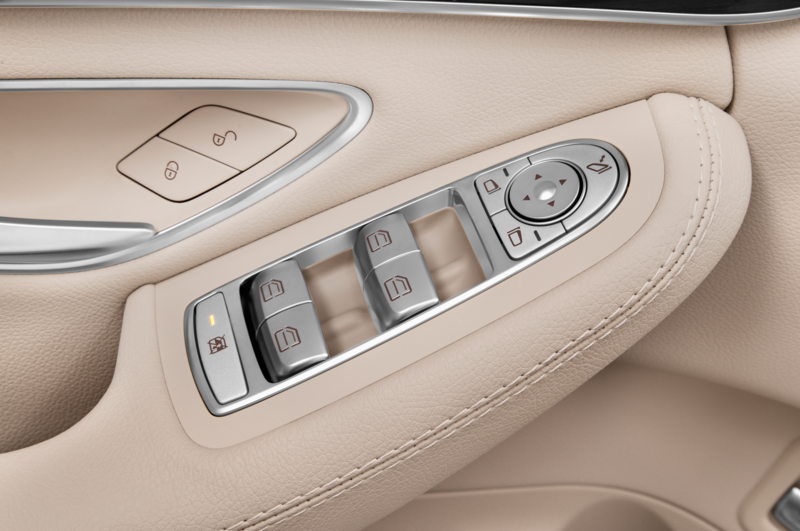 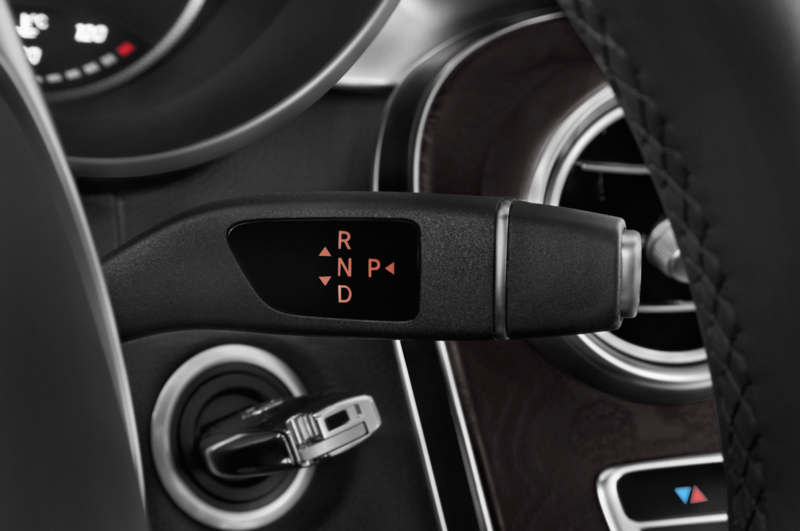 But turn any of the driver aids off, and you’d better be on you’re a-game. 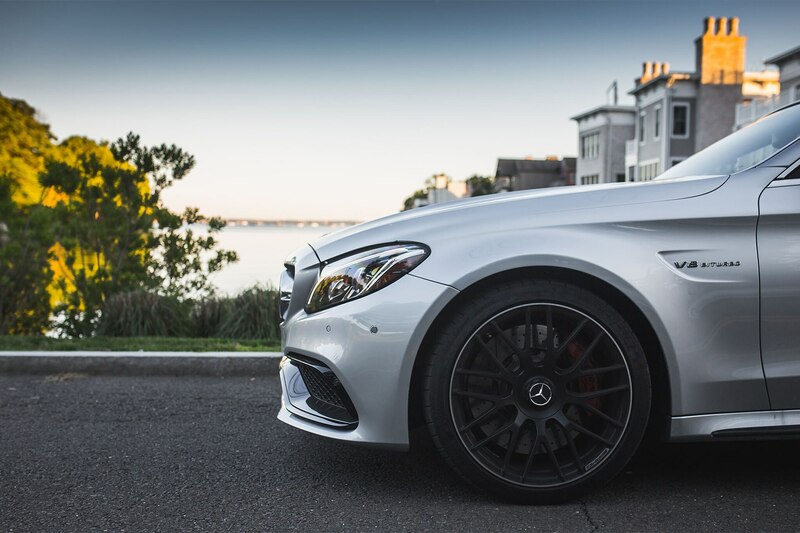 Then there’s the price. 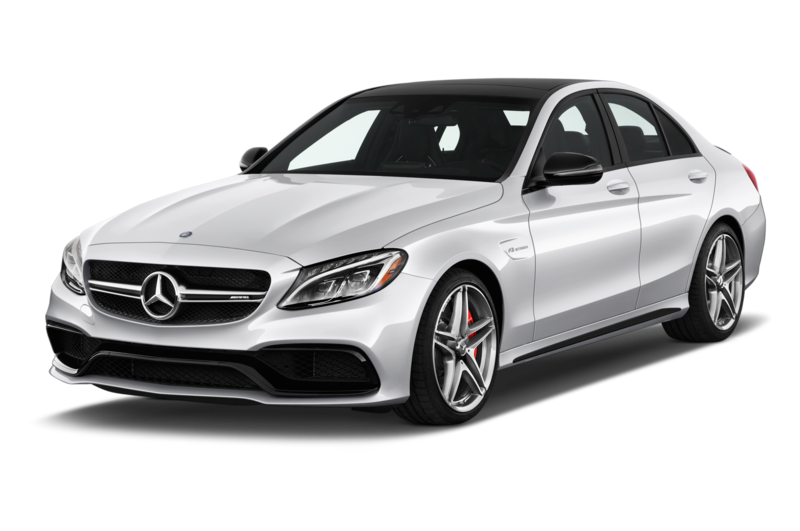 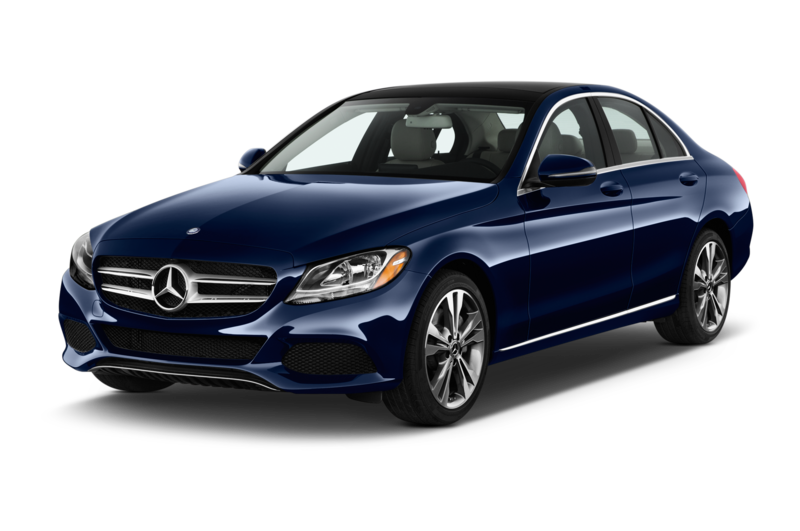 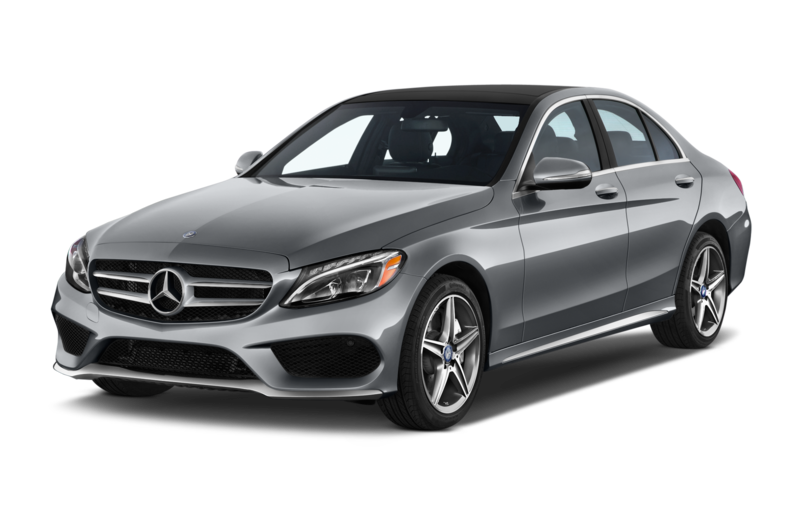 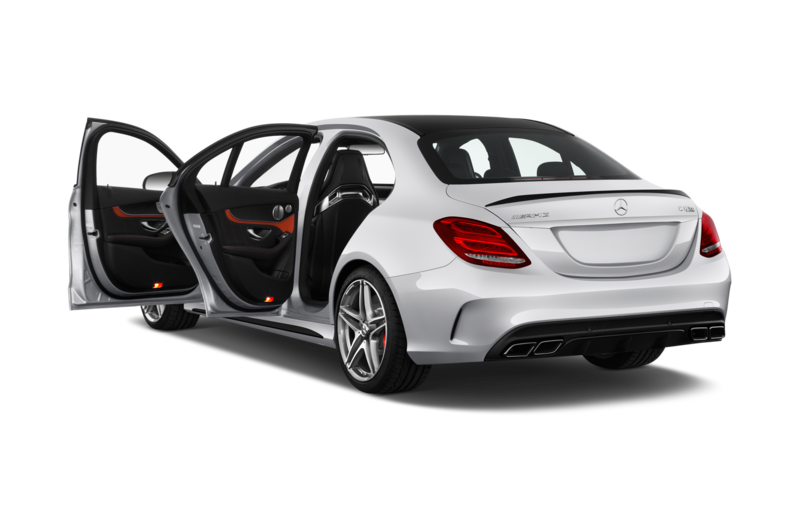 The C63 S starts at $80,850, an average price for this amount of car. 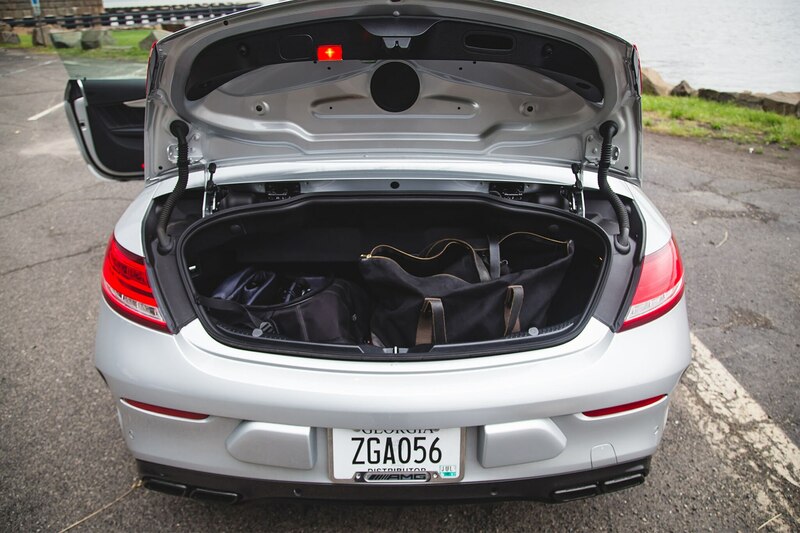 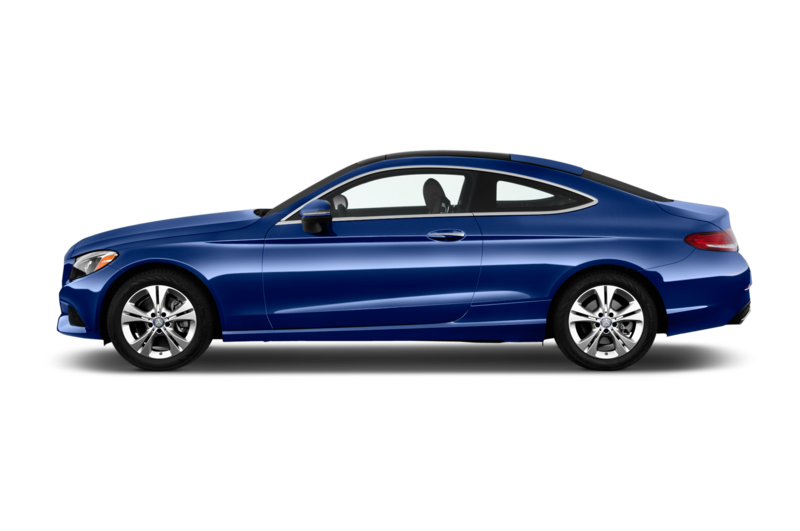 But as tested, this specific car is fully-loaded to the brim, it cracks the buck at $100,800. 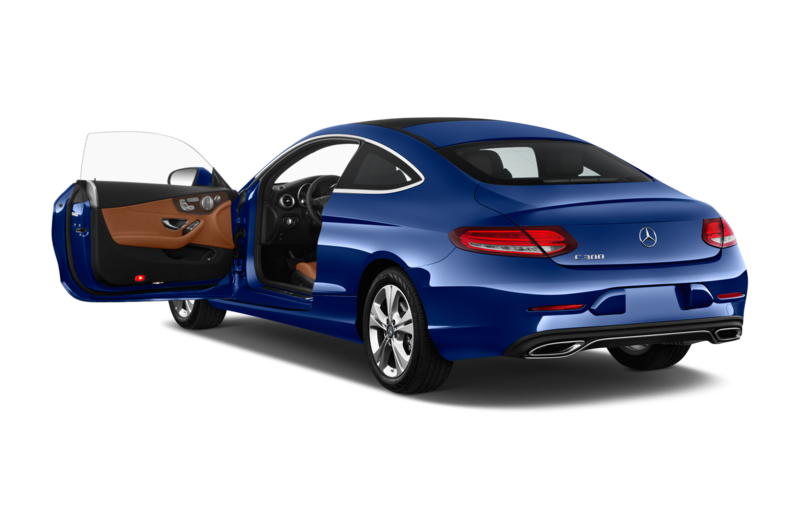 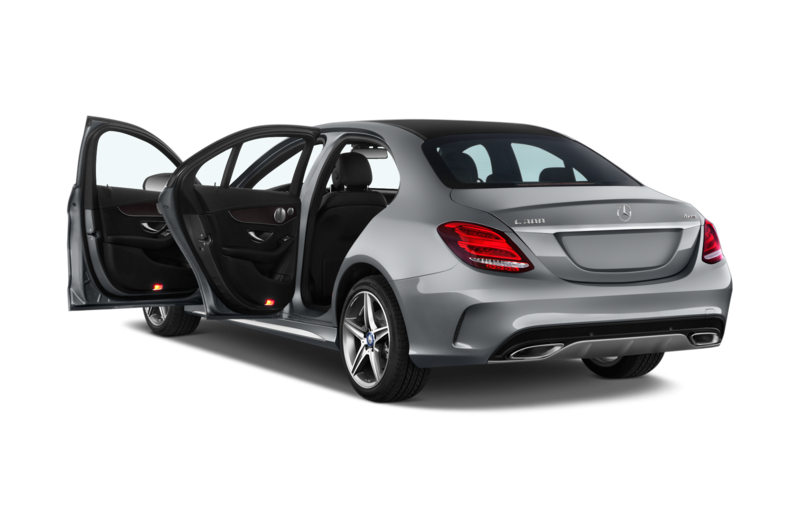 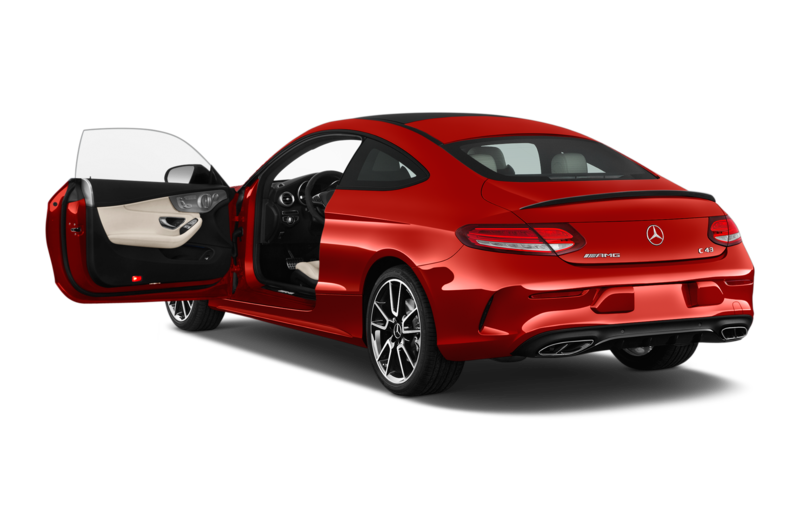 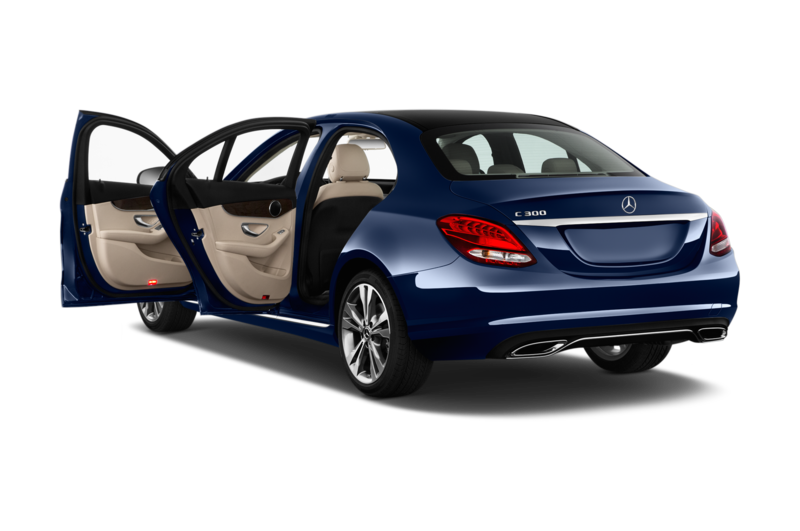 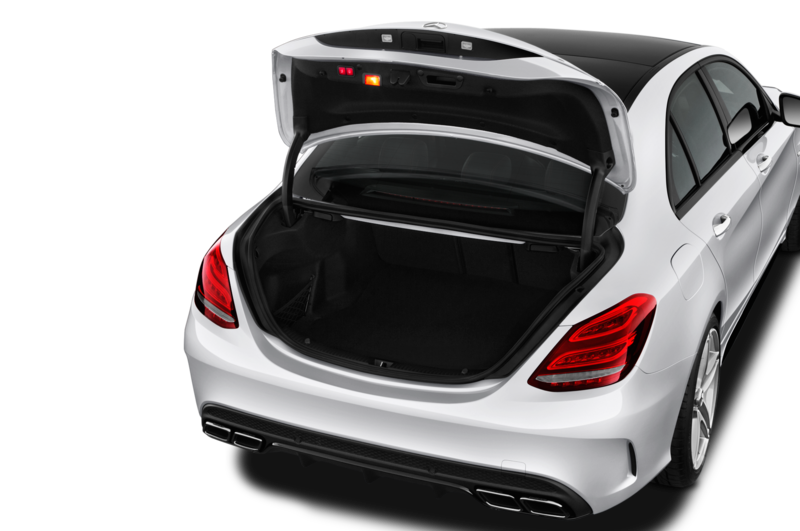 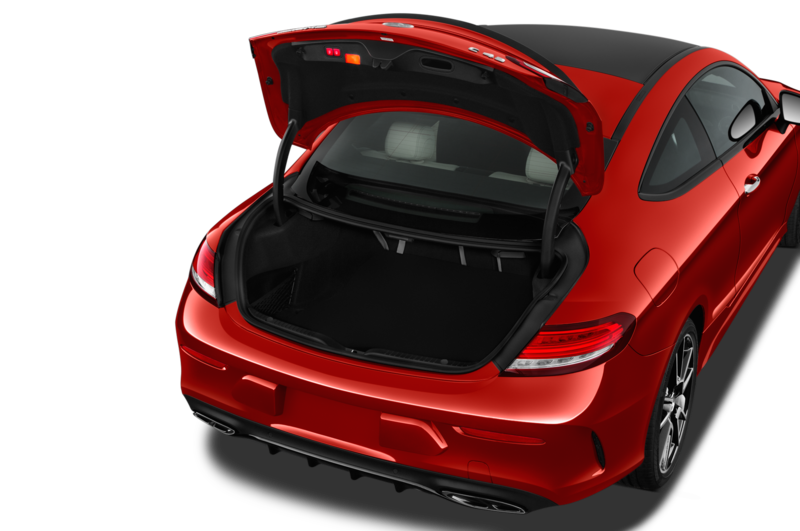 To some, that’s a lot of dough for just a “C-Class.” But it wouldn’t be just any ordinary C-Class, but $100,800 worth of AMG-modified C-Class. 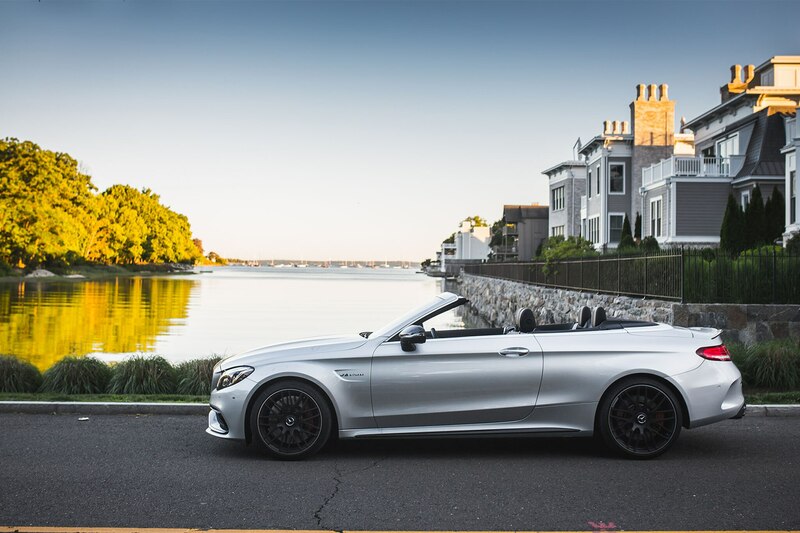 And altogether, you very much get $100,800 worth of car.